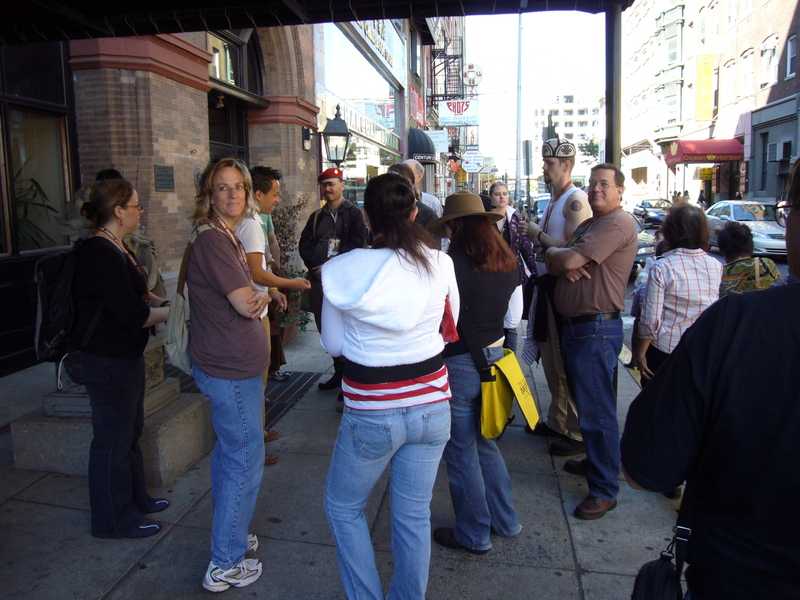 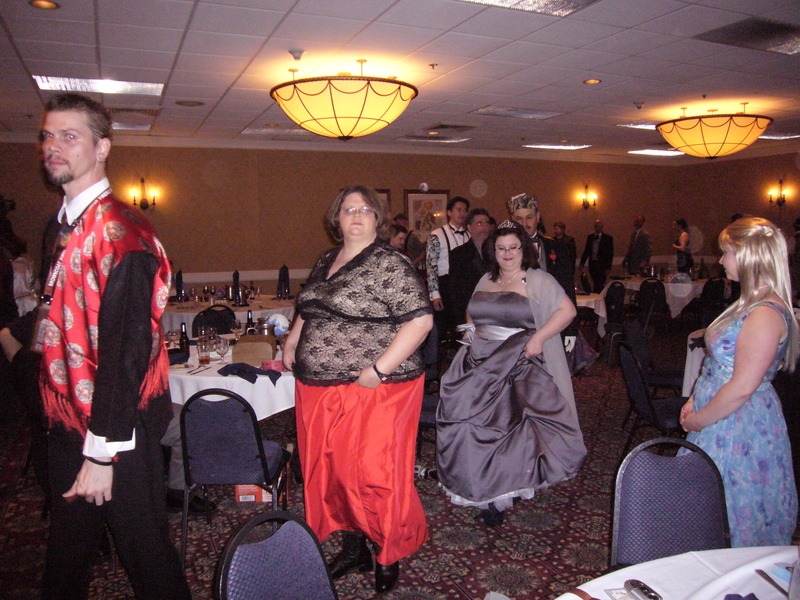 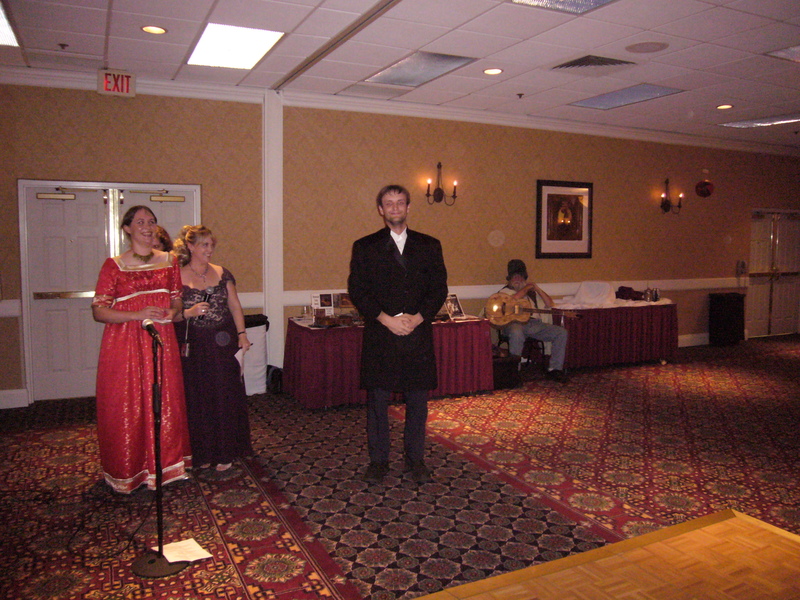 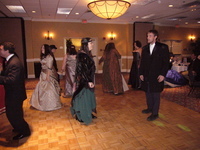 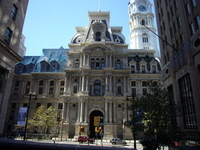 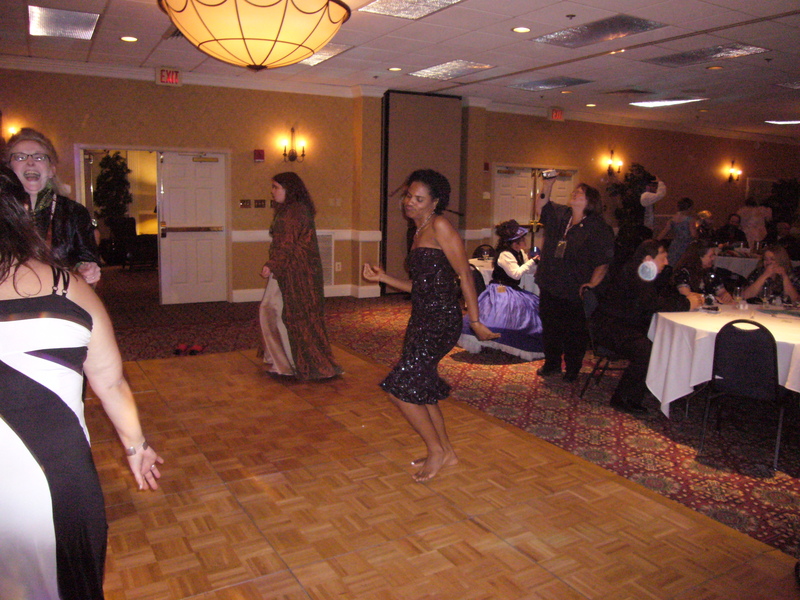 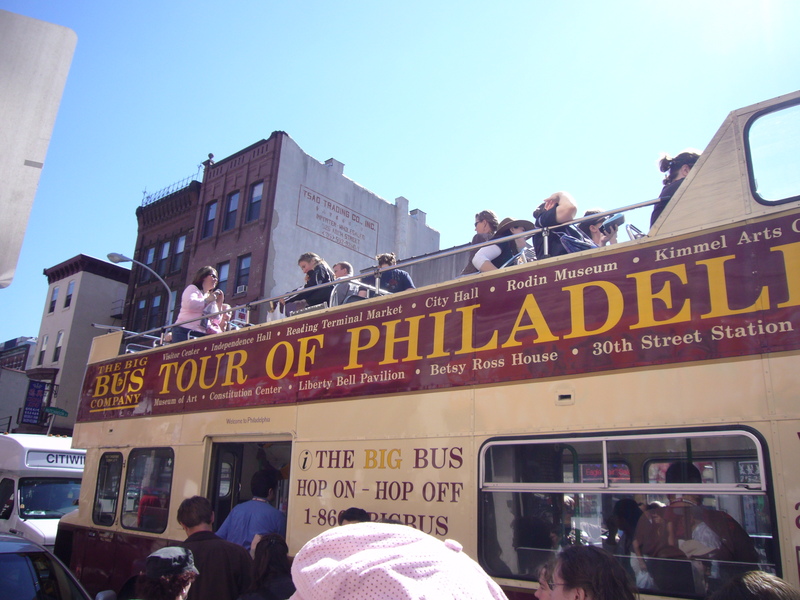 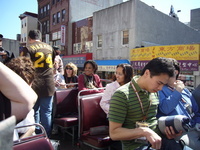 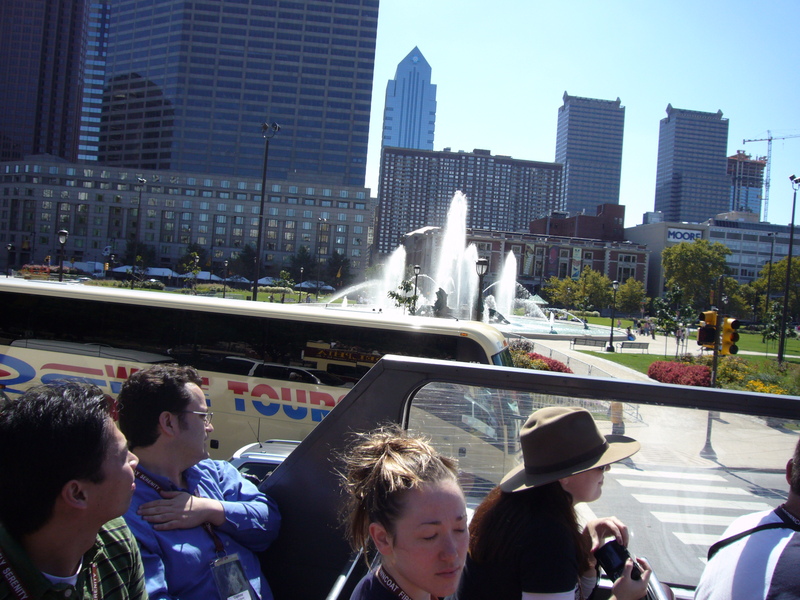 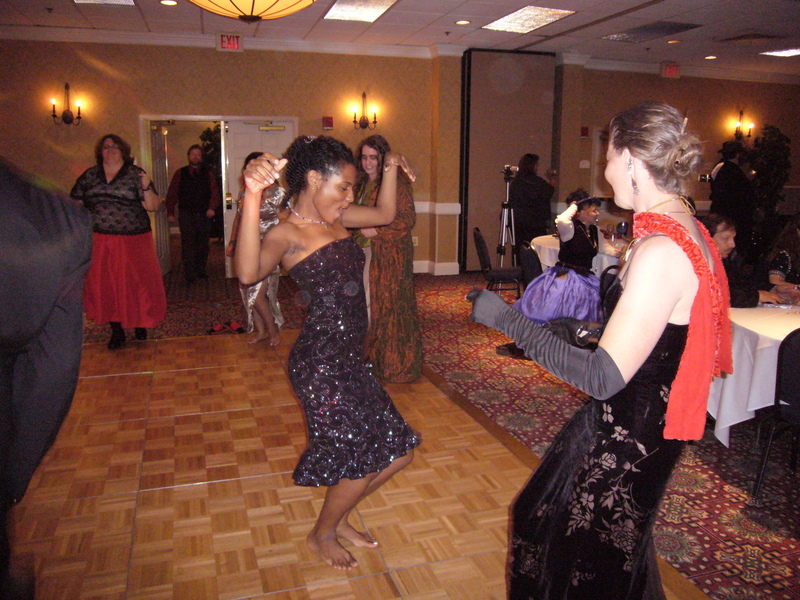 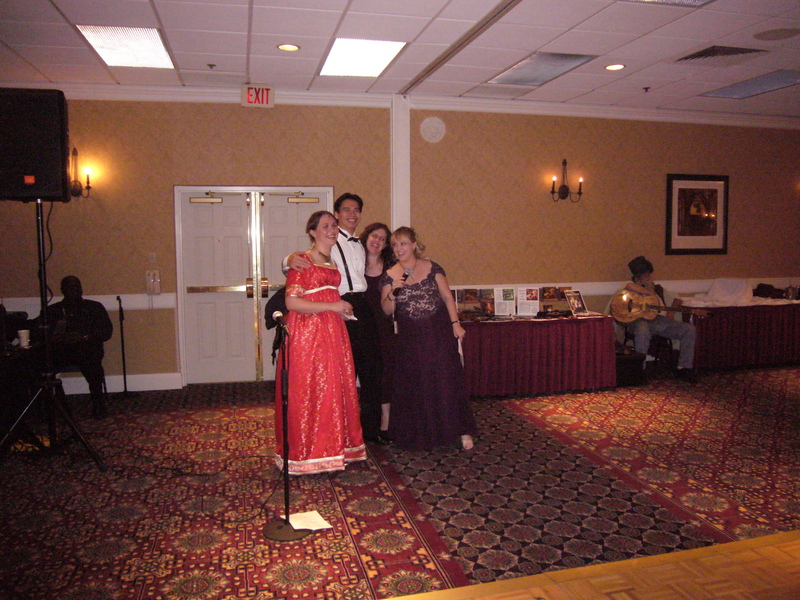 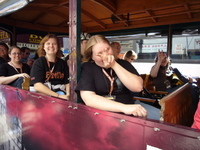 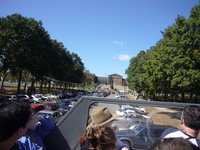 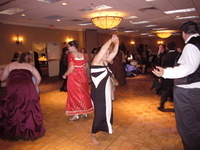 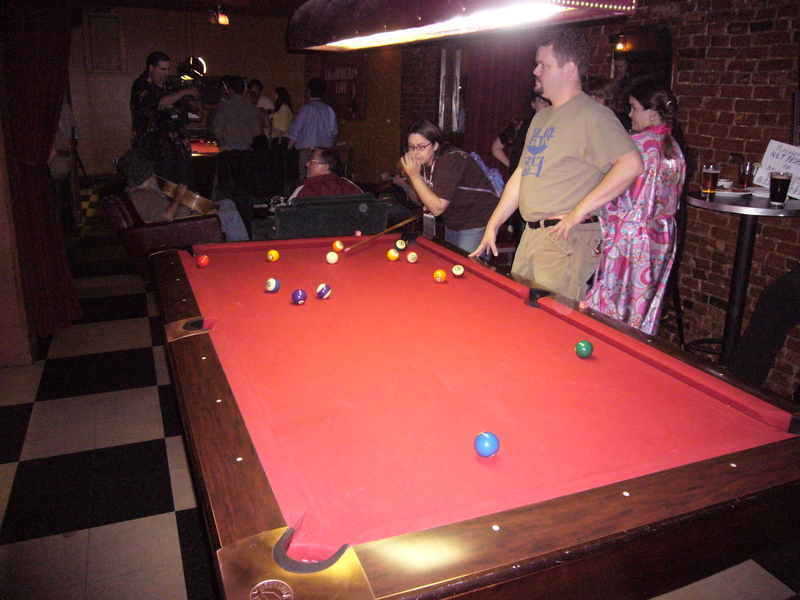 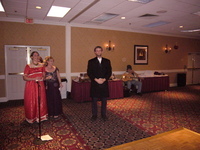 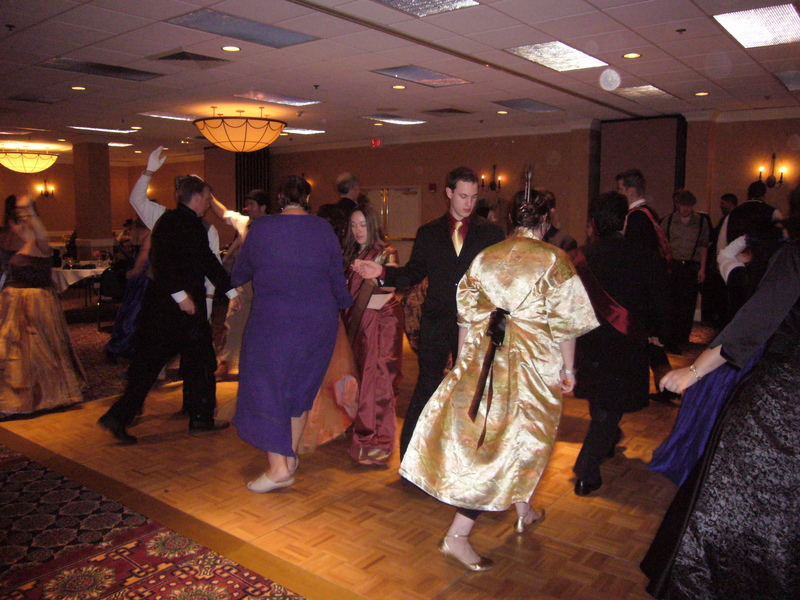 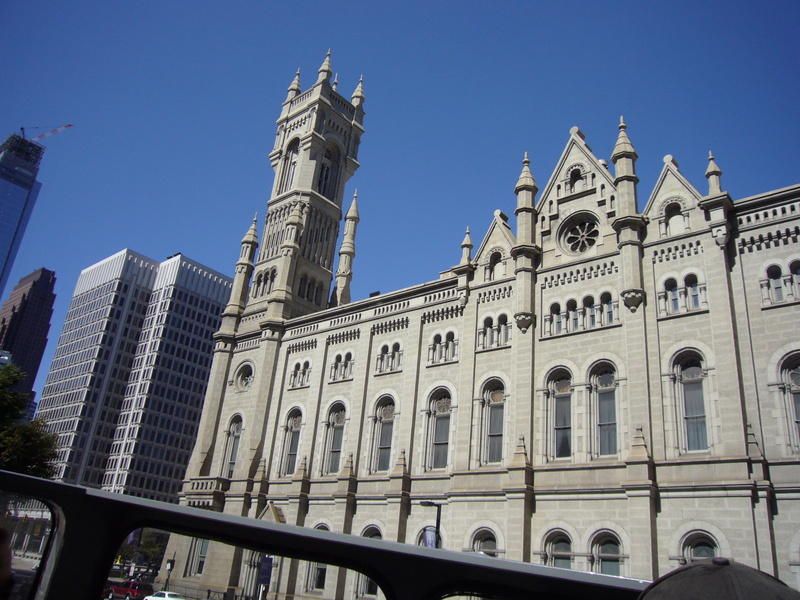 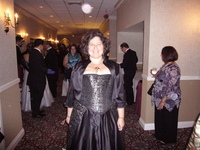 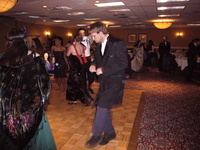 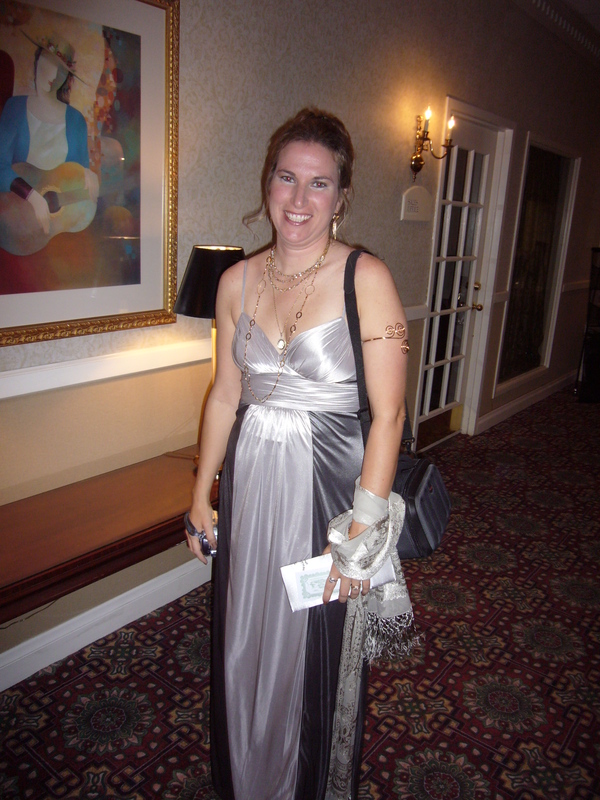 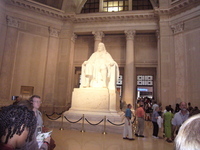 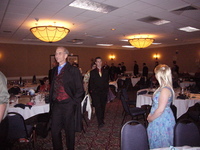 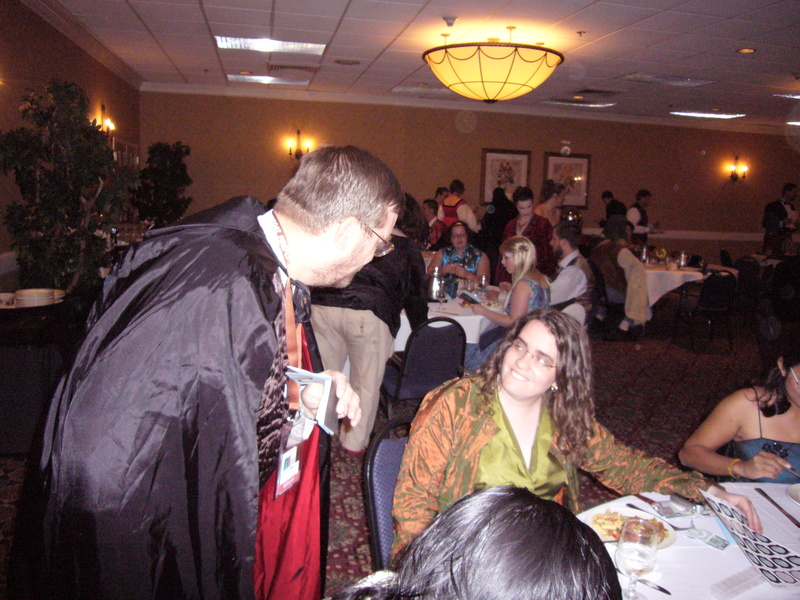 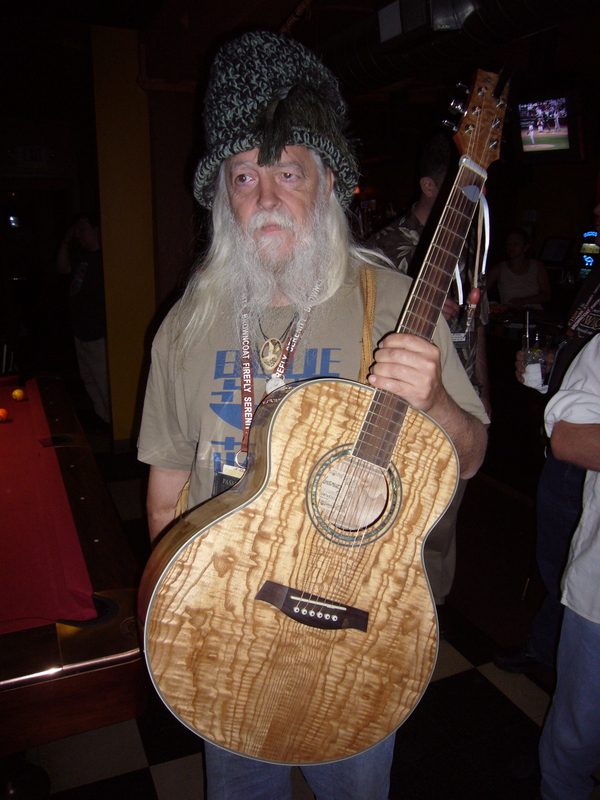 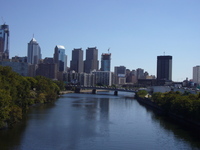 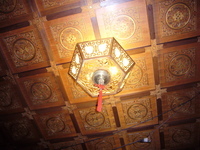 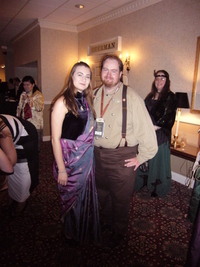 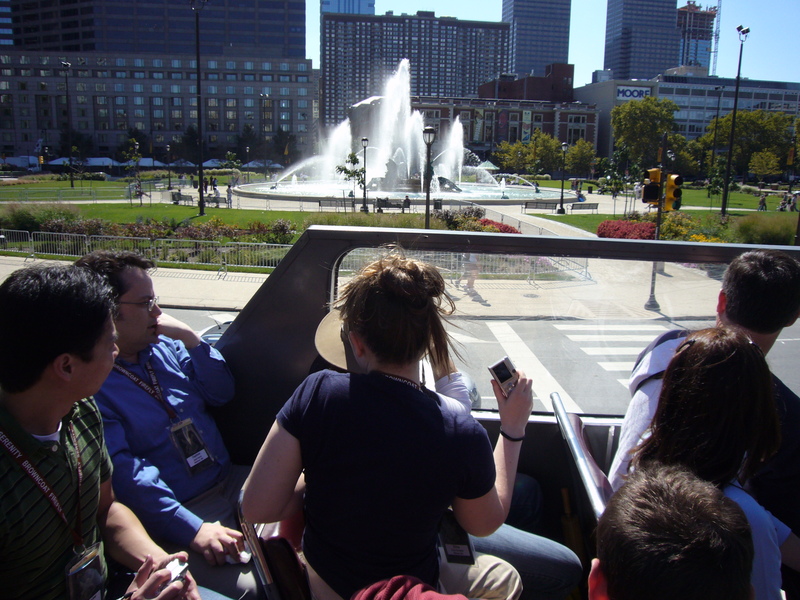 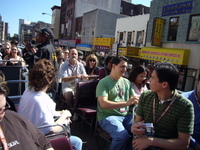 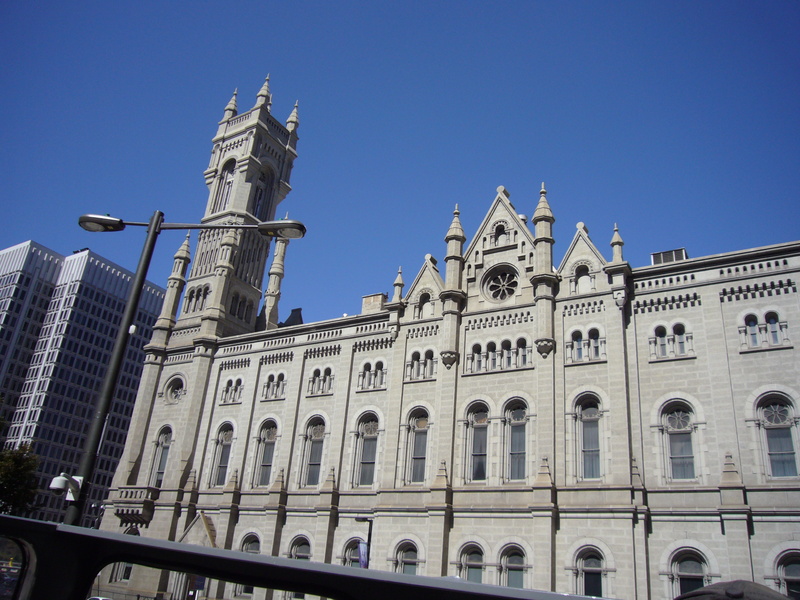 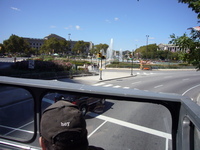 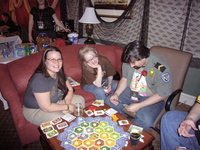 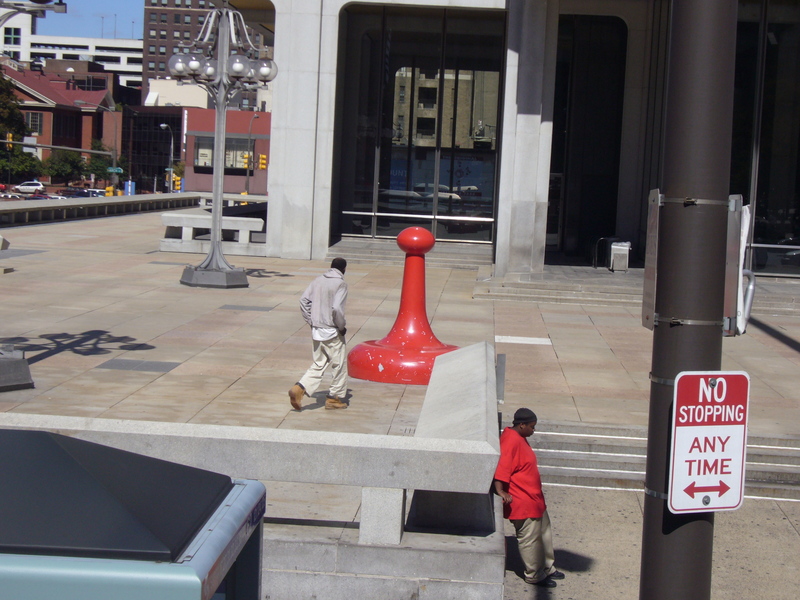 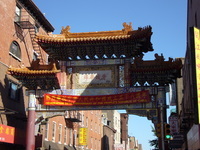 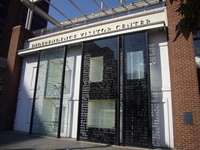 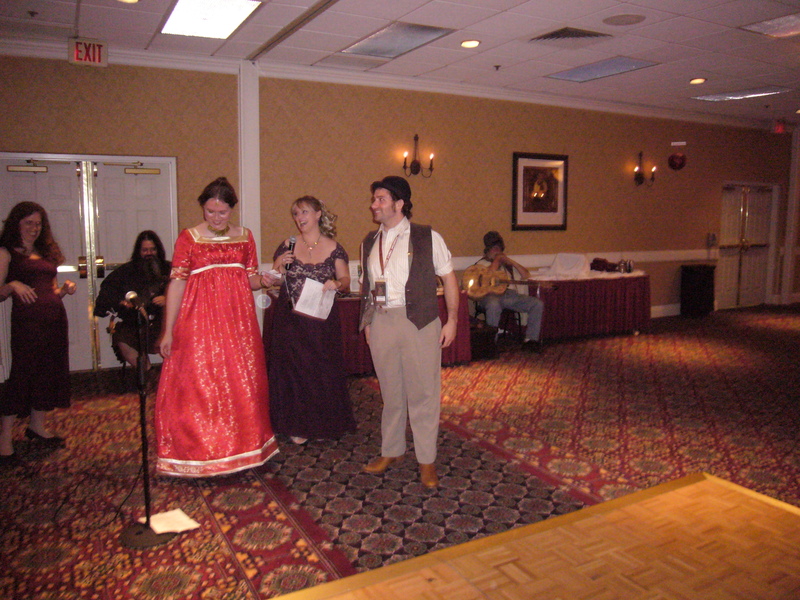 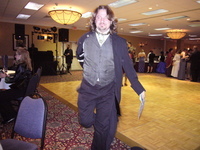 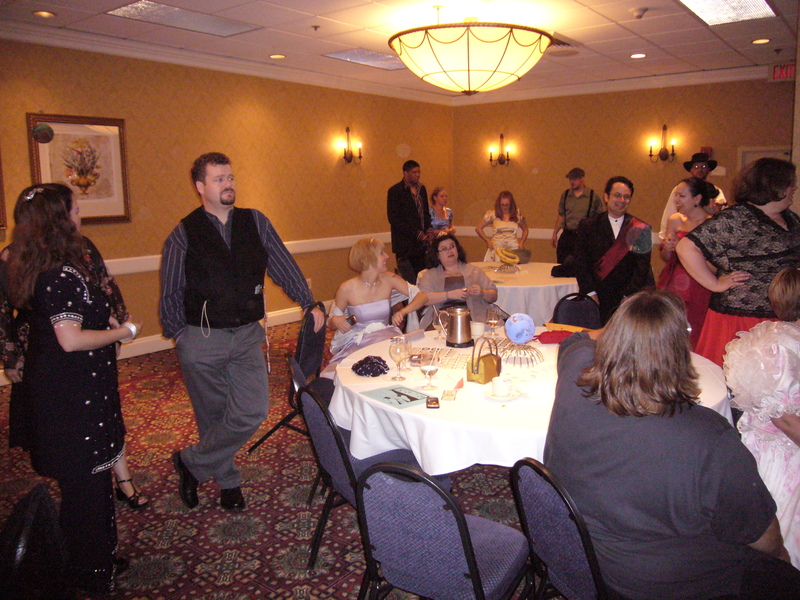 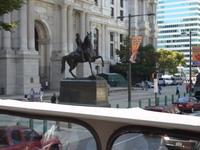 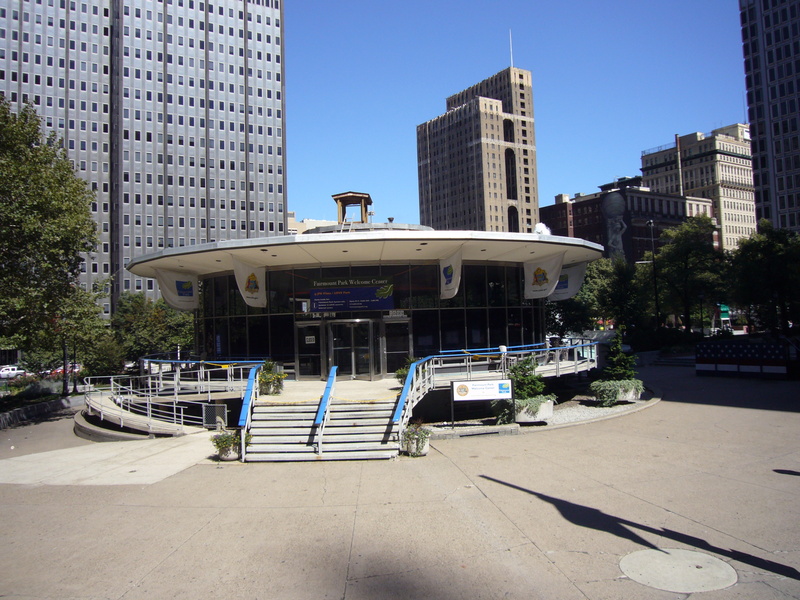 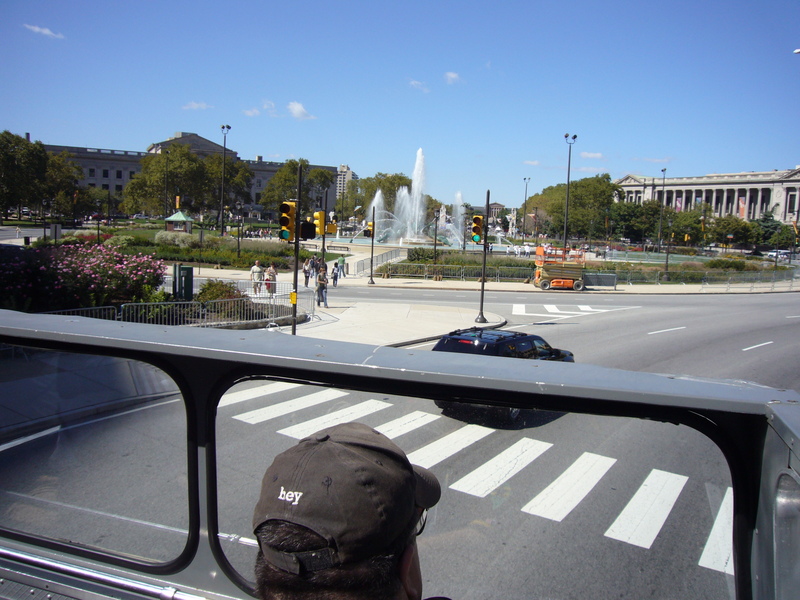 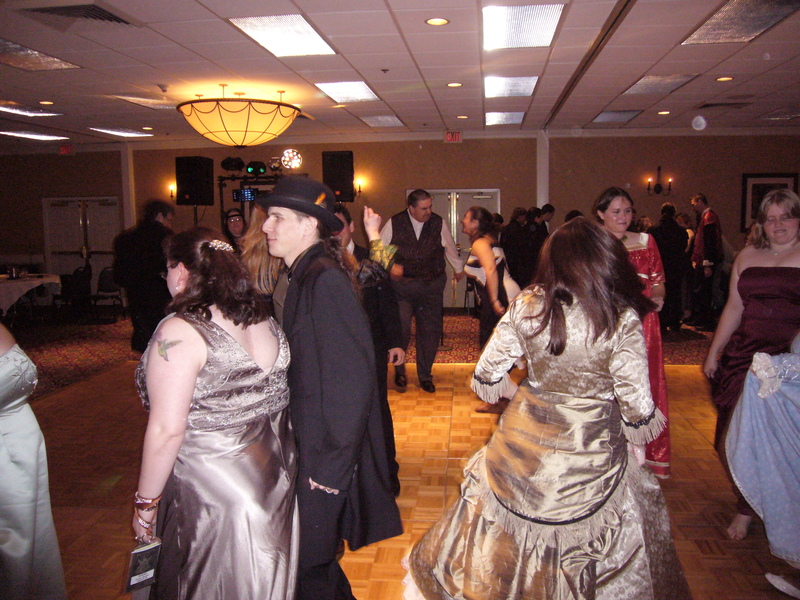 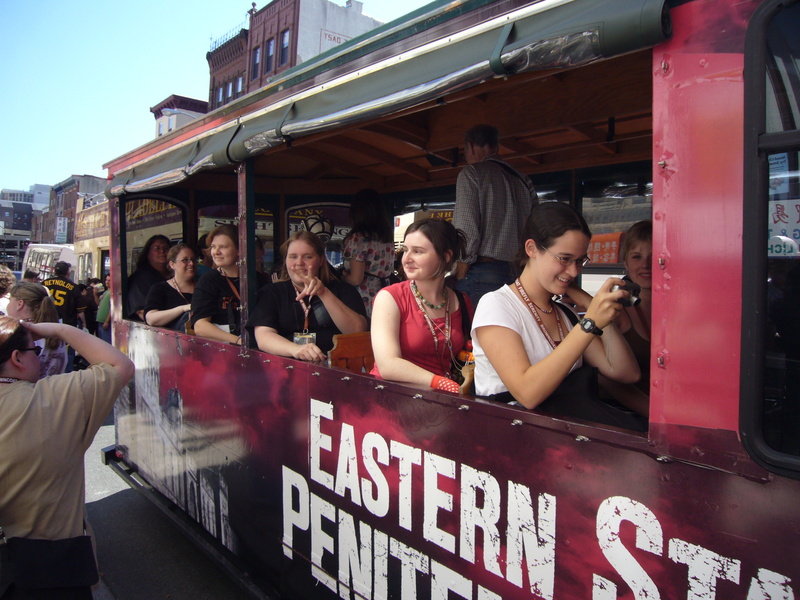 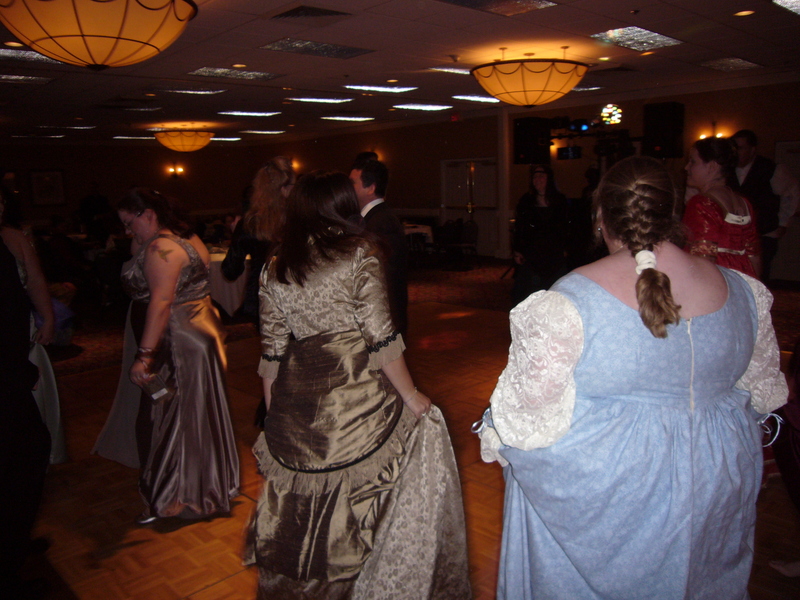 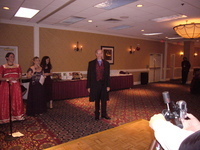 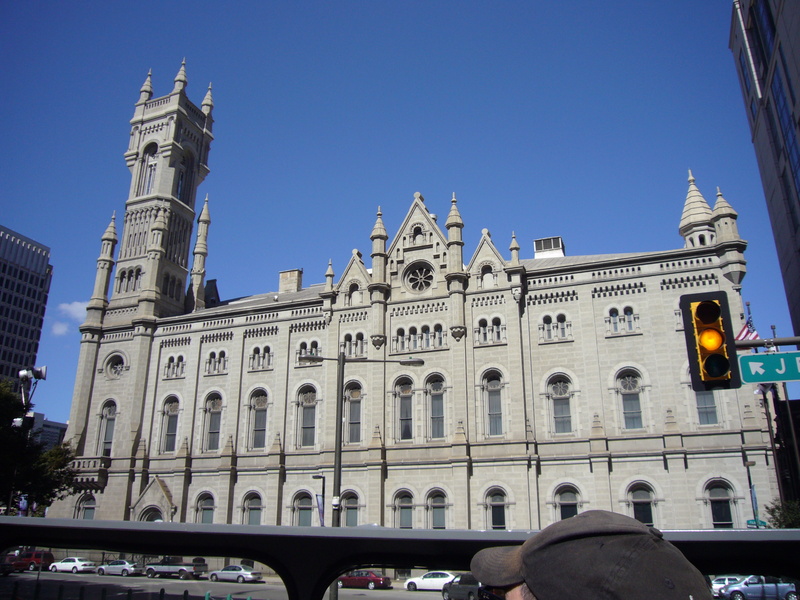 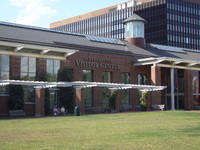 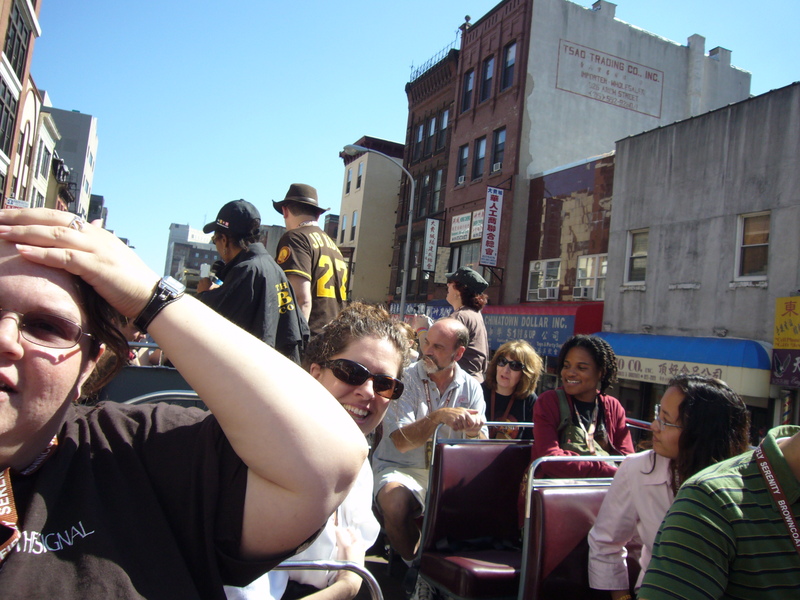 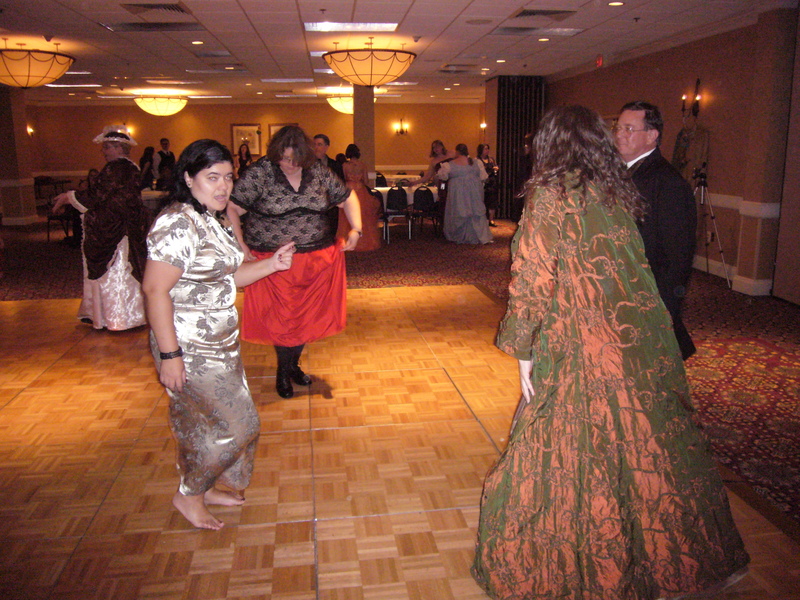 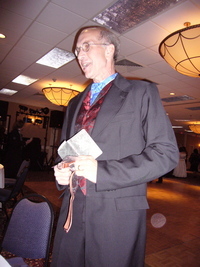 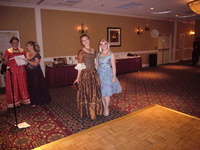 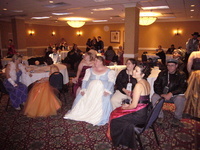 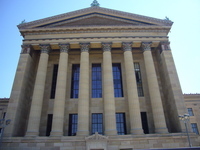 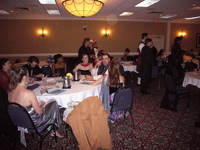 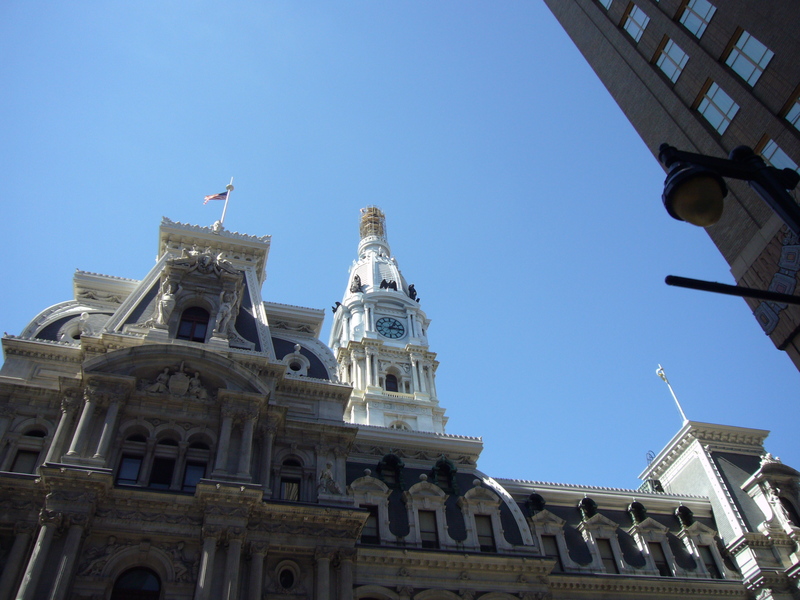 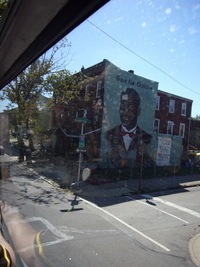 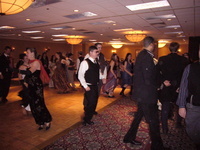 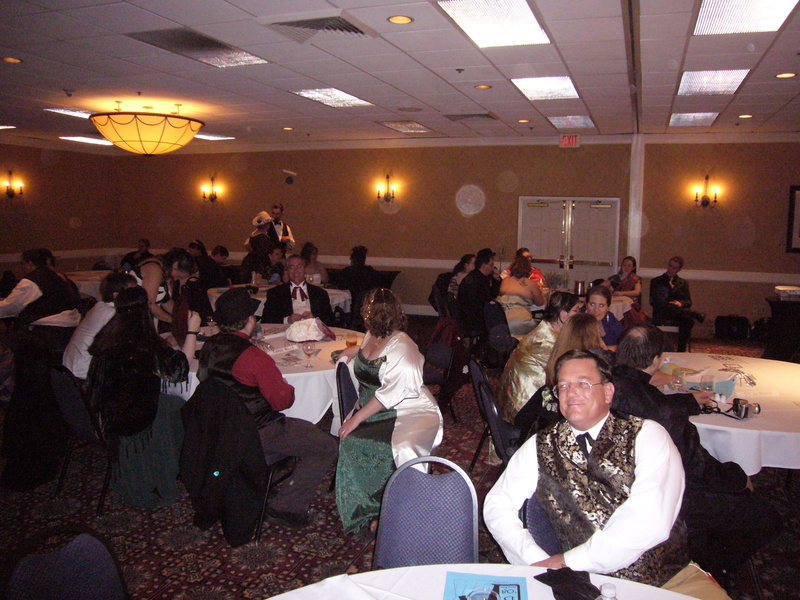 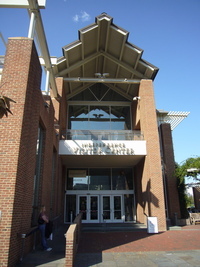 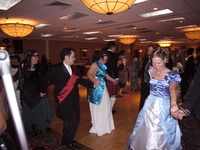 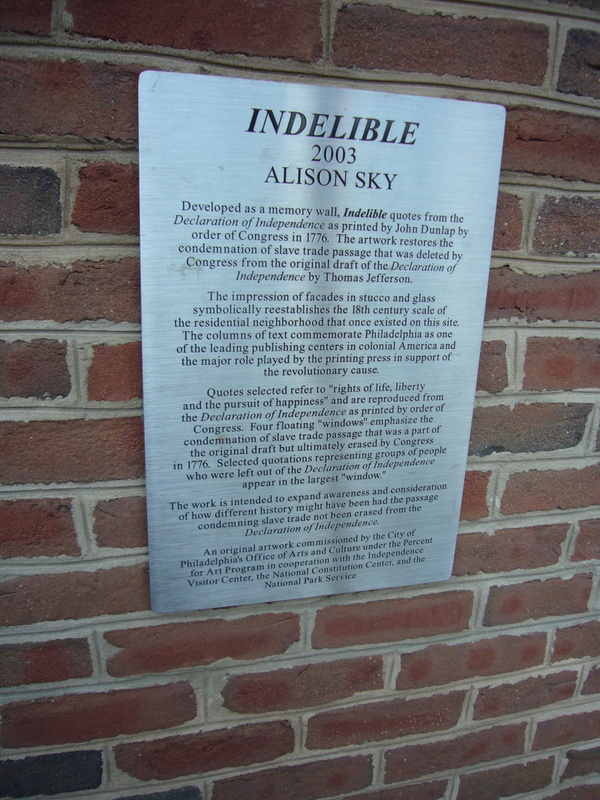 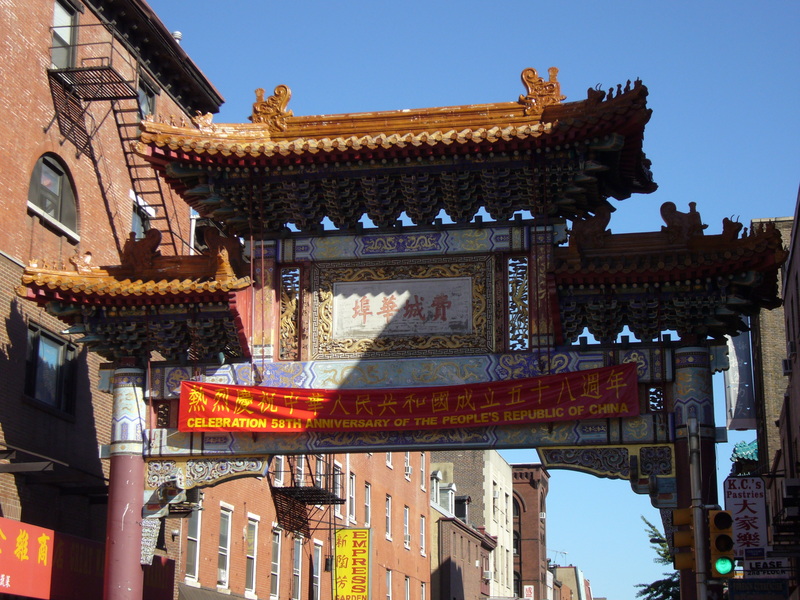 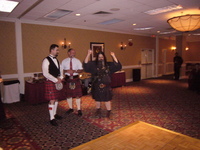 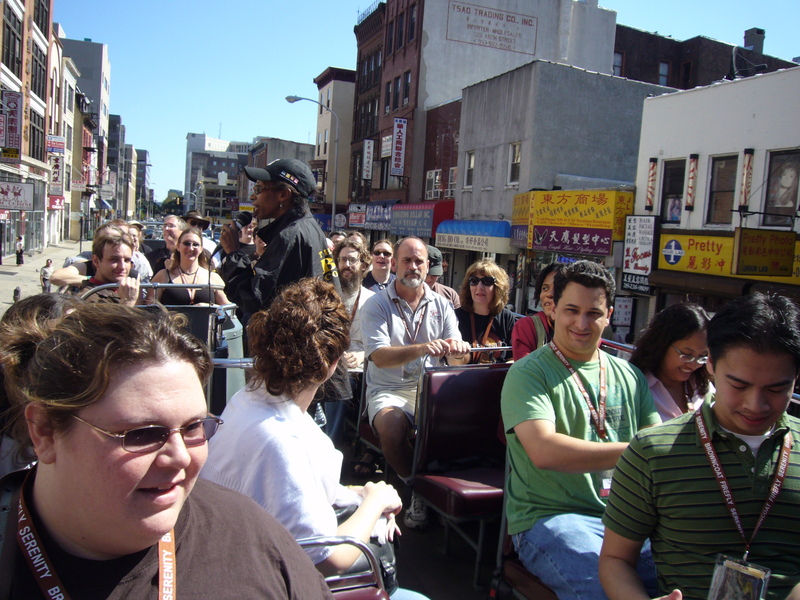 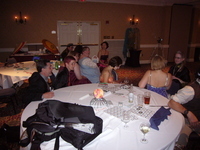 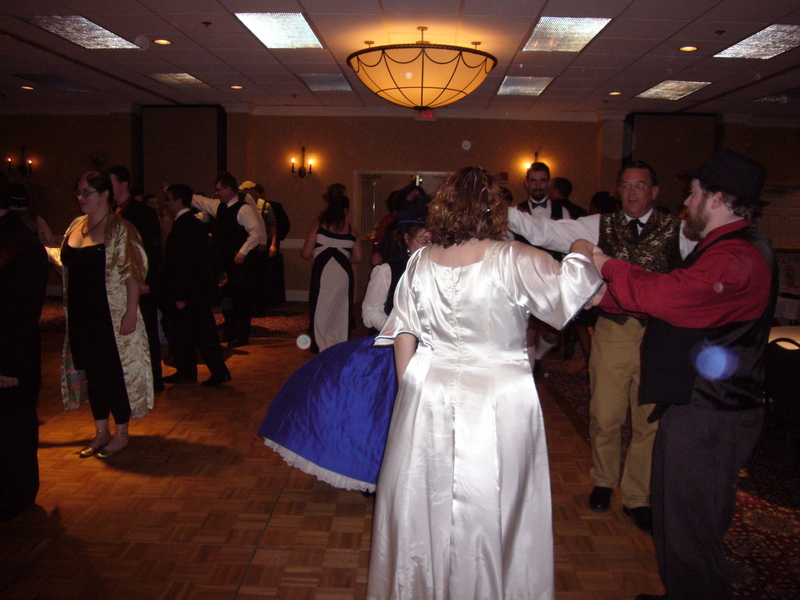 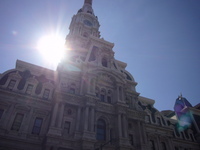 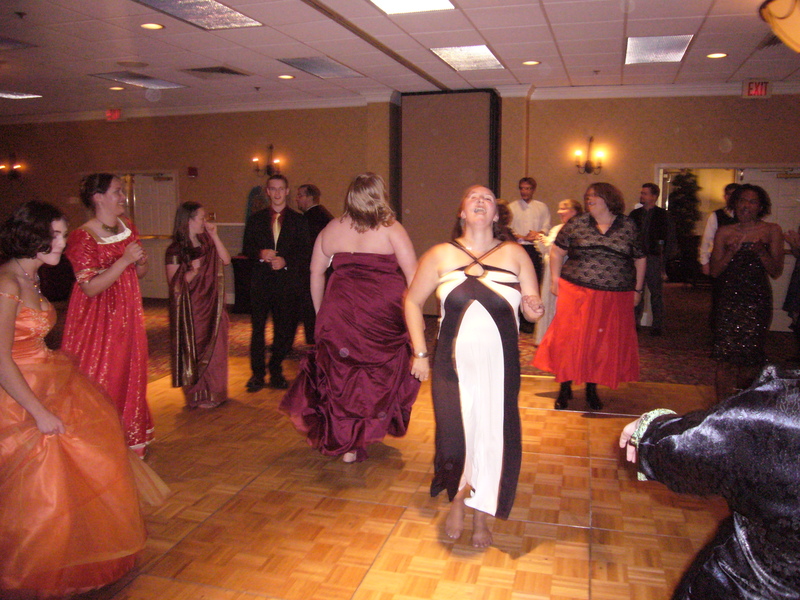 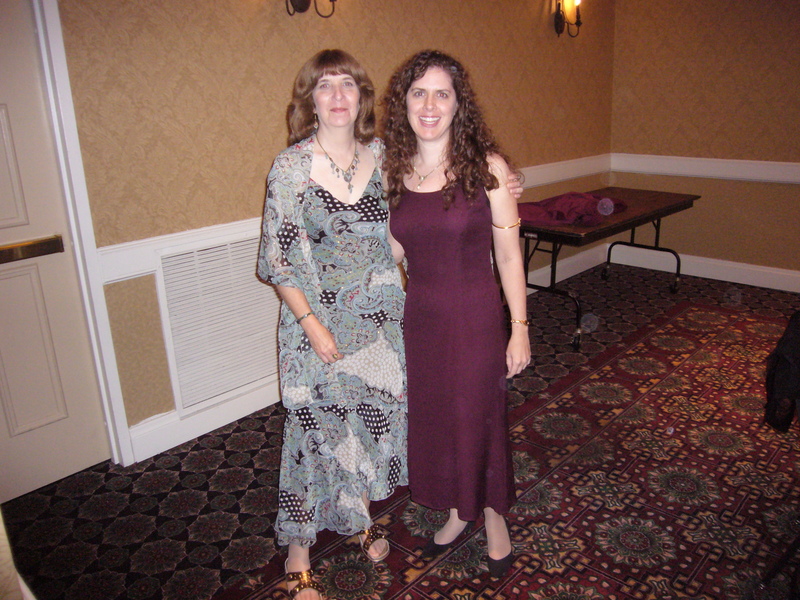 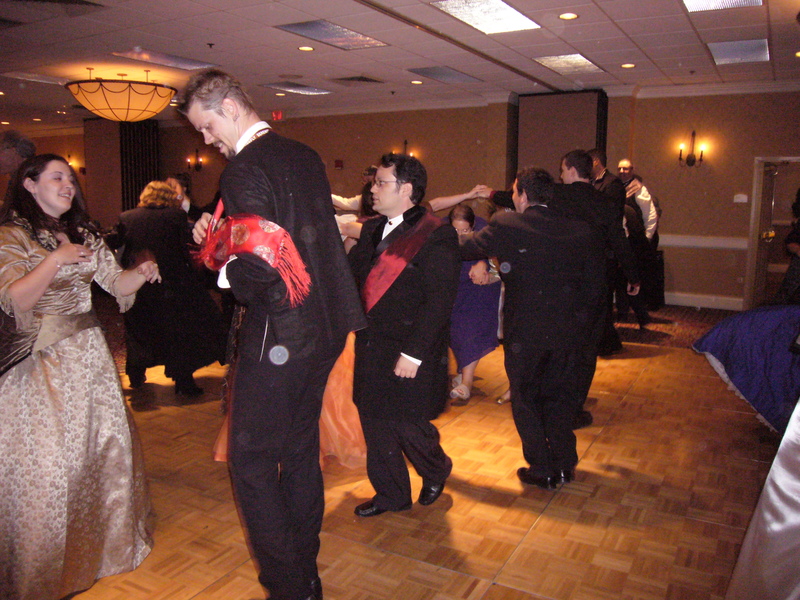 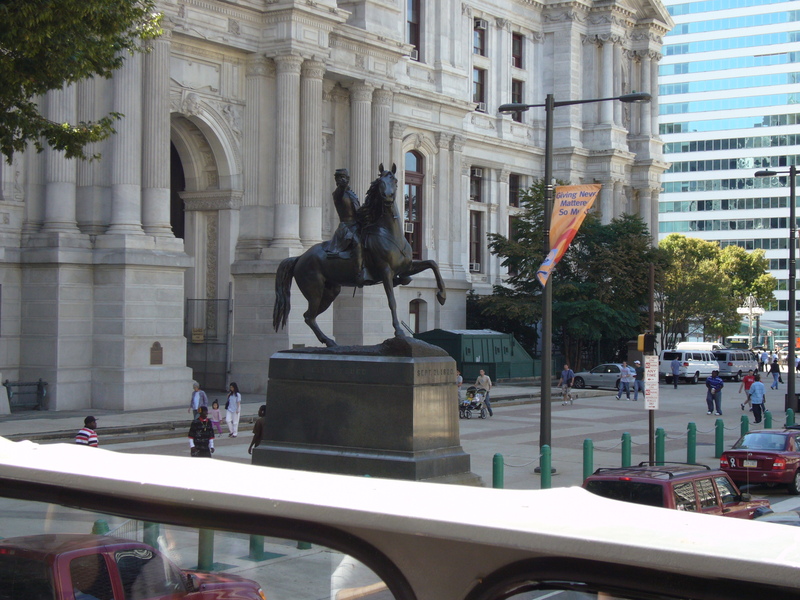 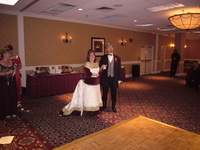 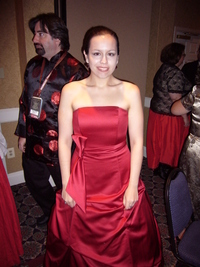 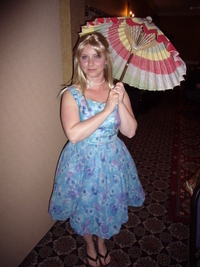 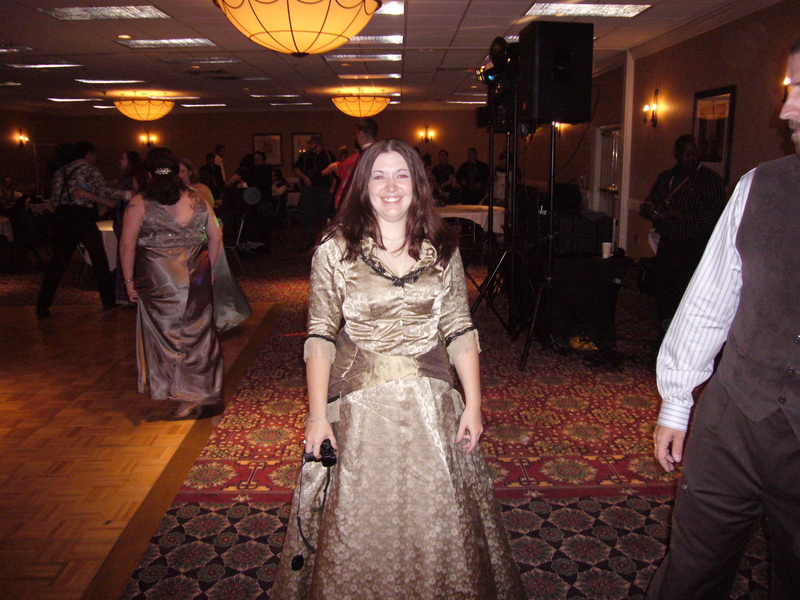 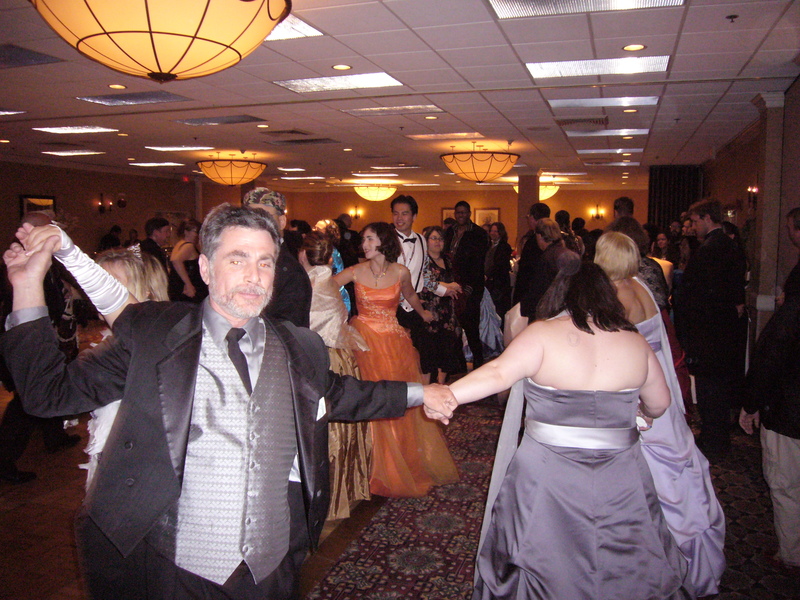 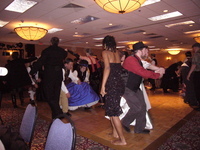 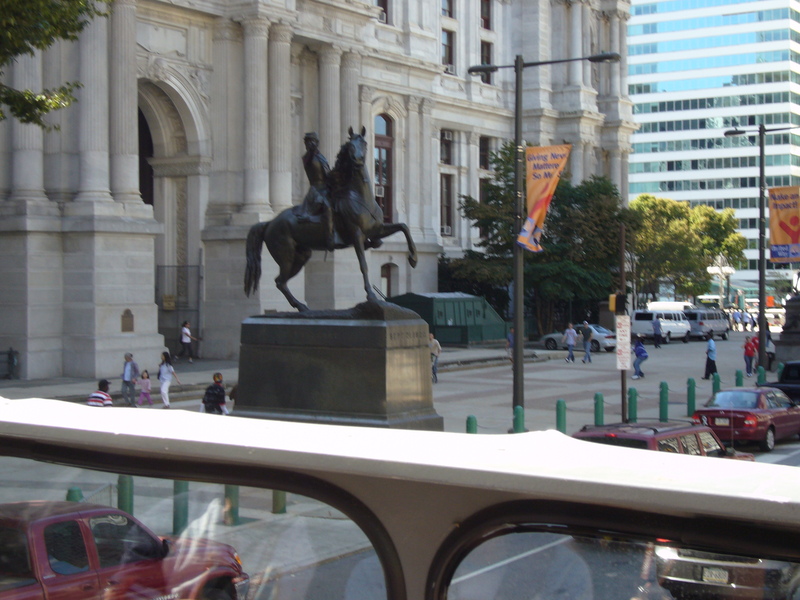 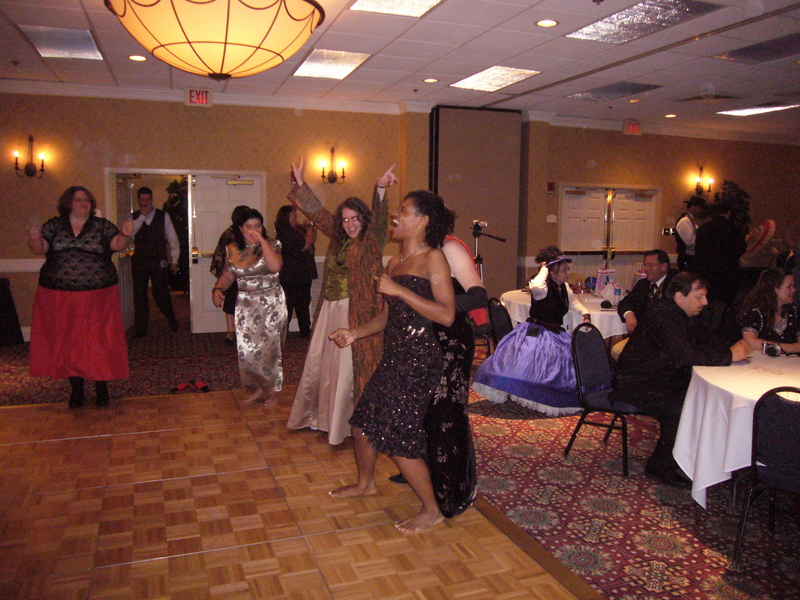 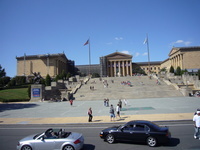 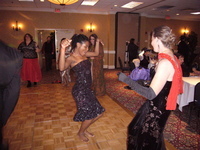 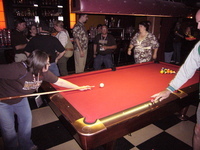 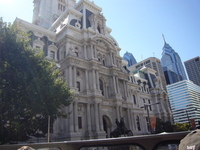 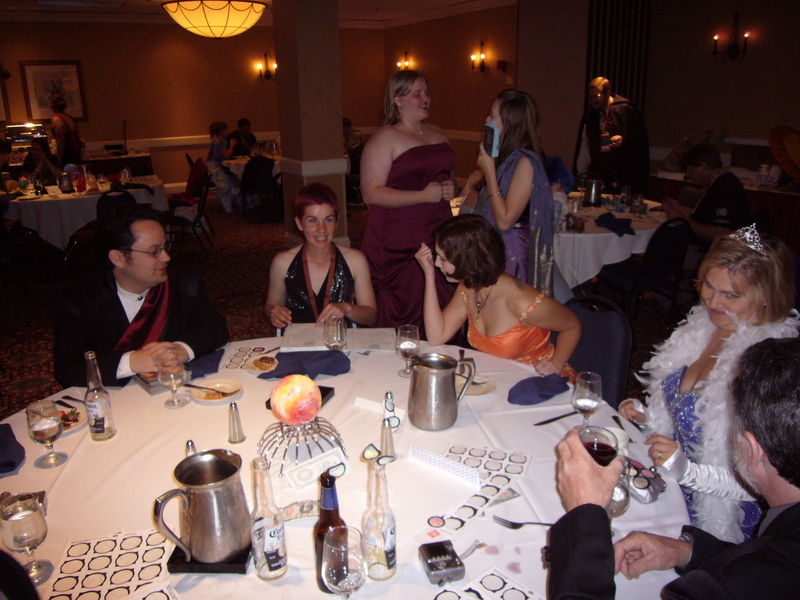 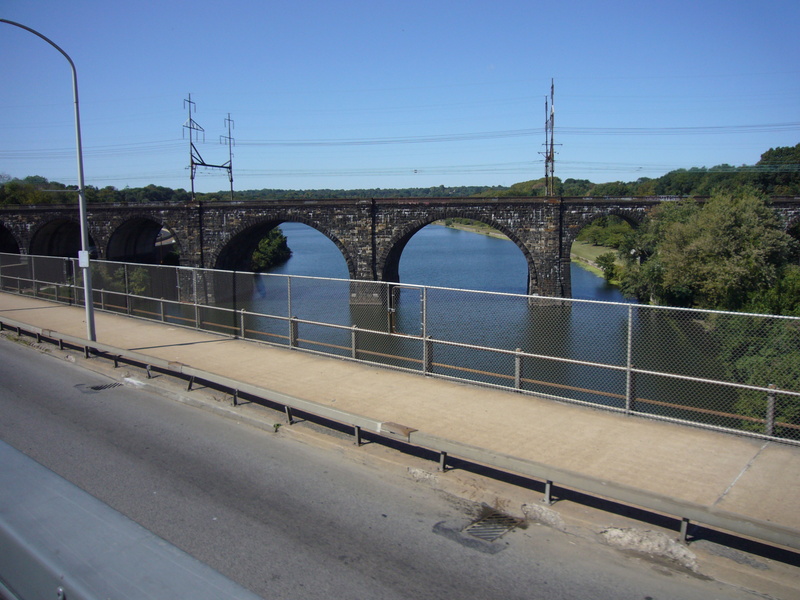 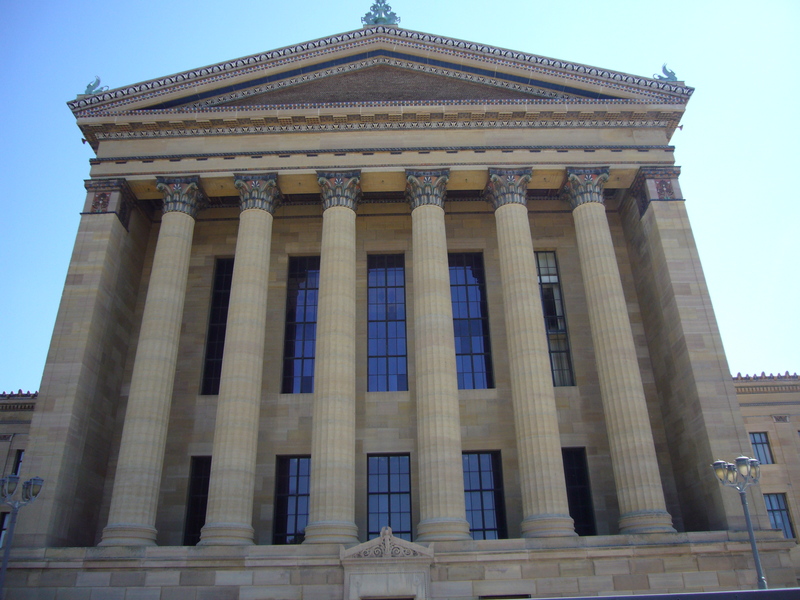 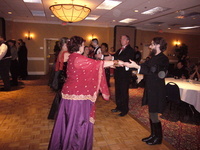 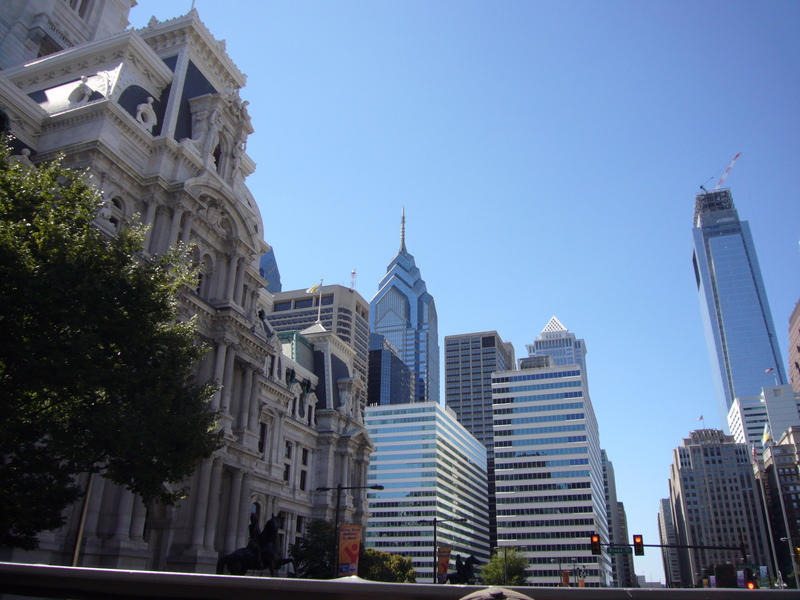 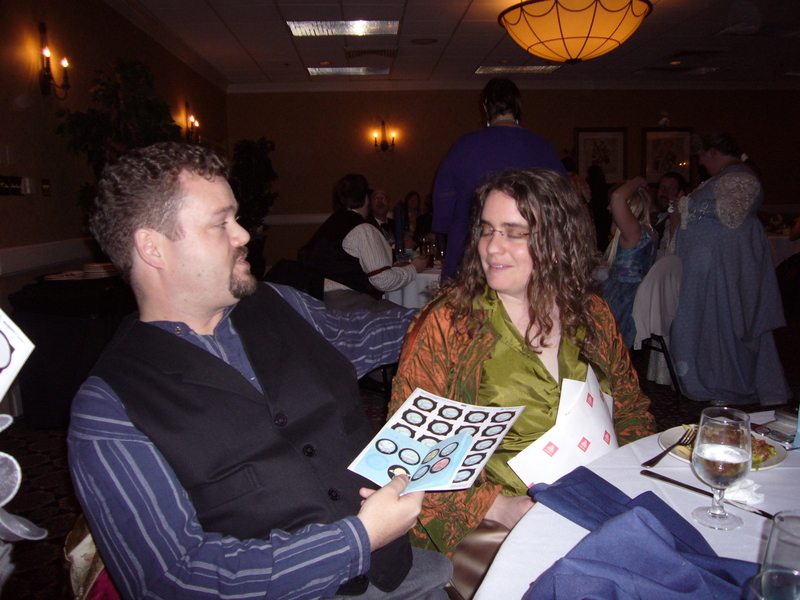 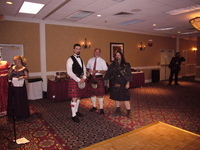 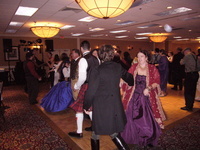 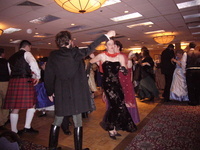 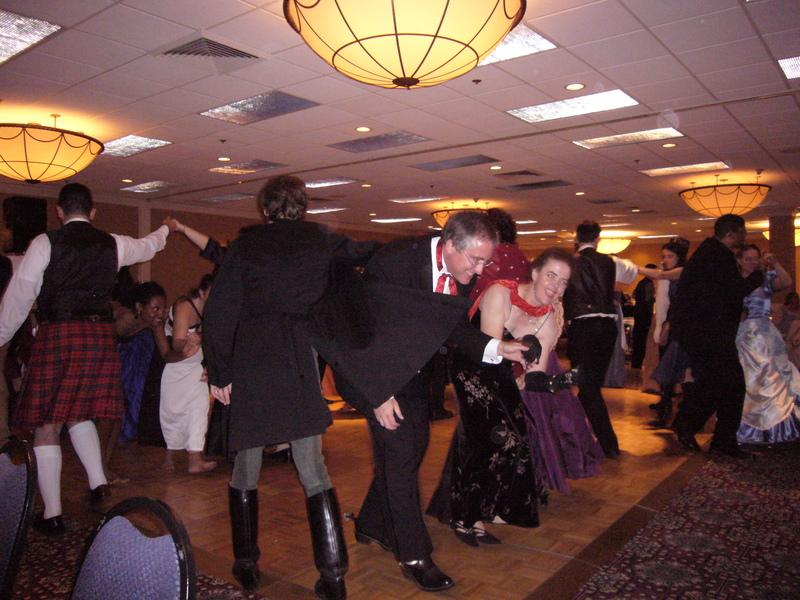 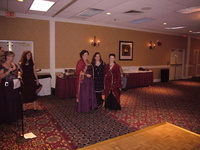 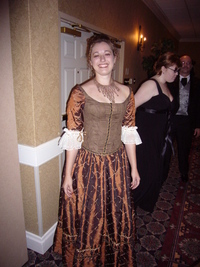 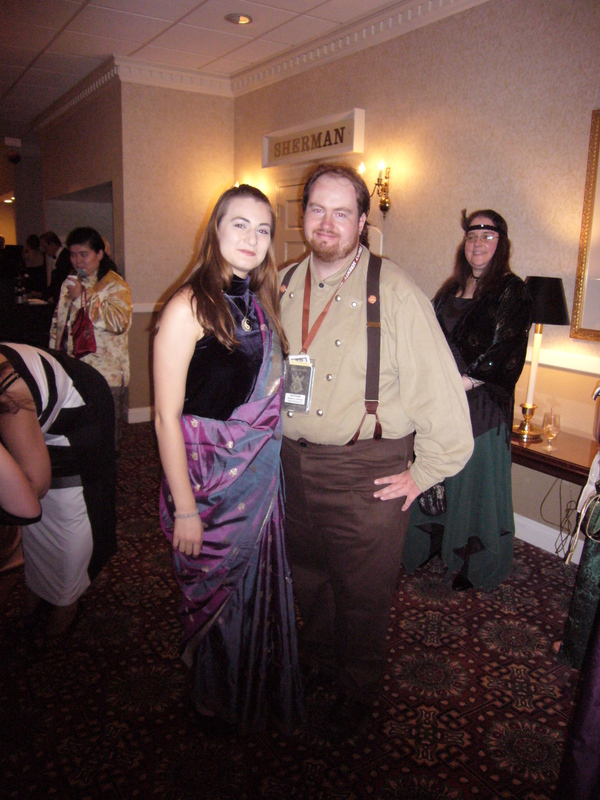 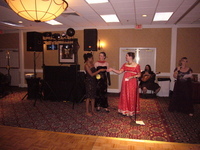 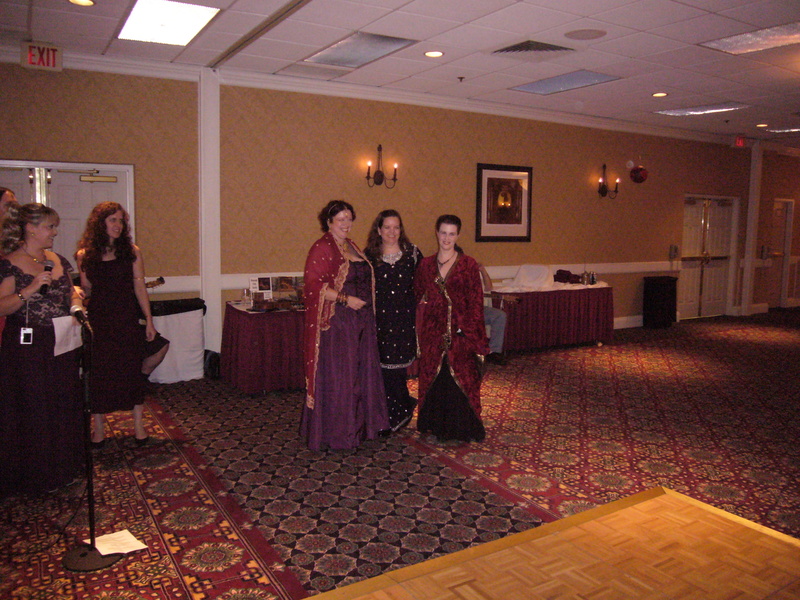 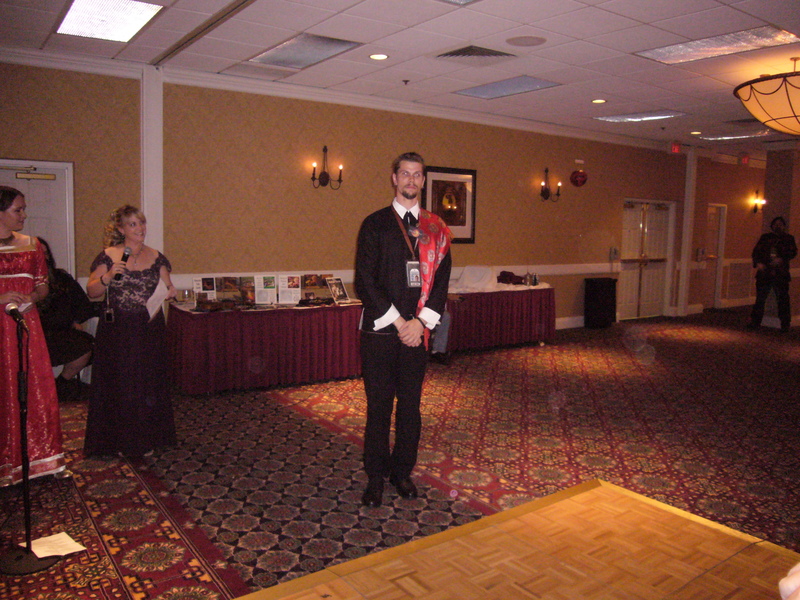 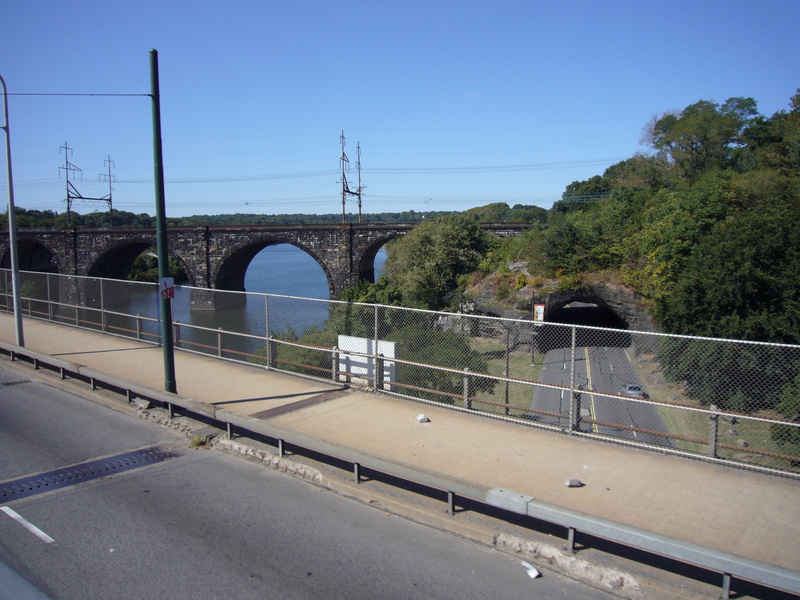 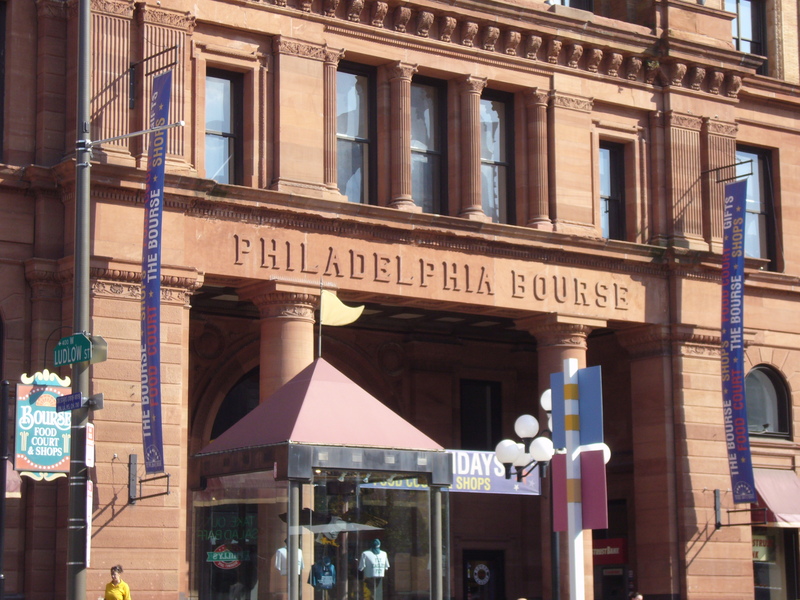 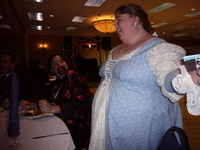 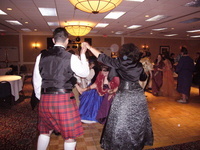 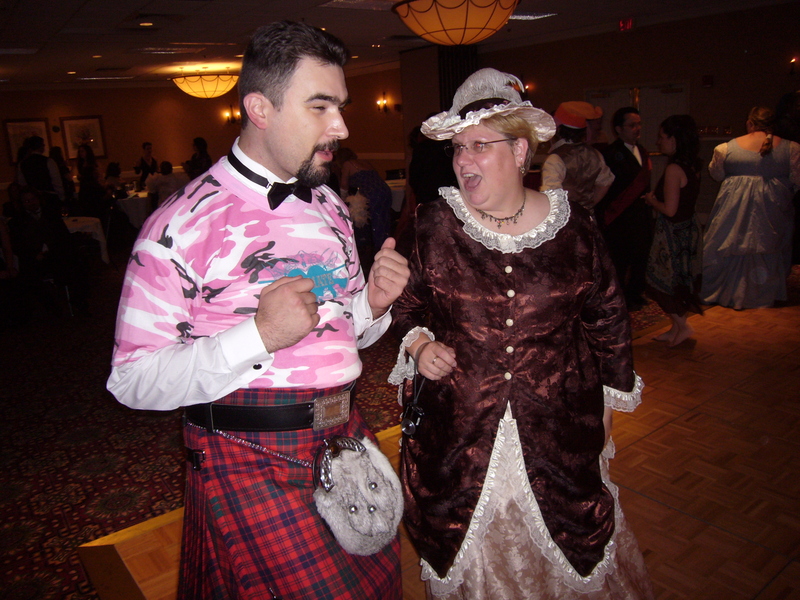 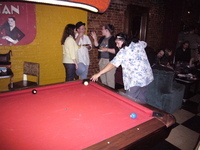 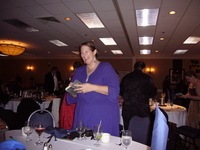 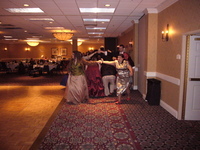 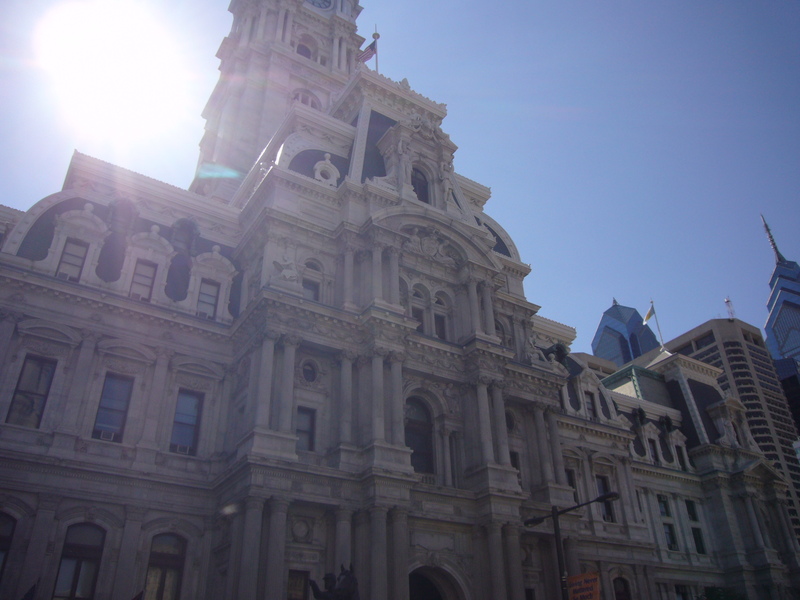 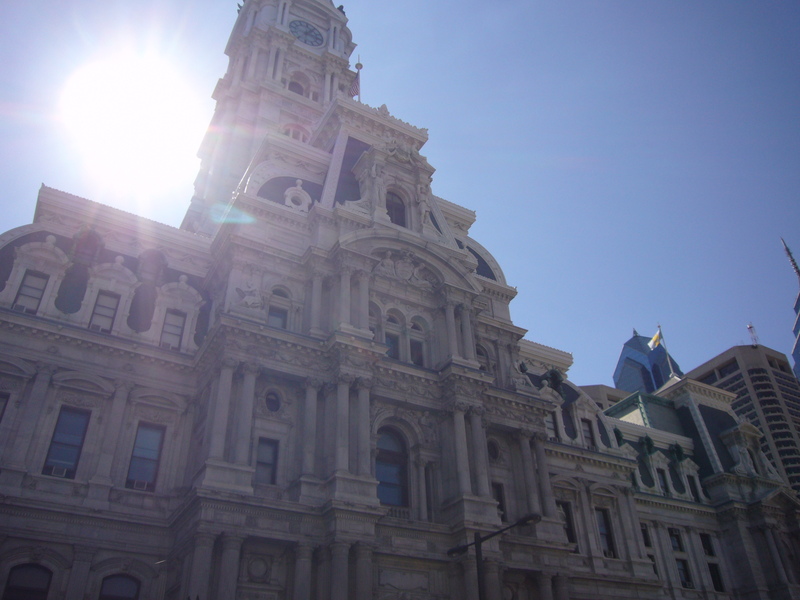 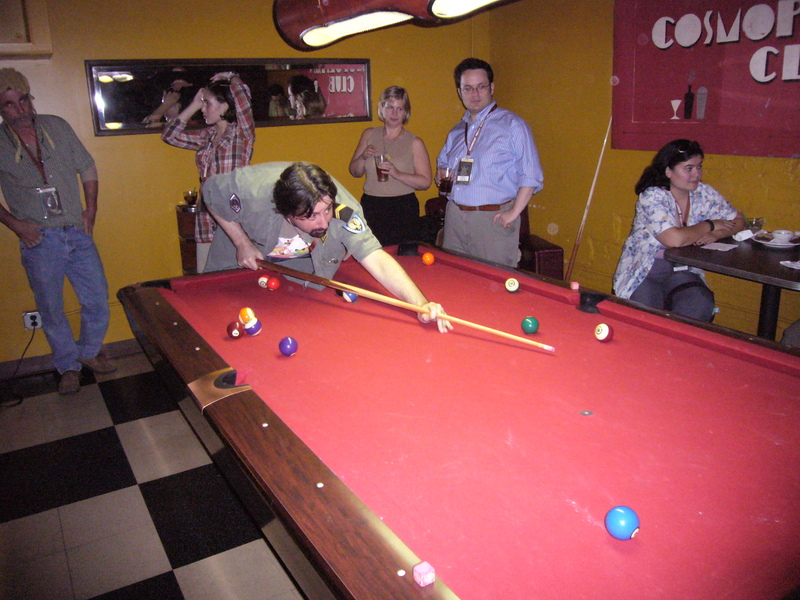 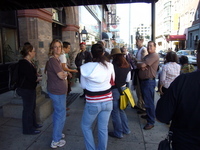 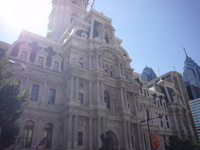 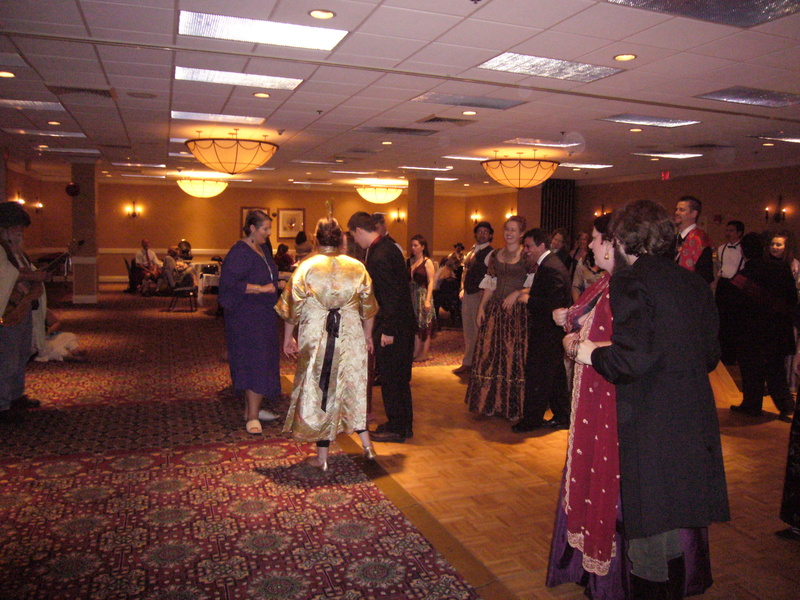 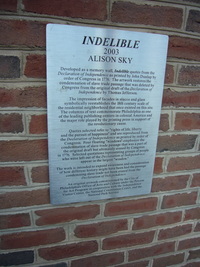 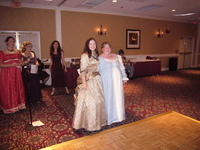 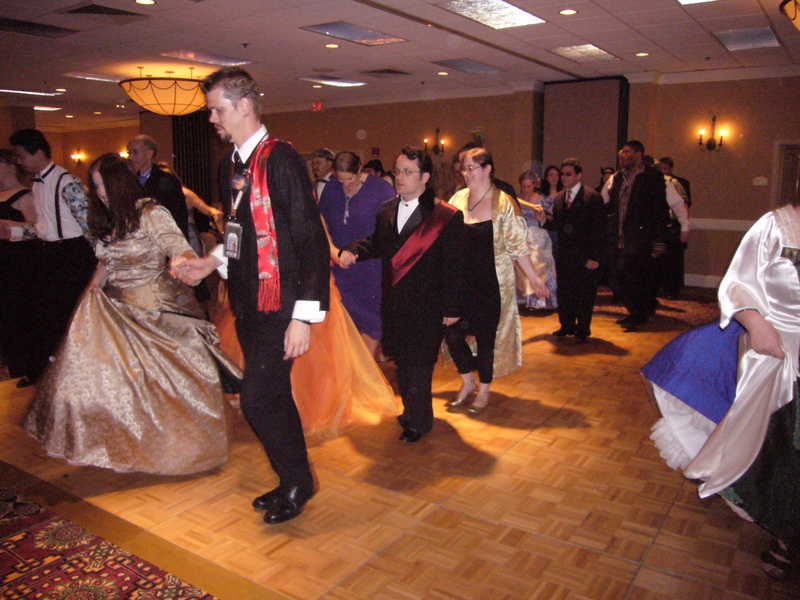 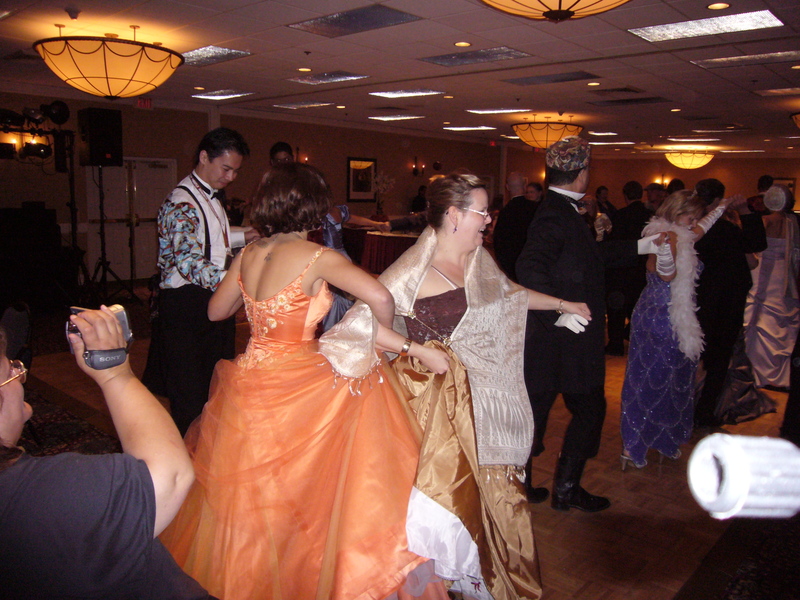 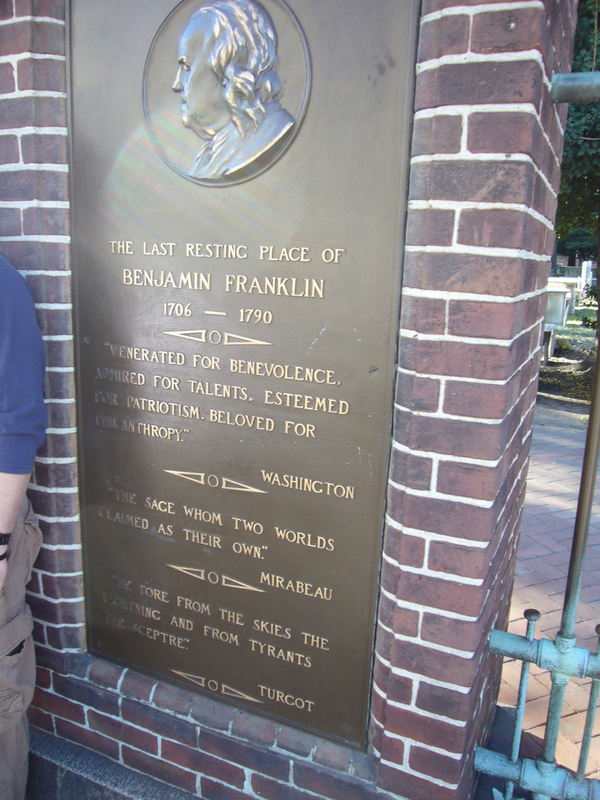 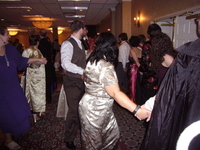 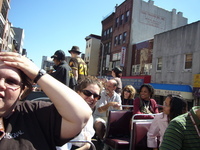 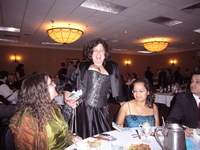 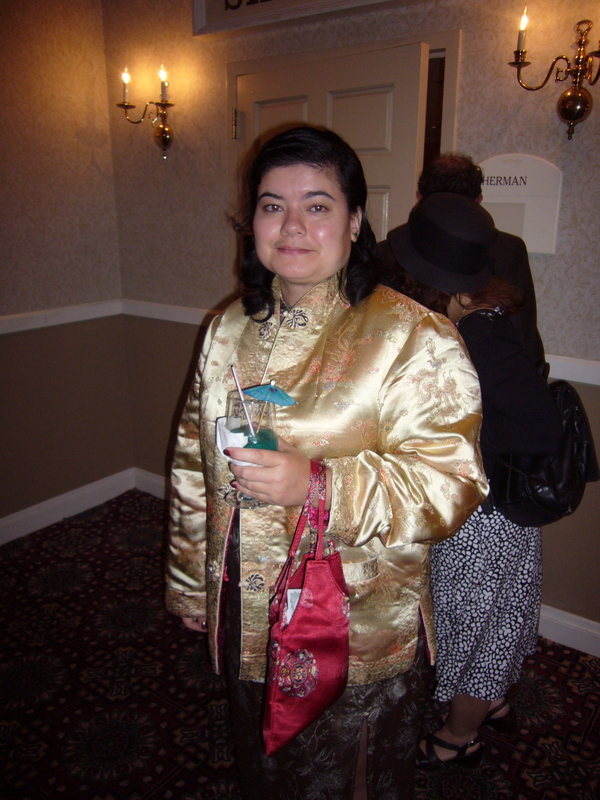 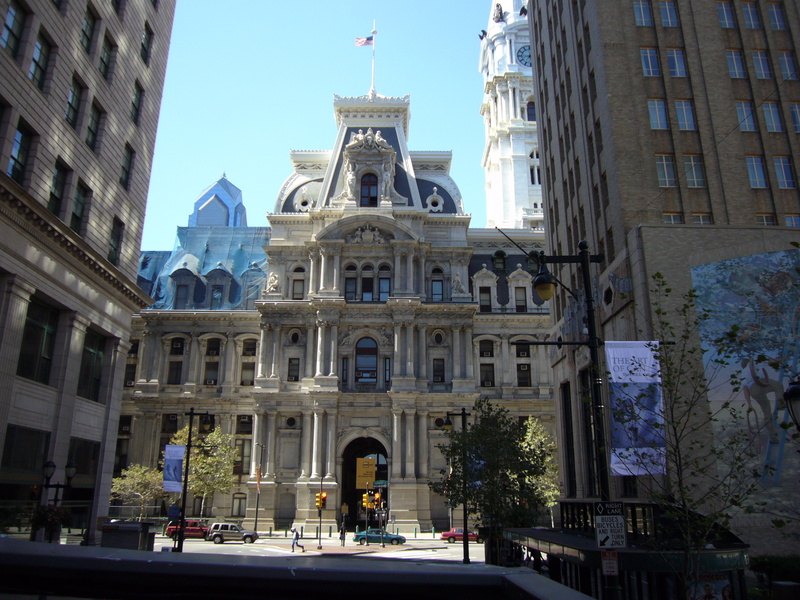 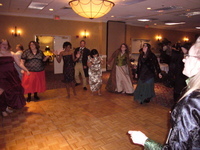 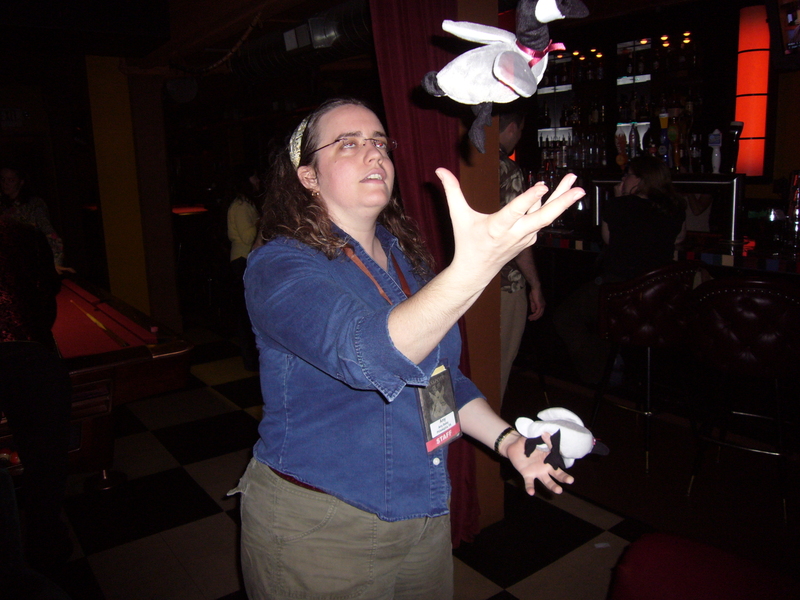 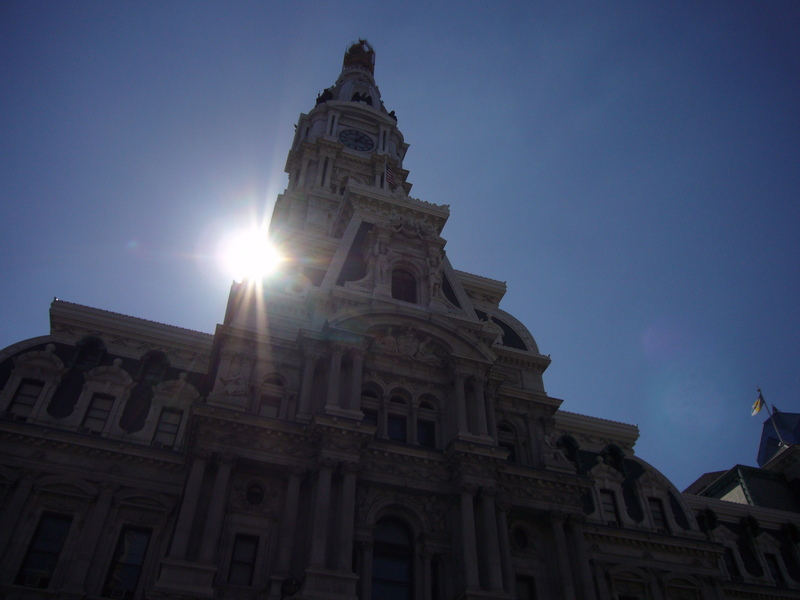 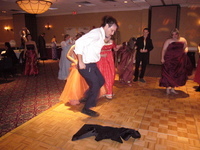 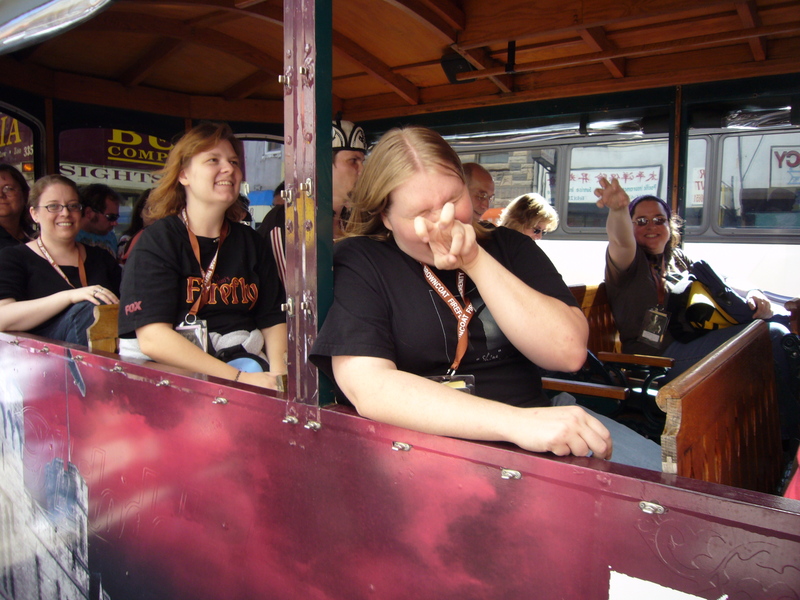 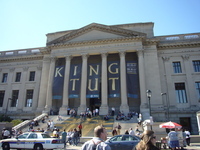 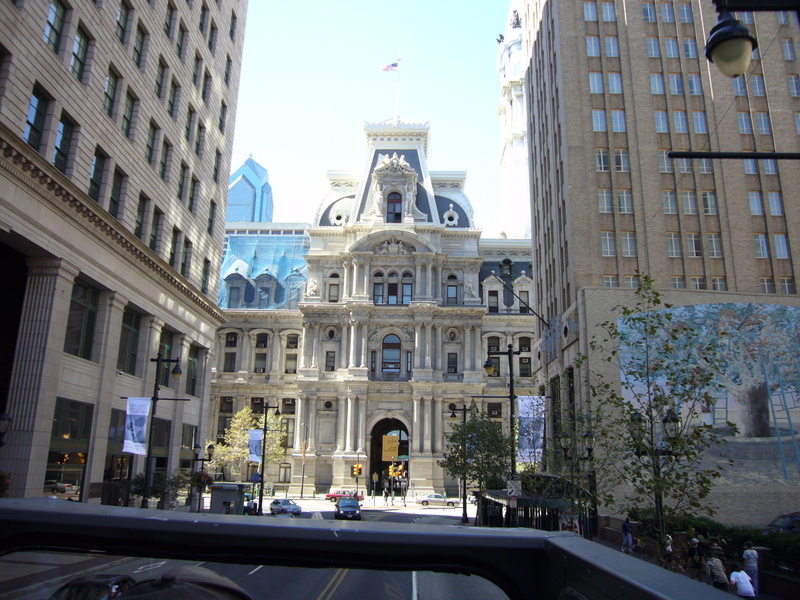 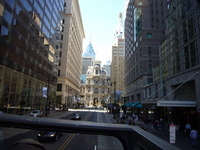 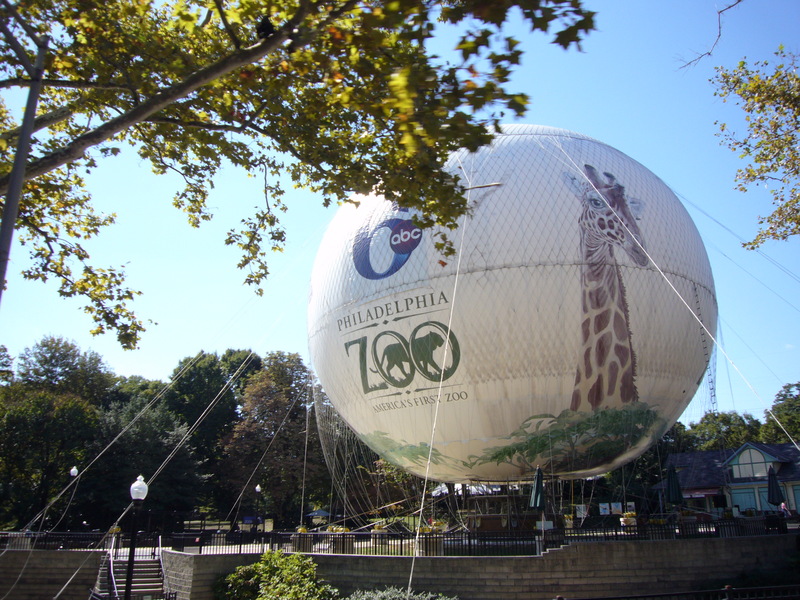 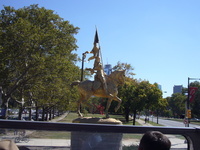 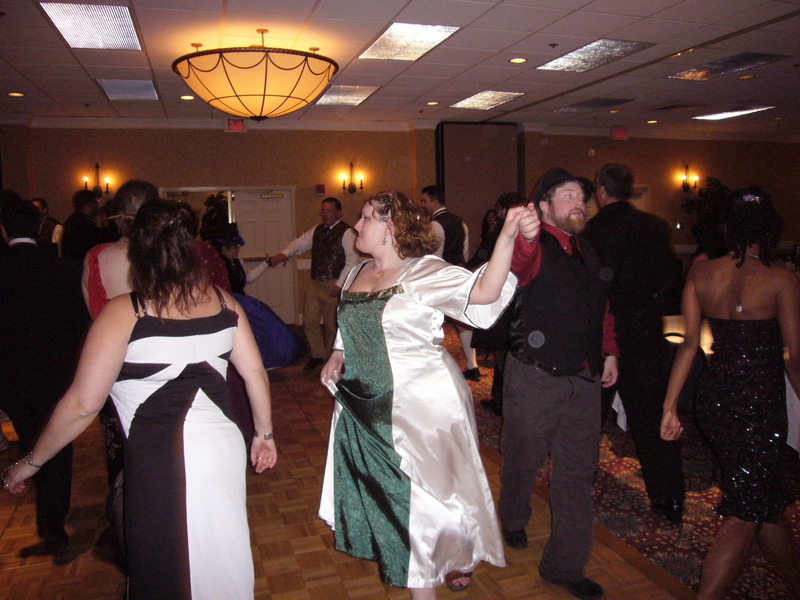 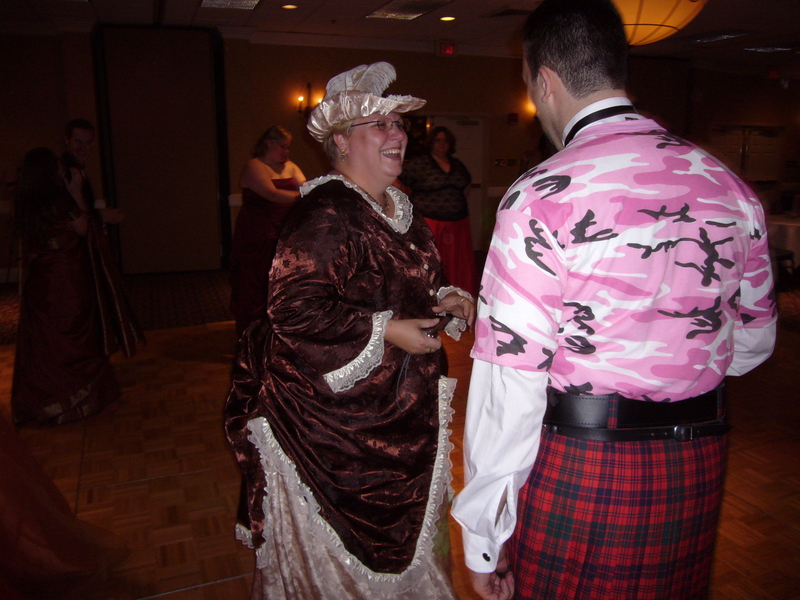 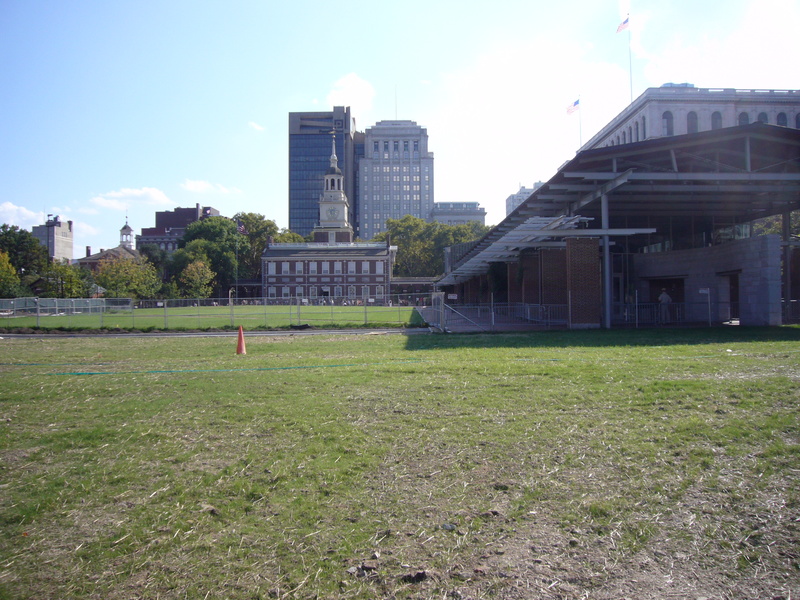 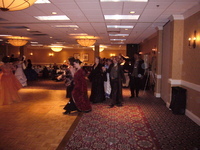 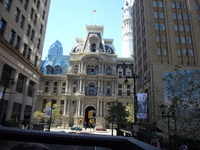 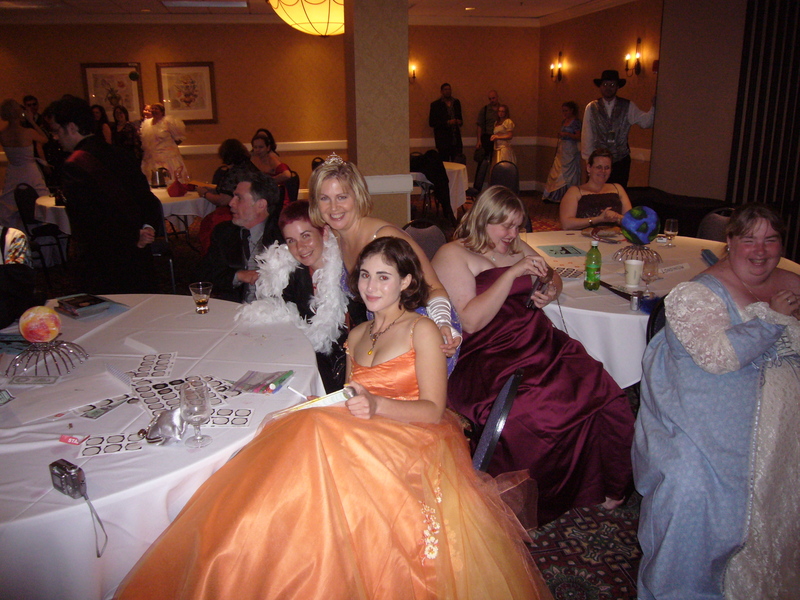 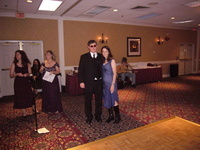 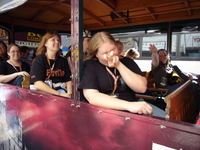 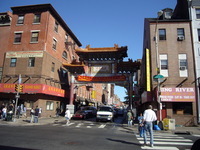 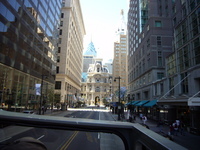 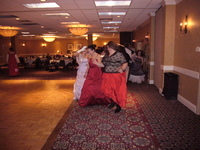 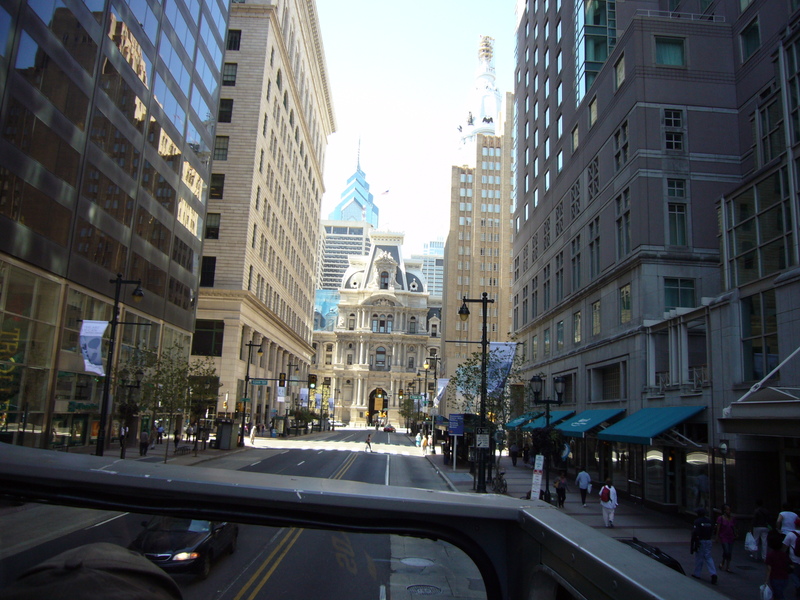 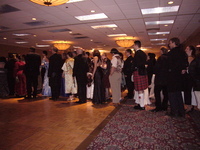 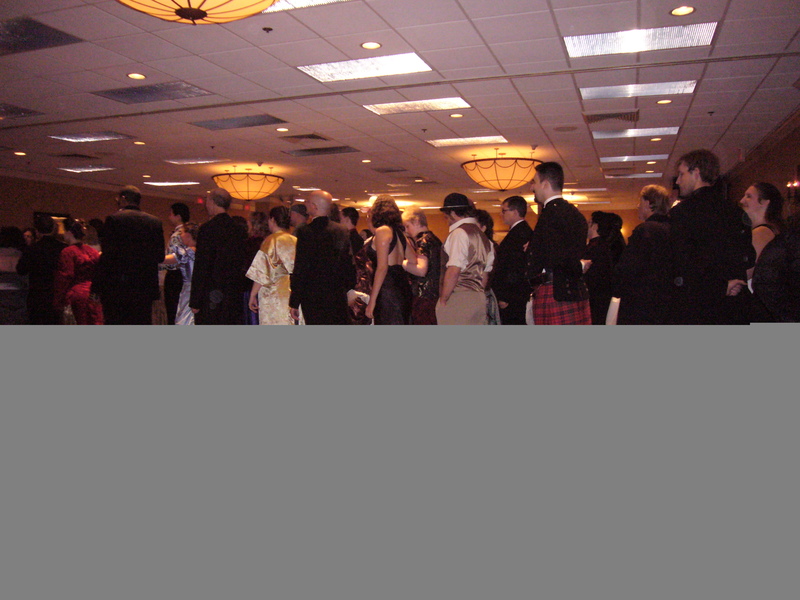 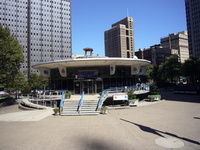 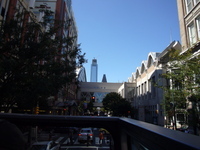 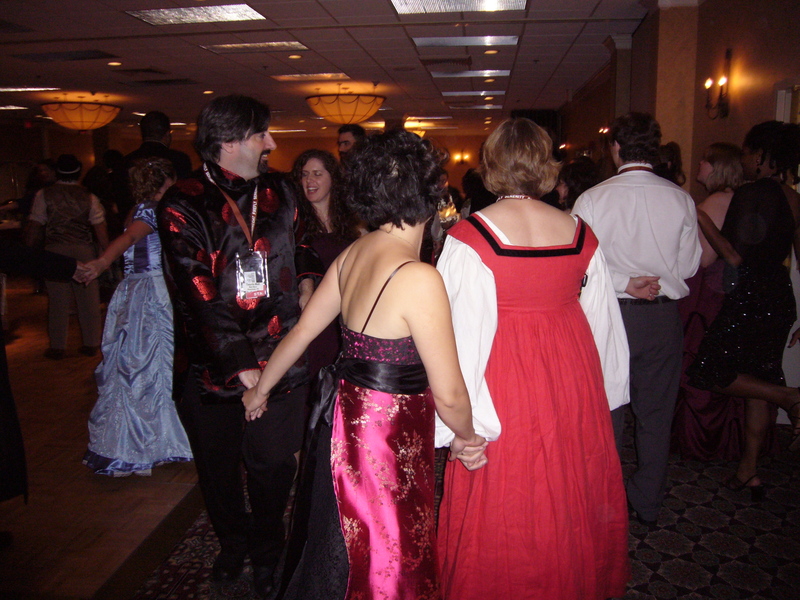 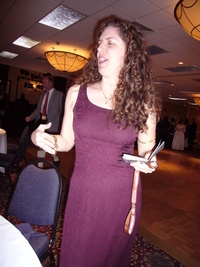 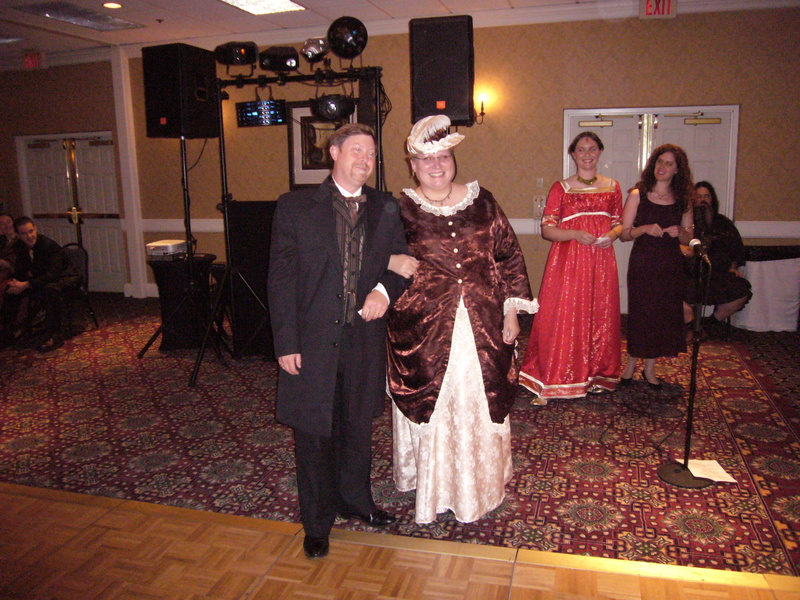 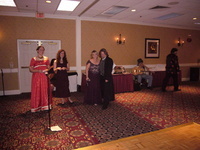 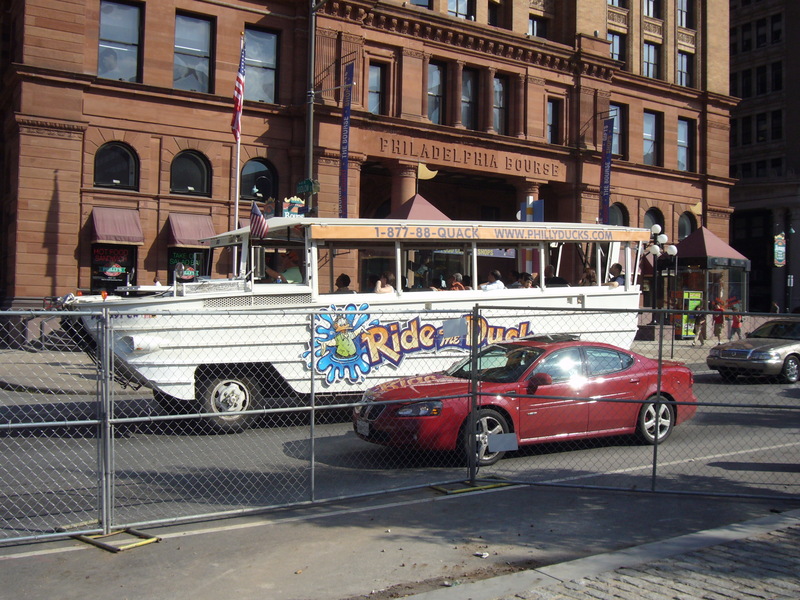 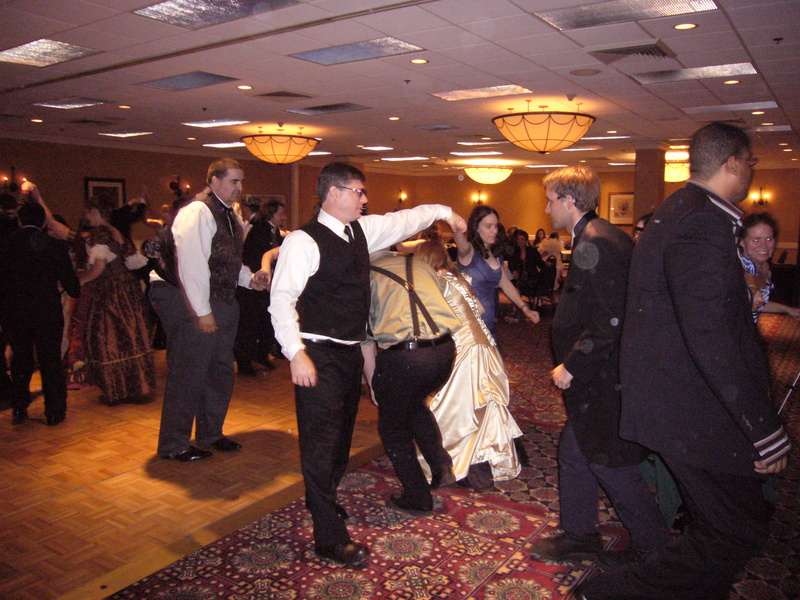 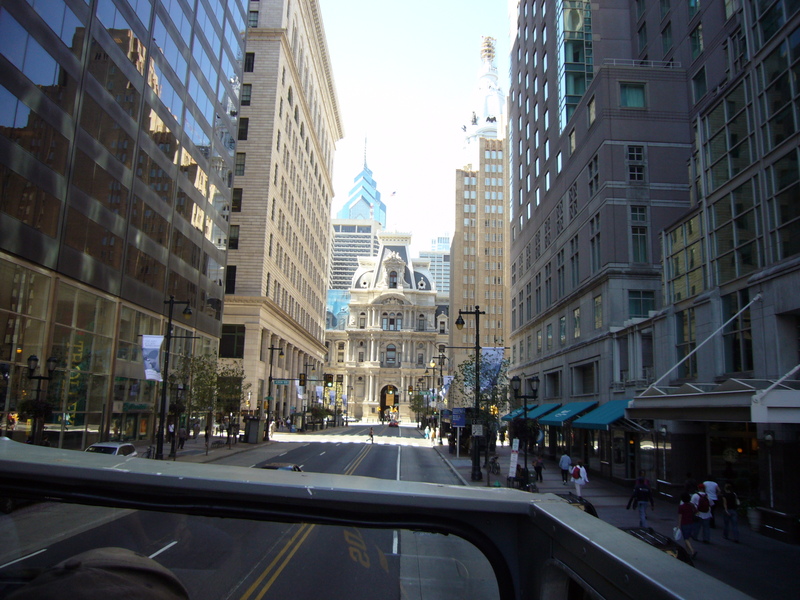 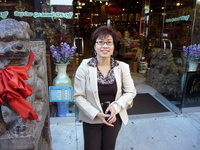 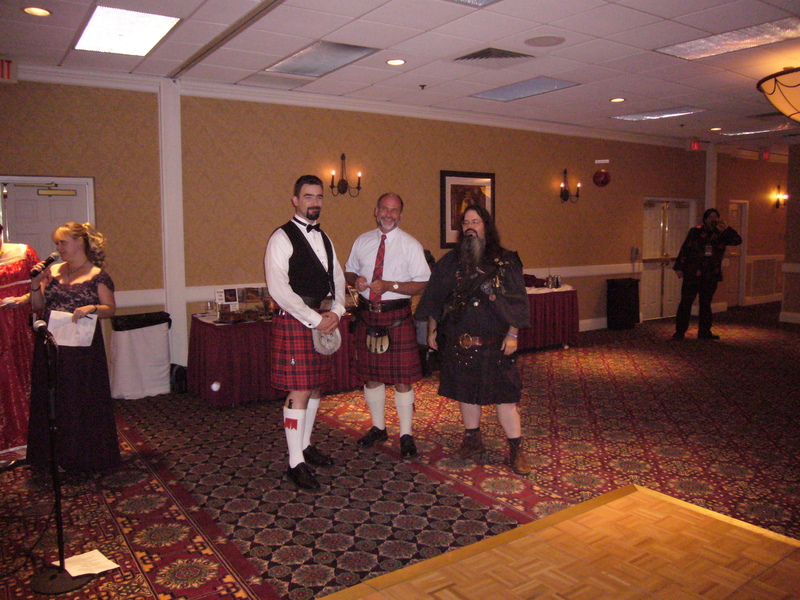 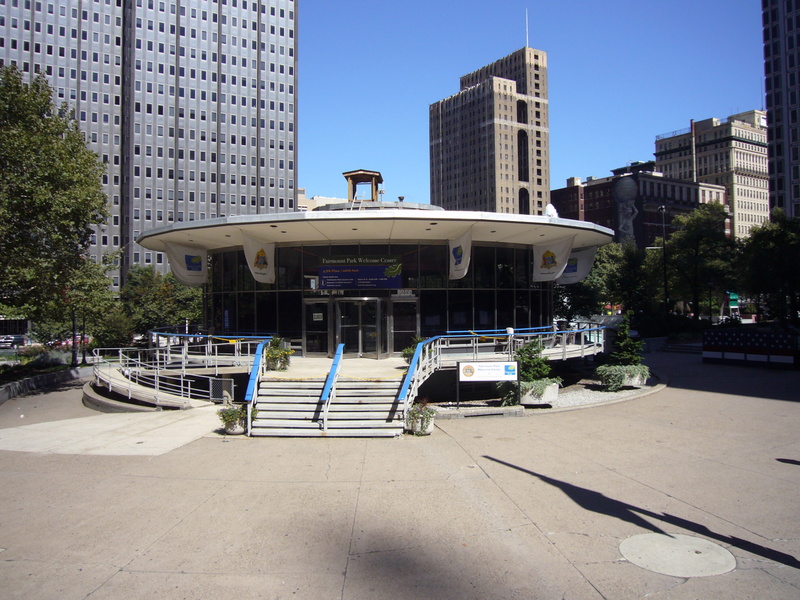 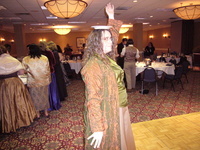 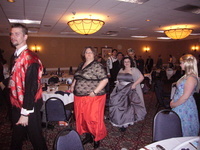 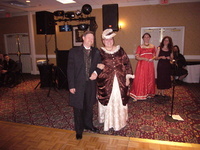 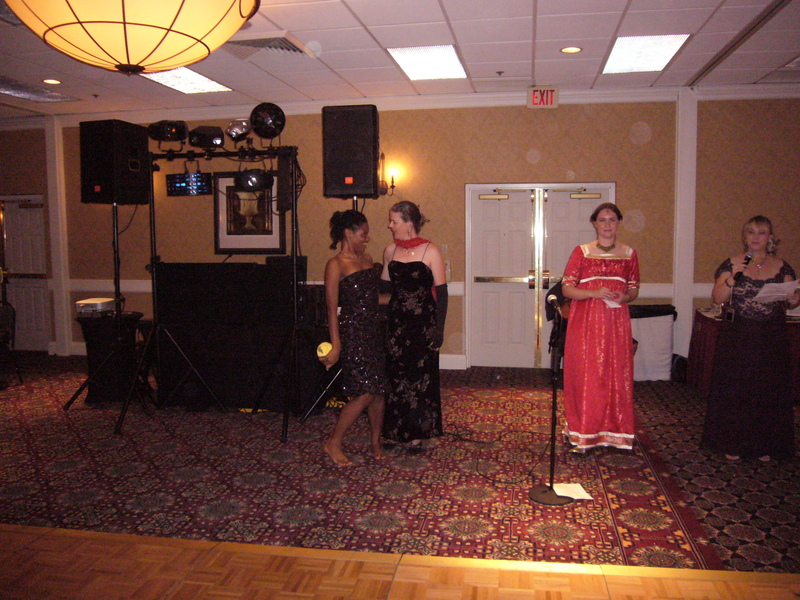 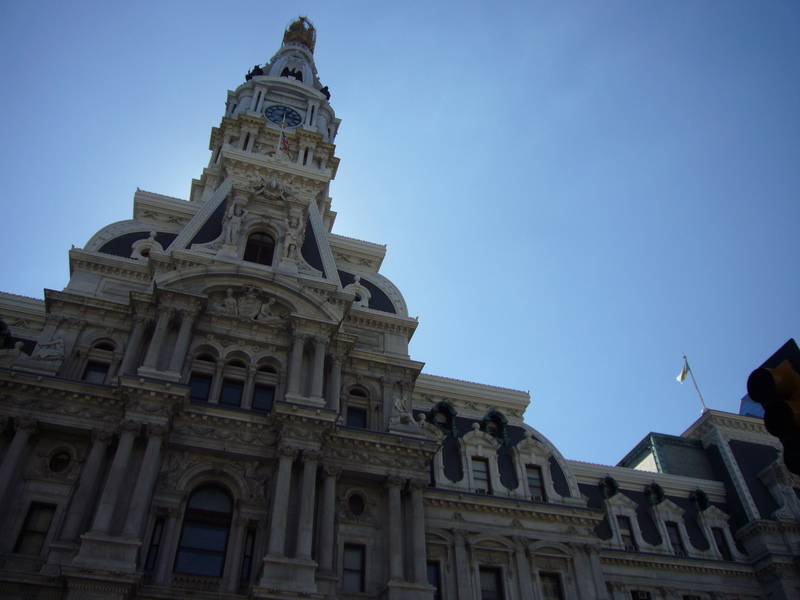 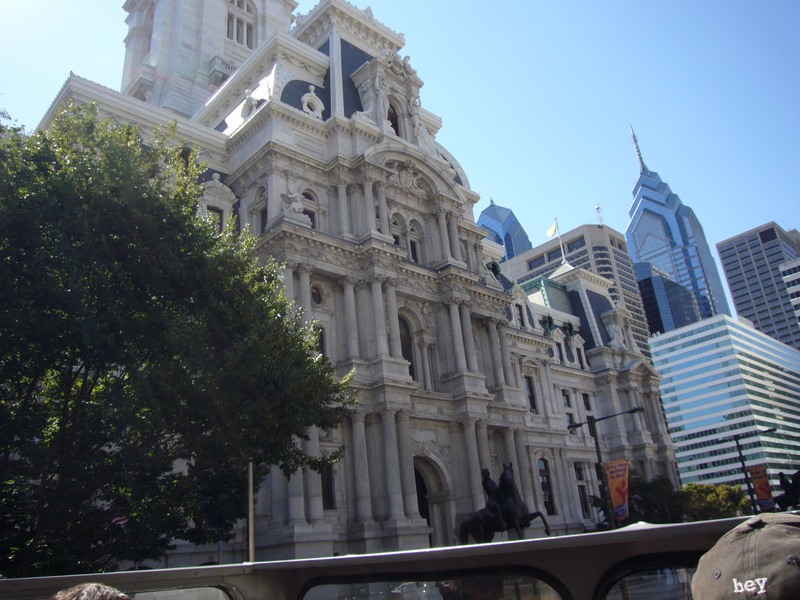 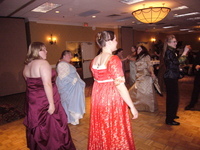 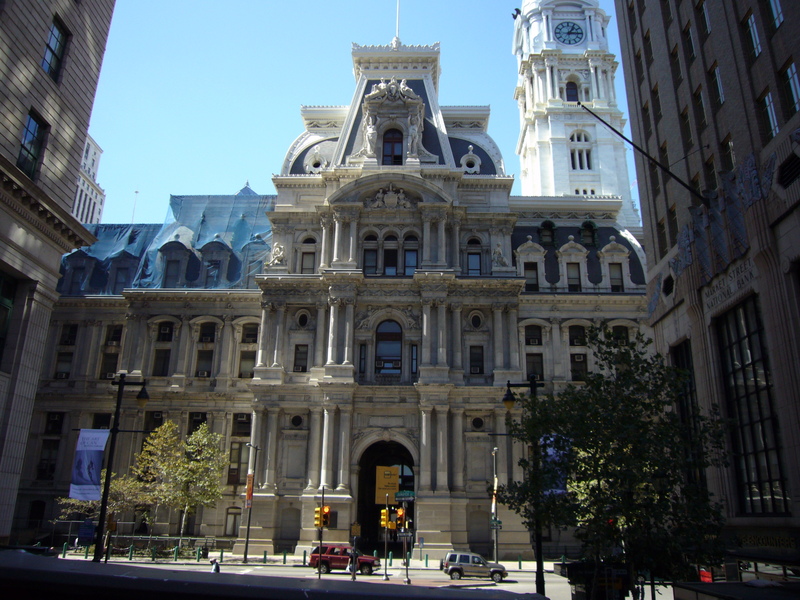 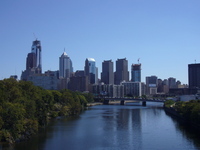 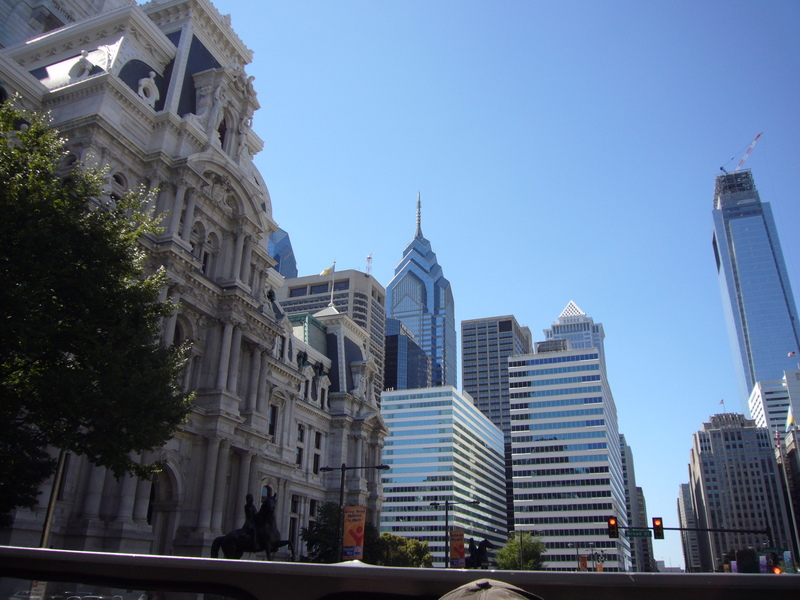 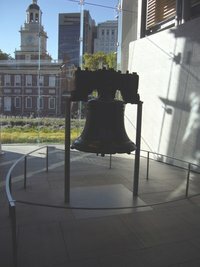 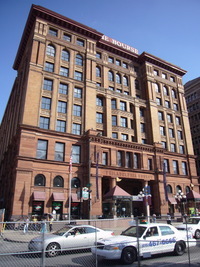 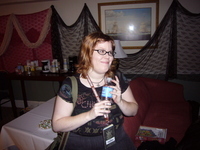 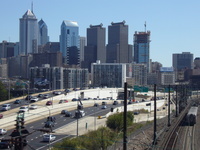 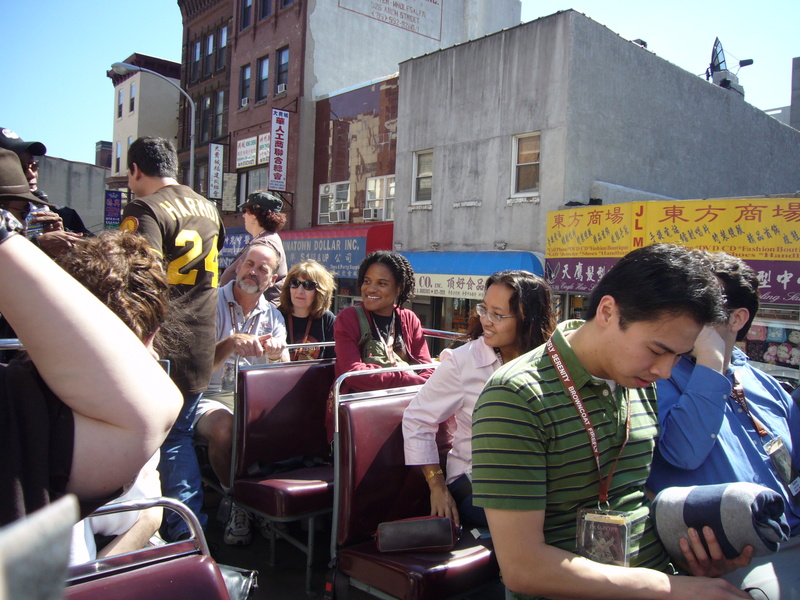 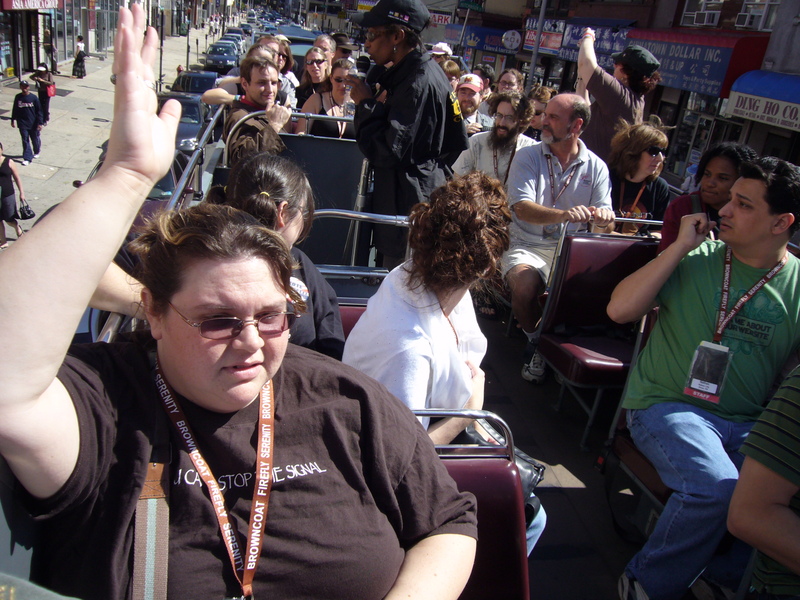 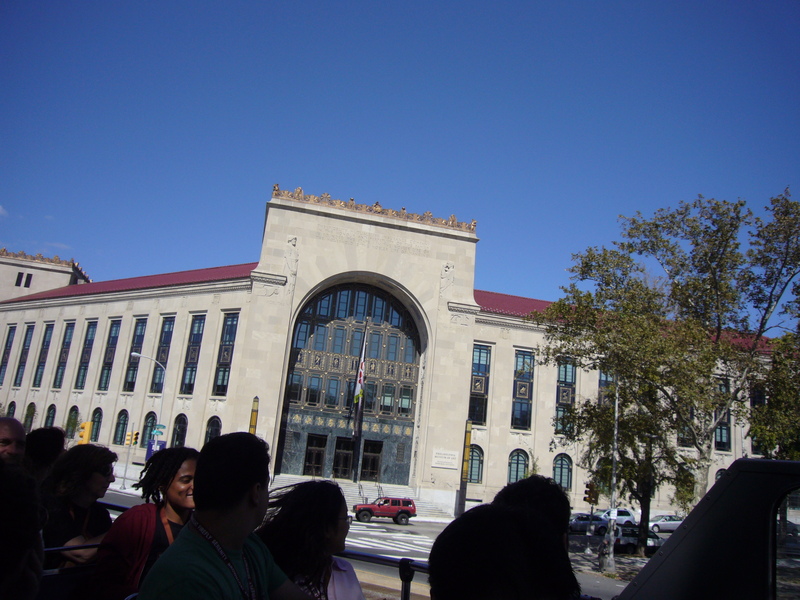 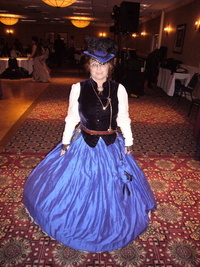 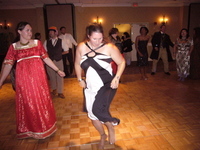 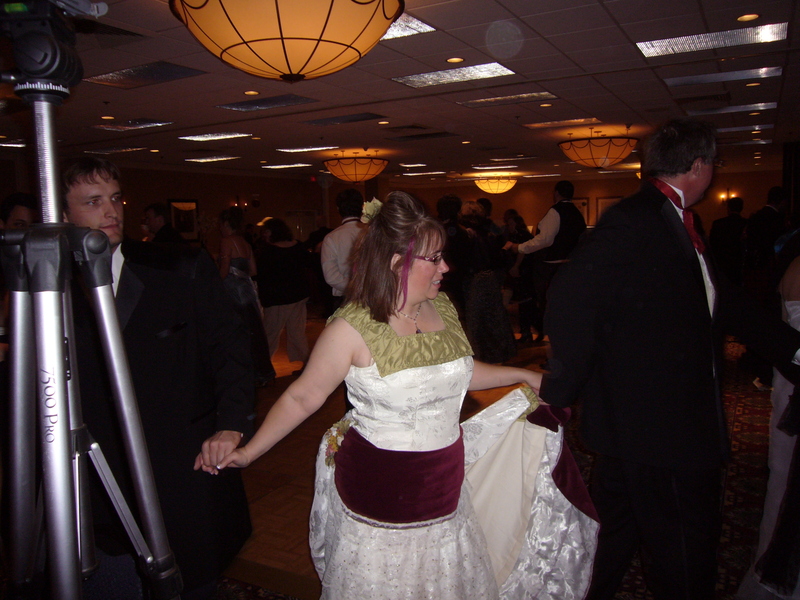 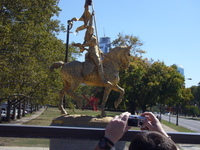 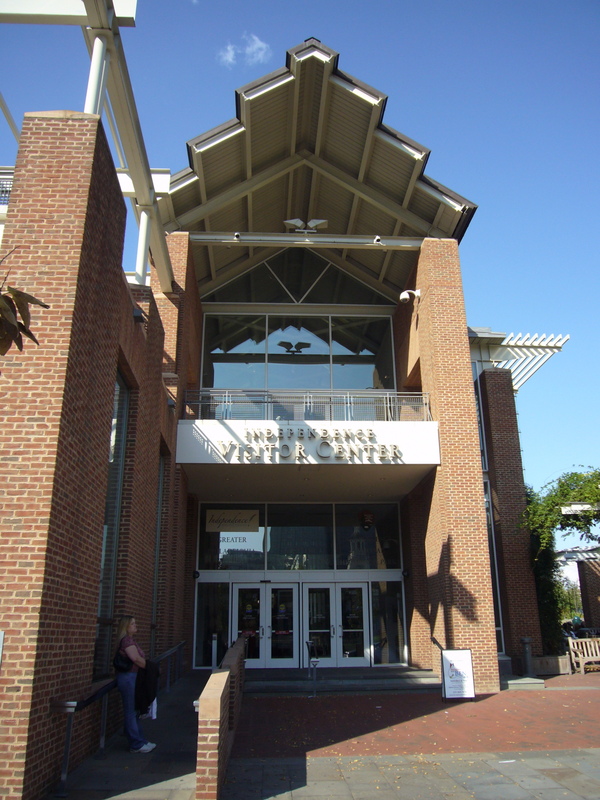 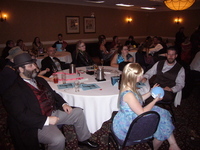 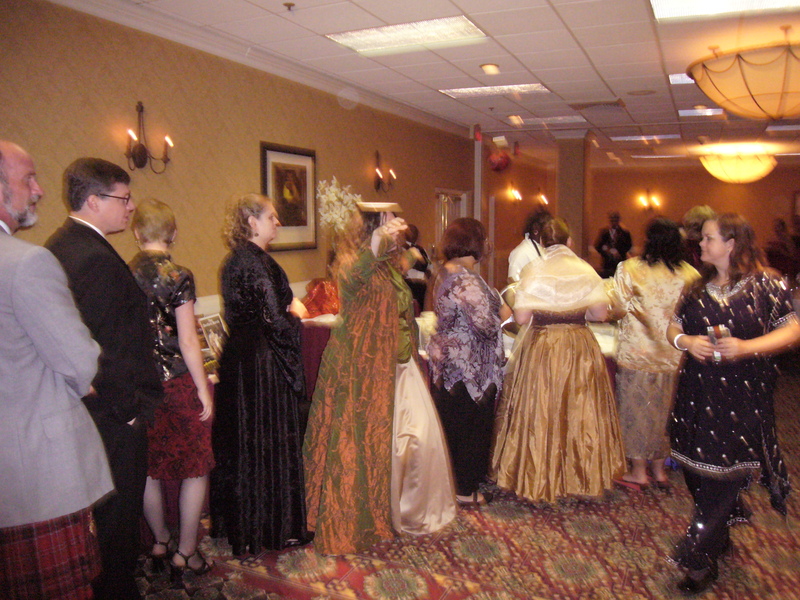 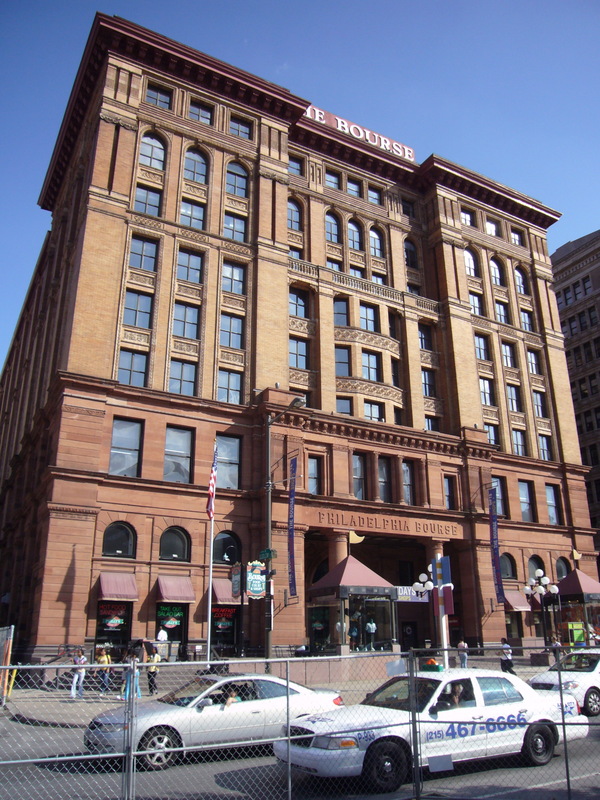 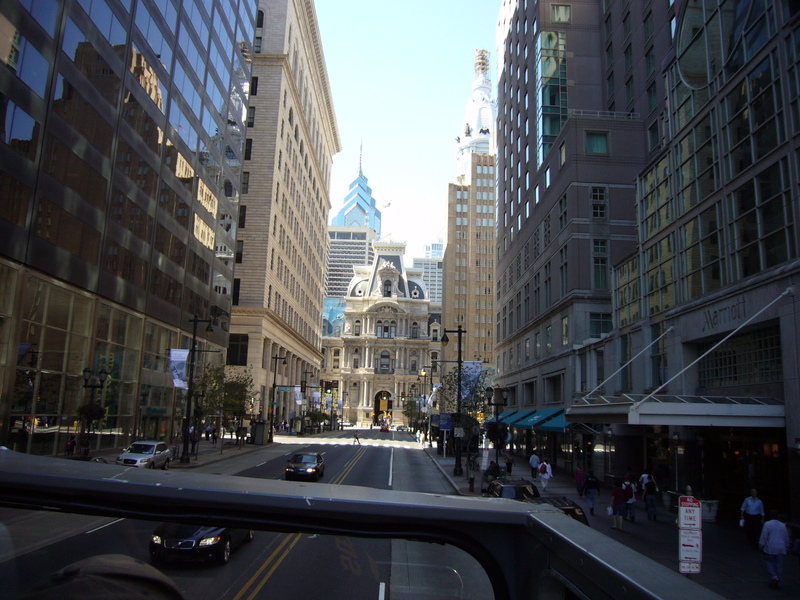 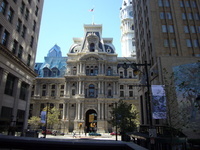 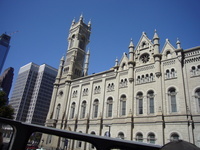 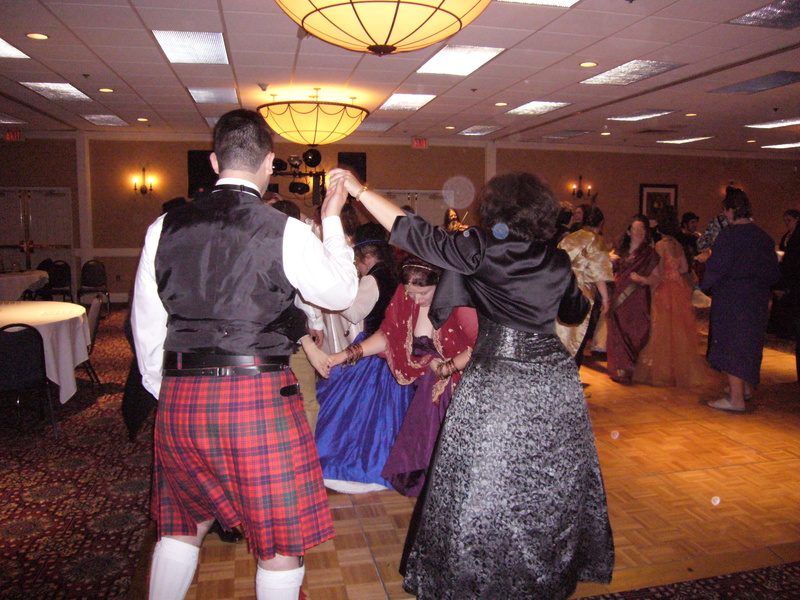 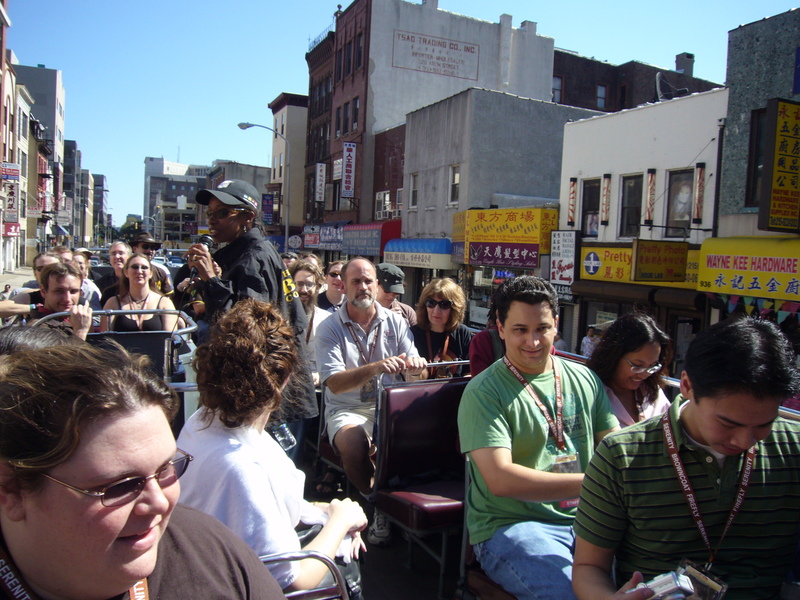 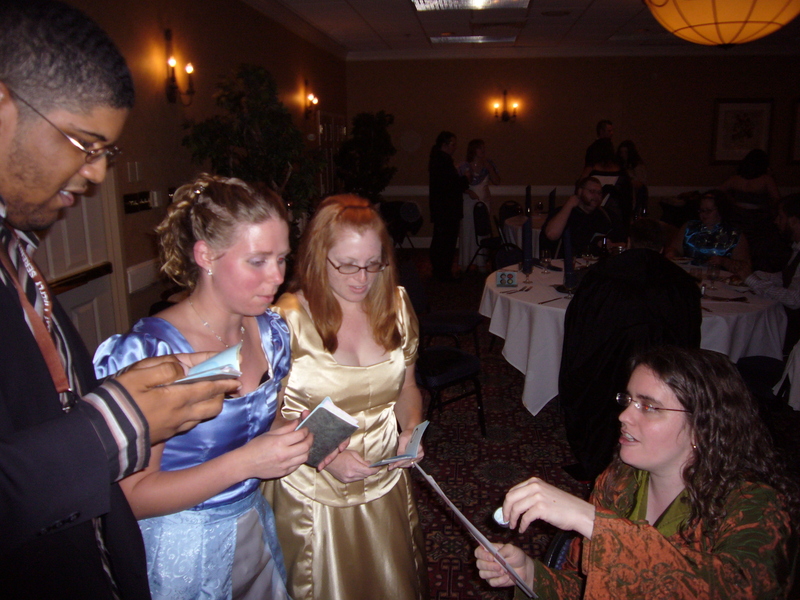 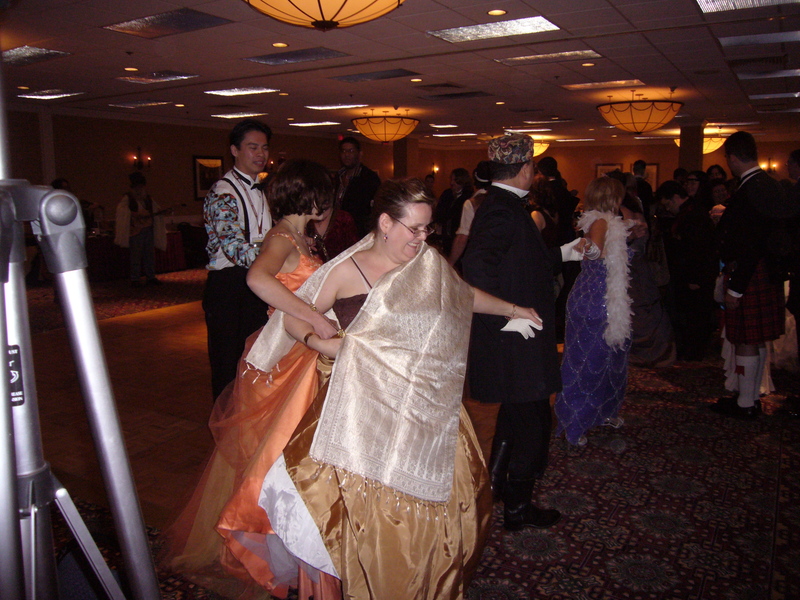 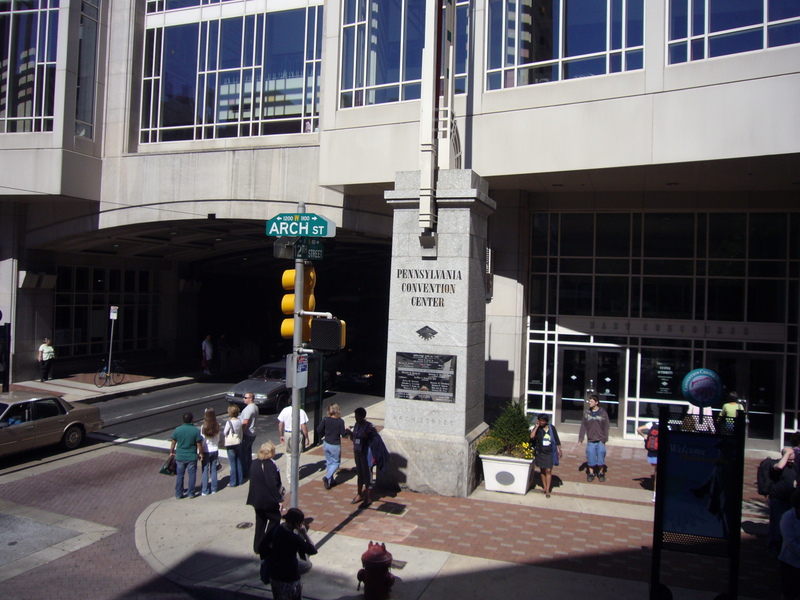 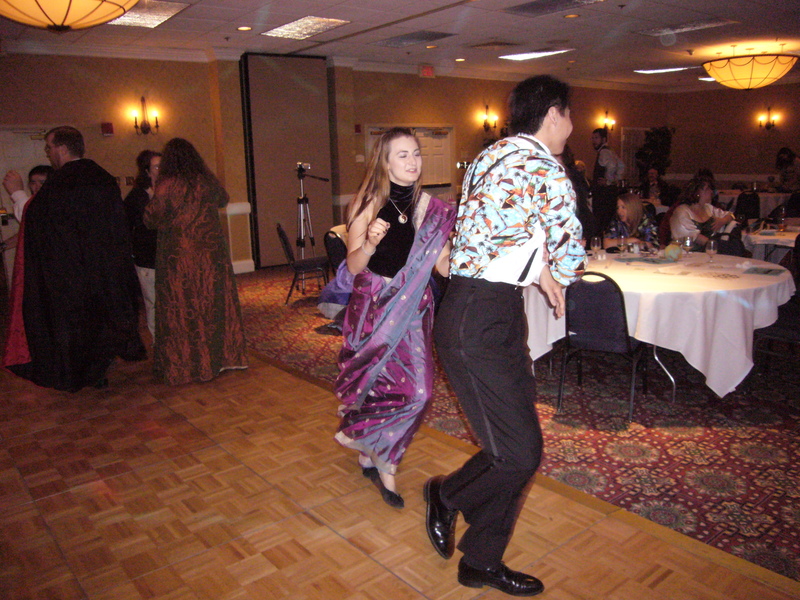 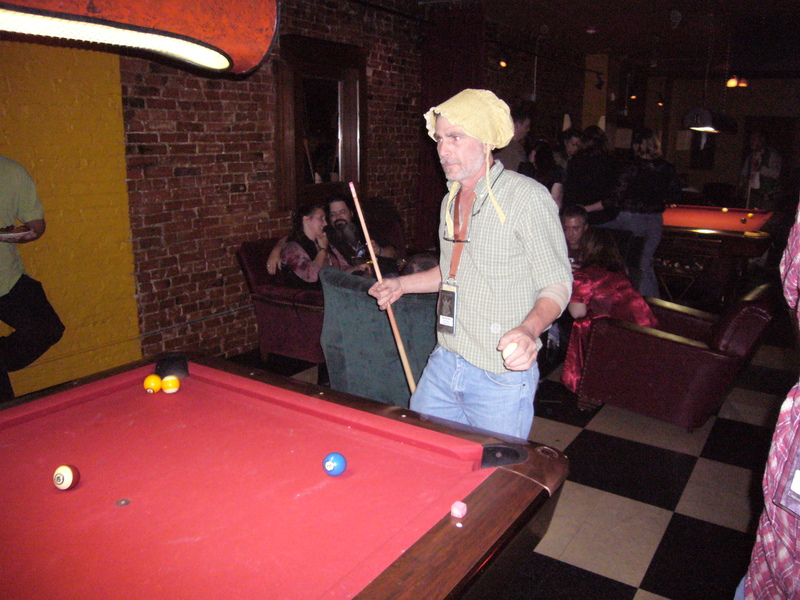 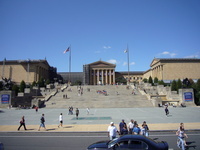 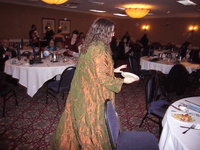 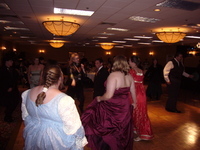 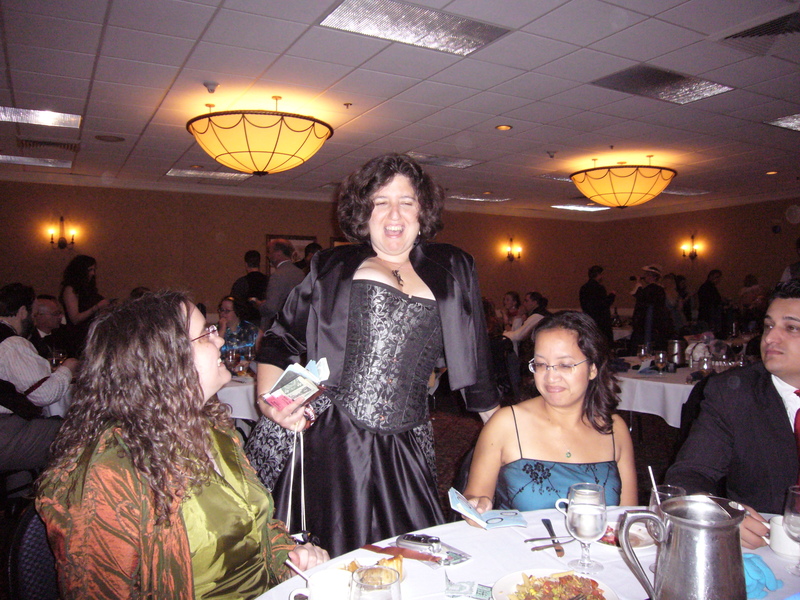 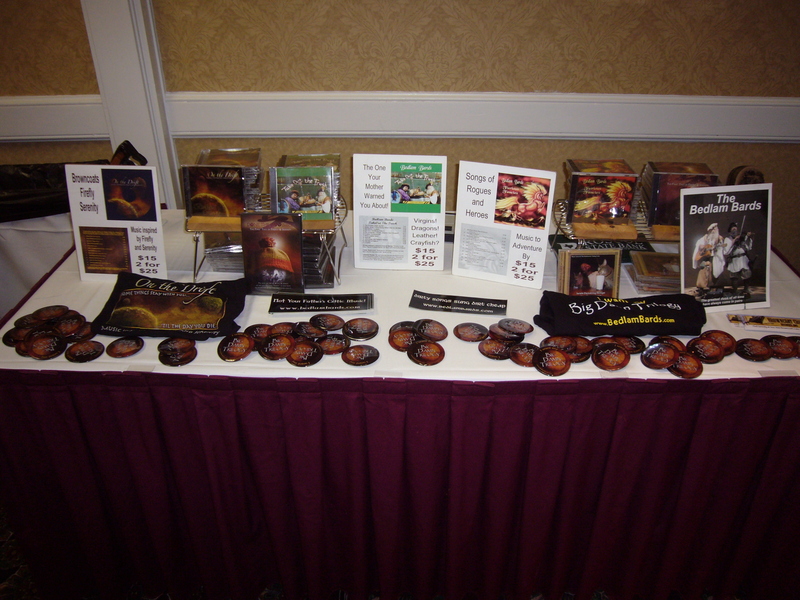 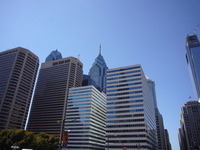 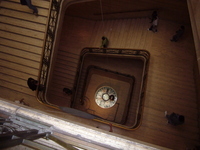 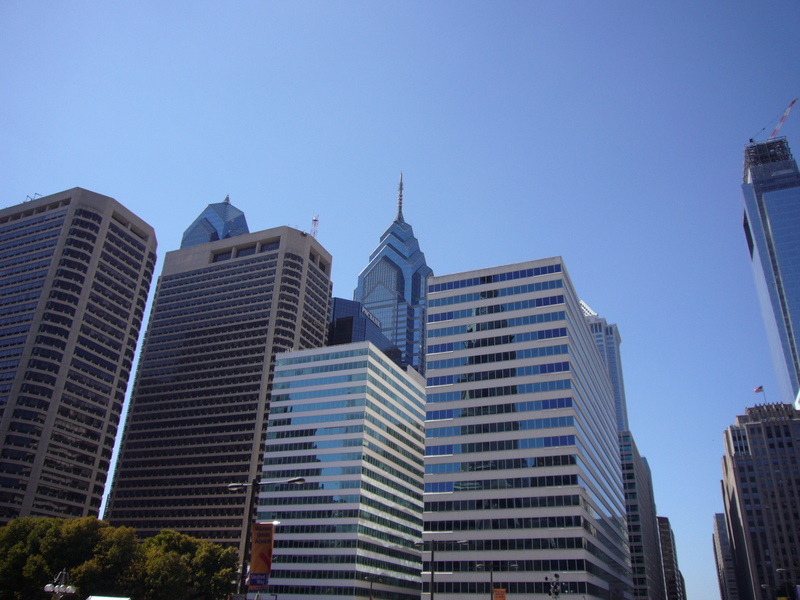 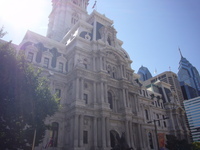 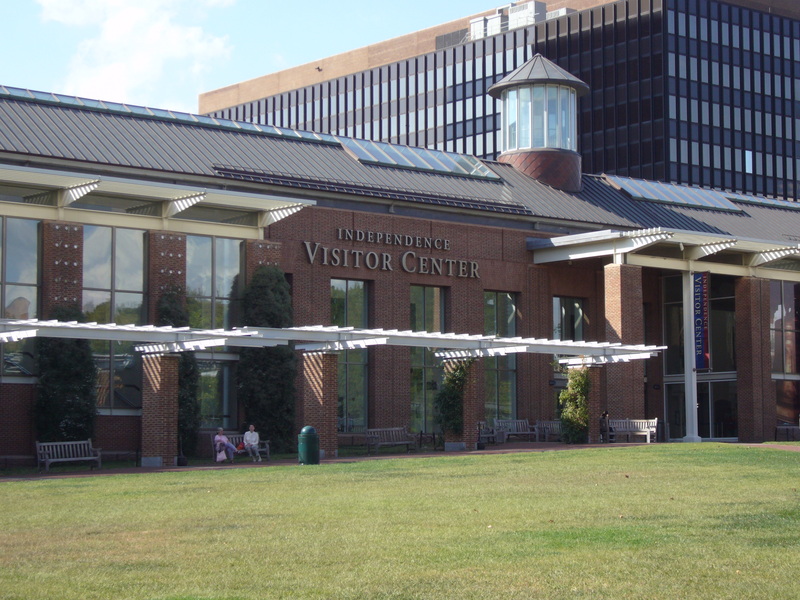 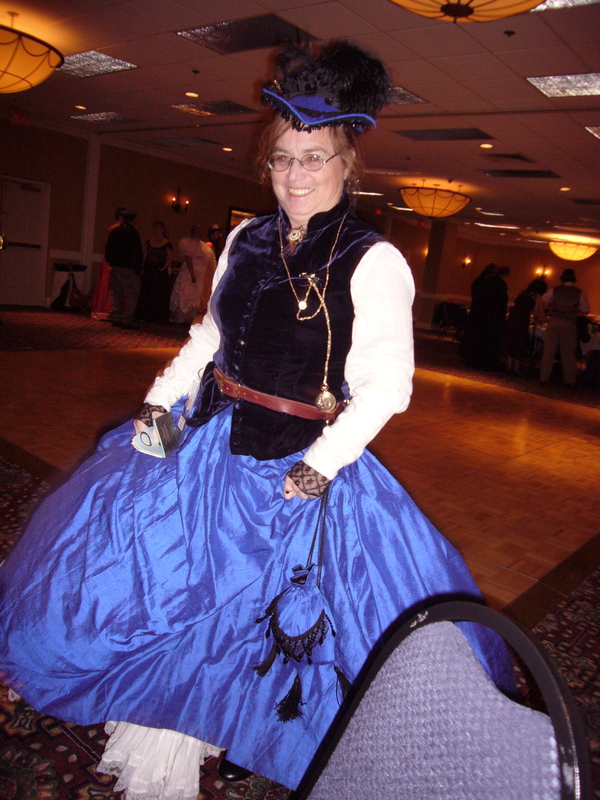 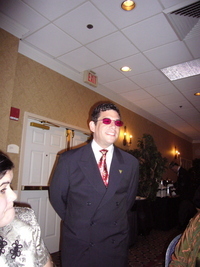 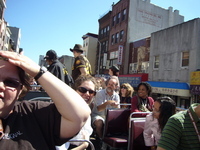 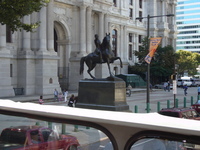 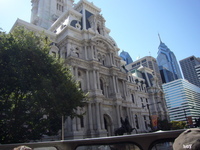 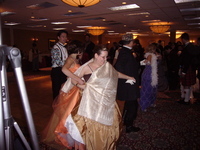 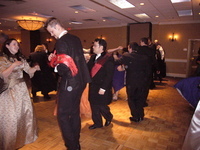 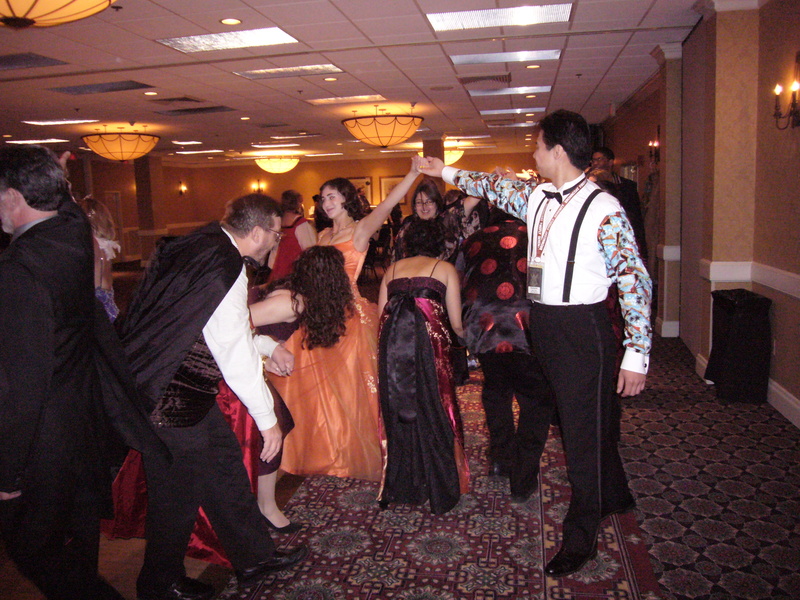 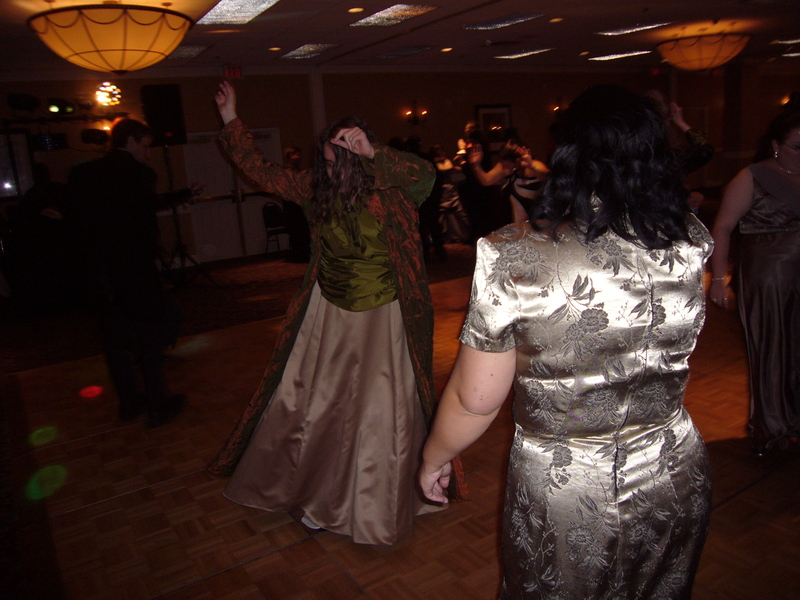 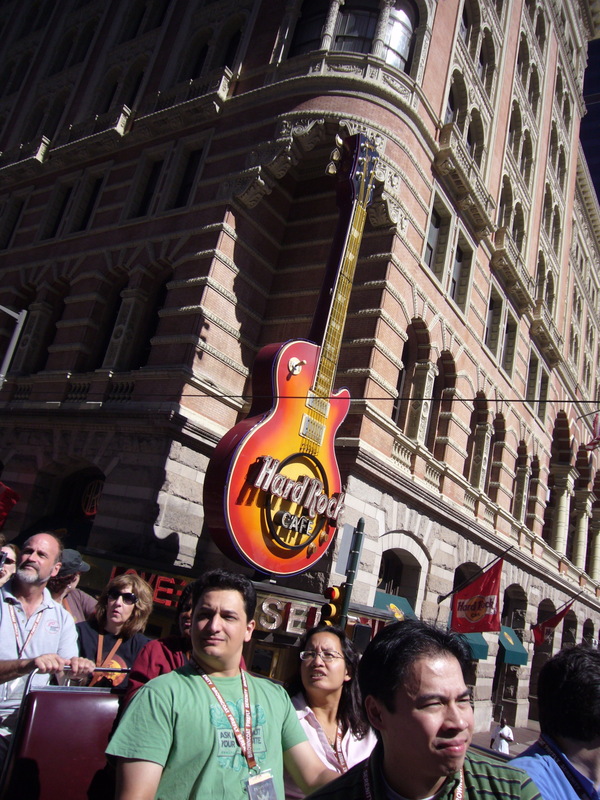 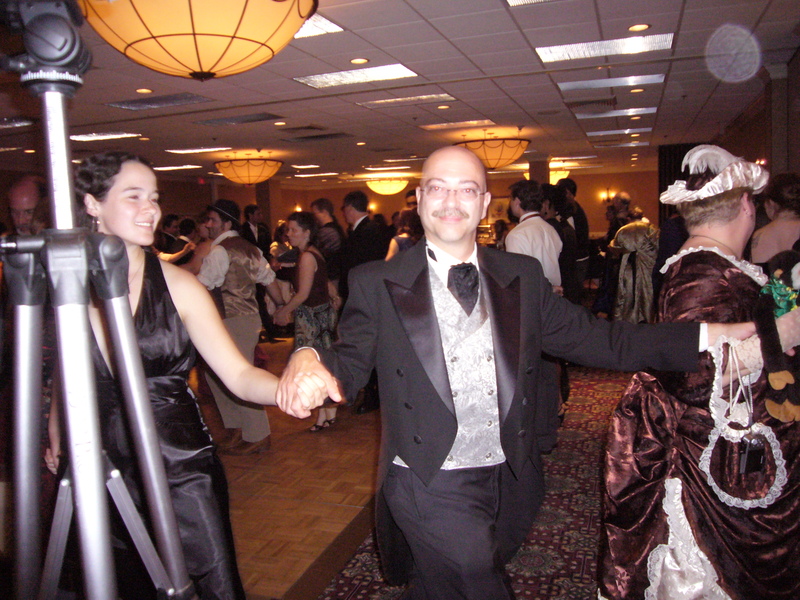 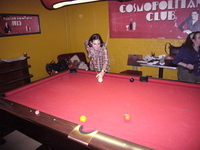 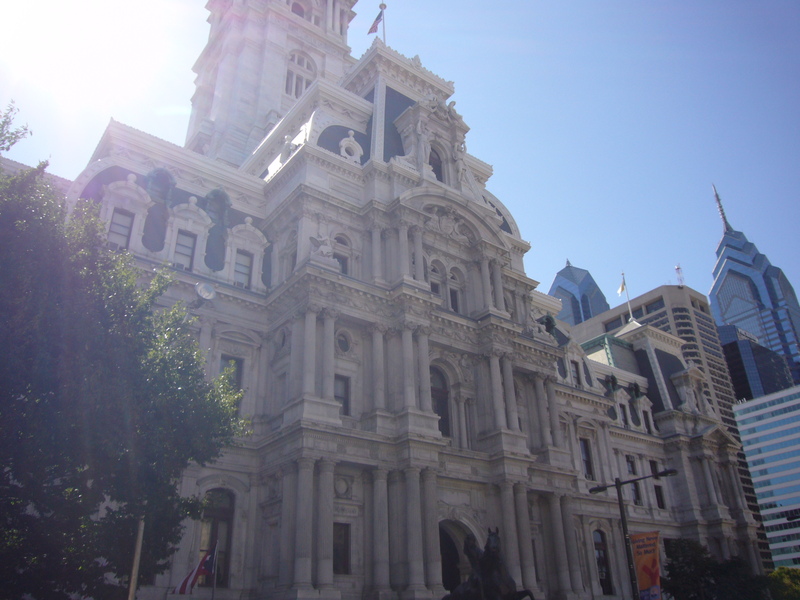 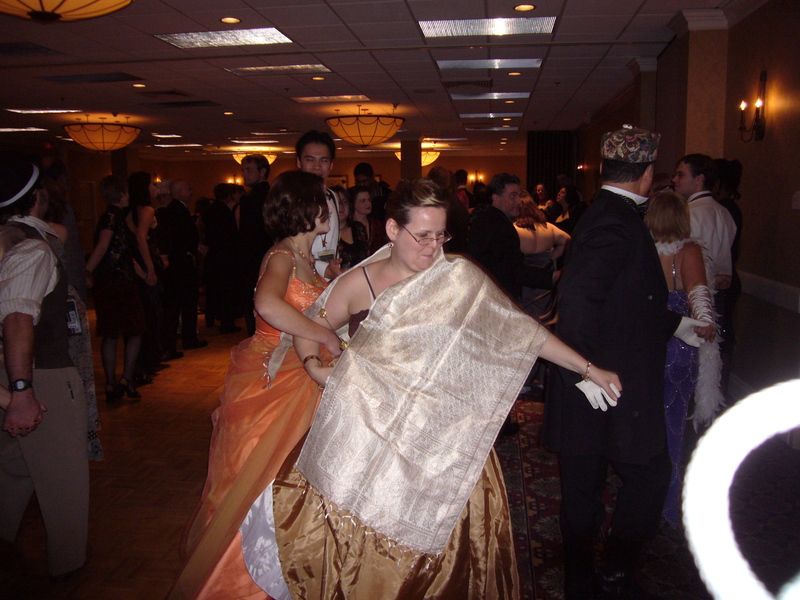 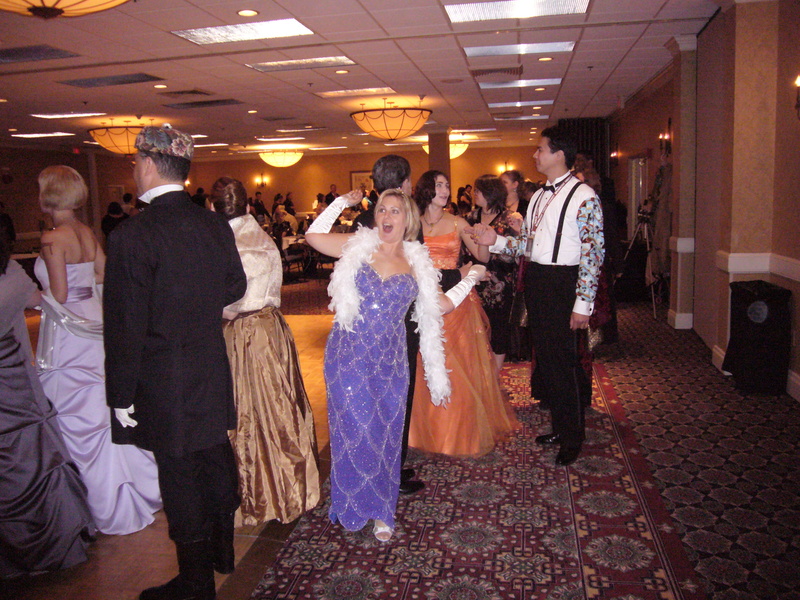 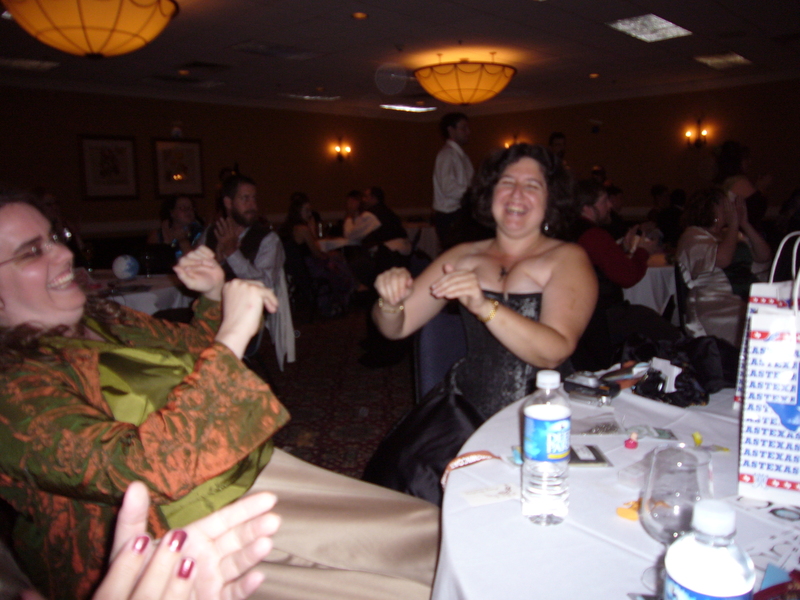 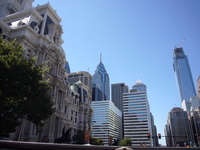 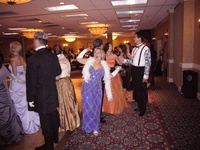 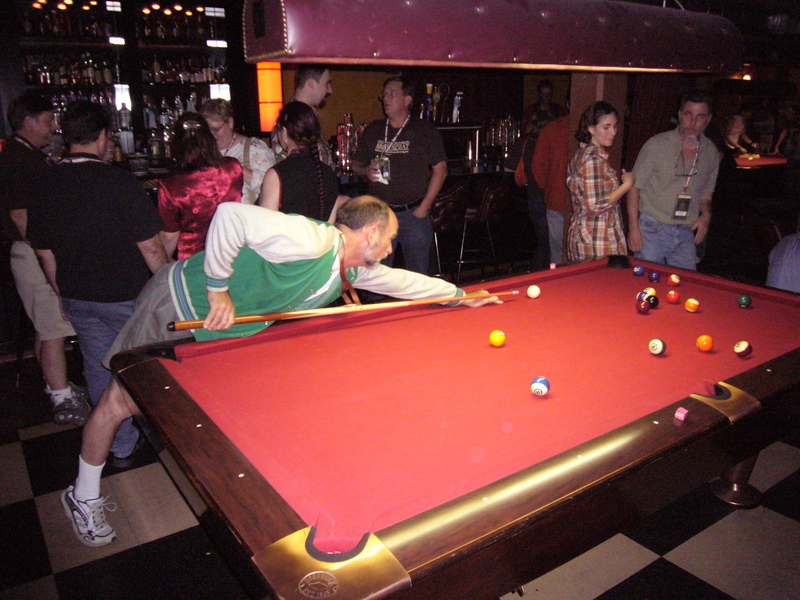 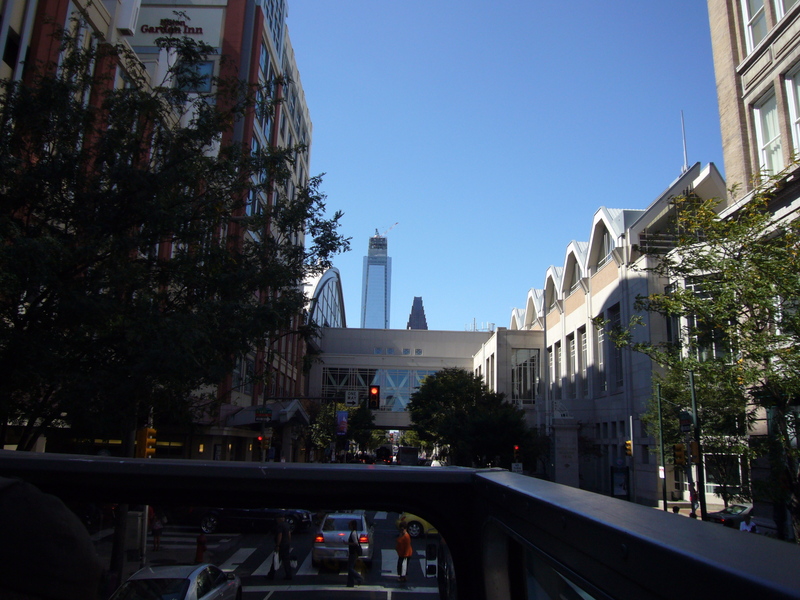 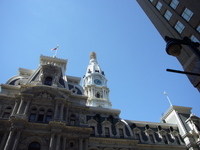 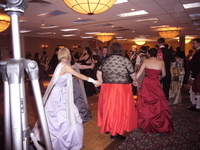 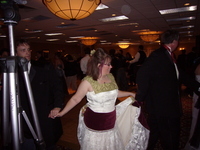 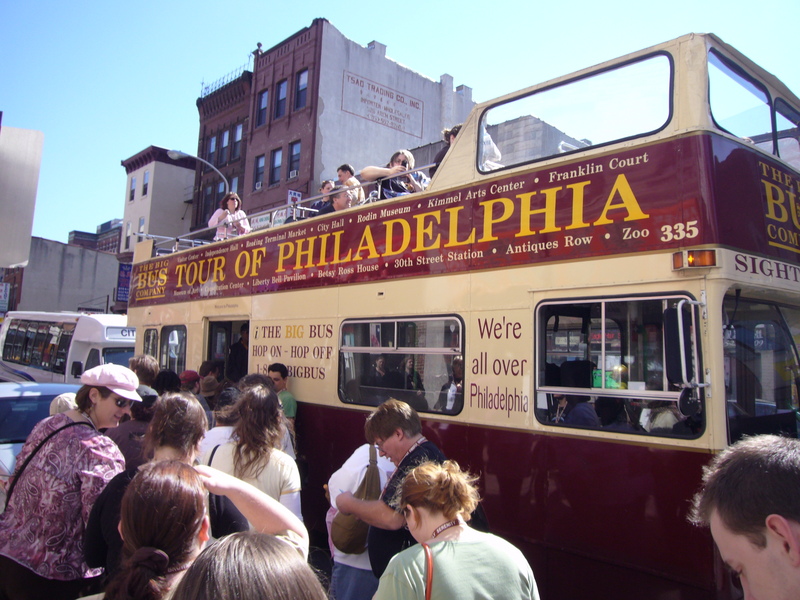 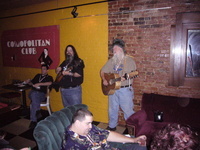 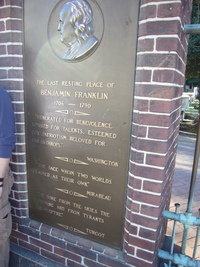 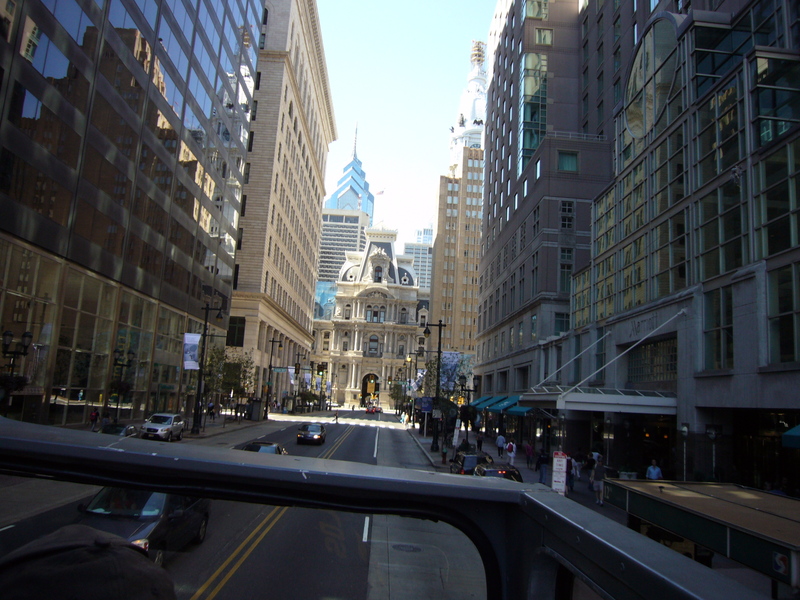 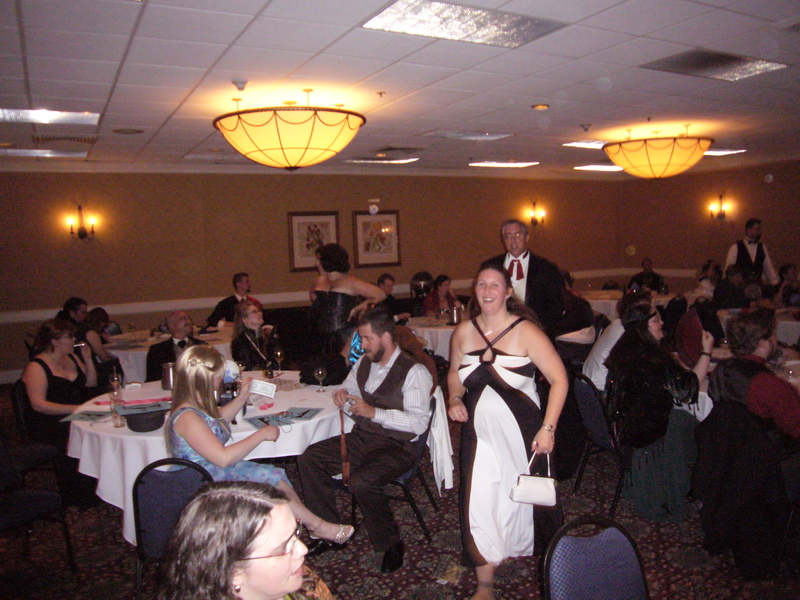 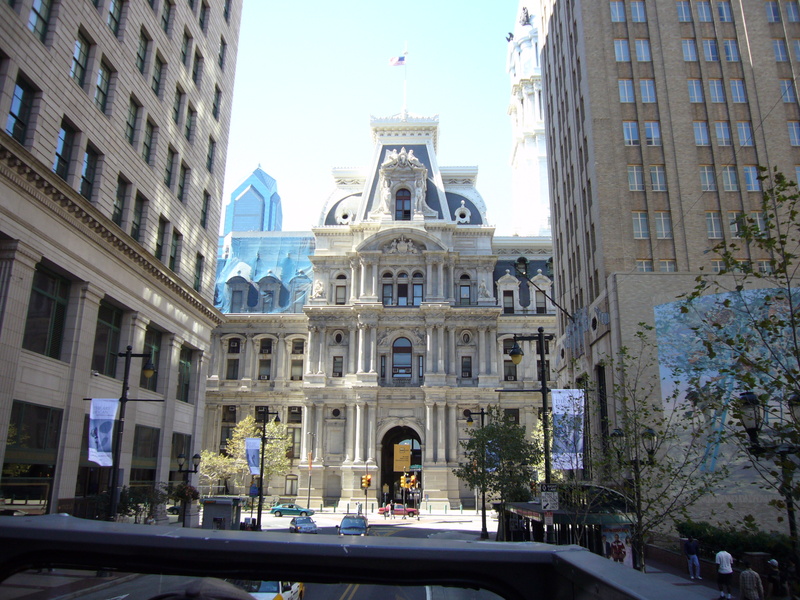 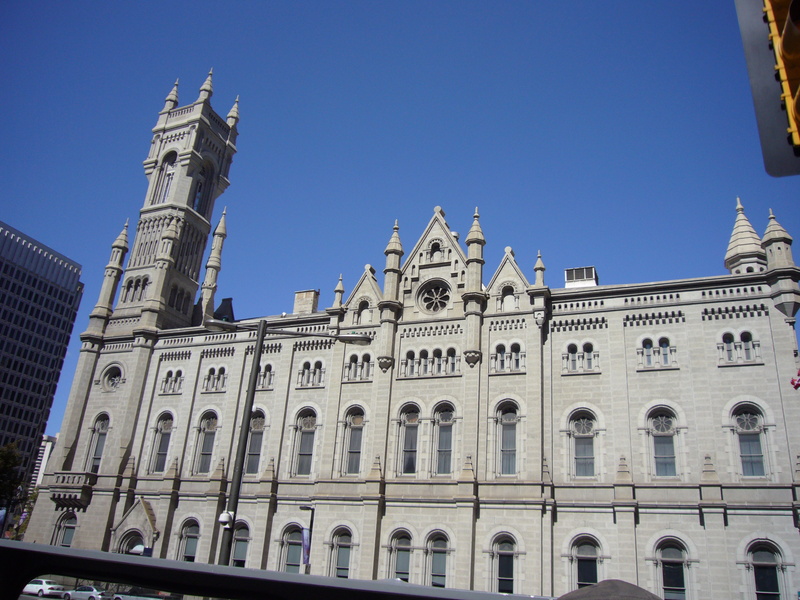 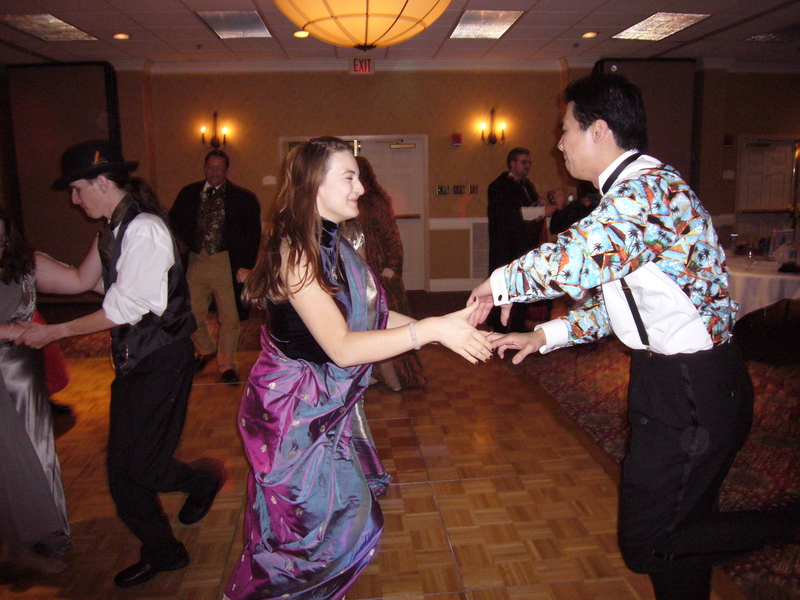 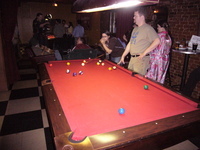 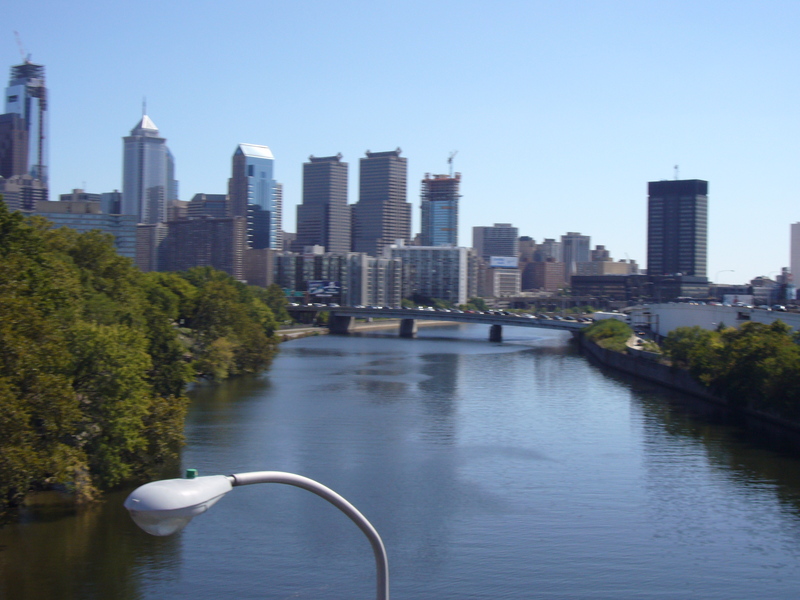 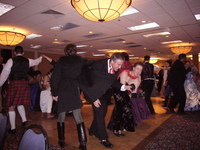 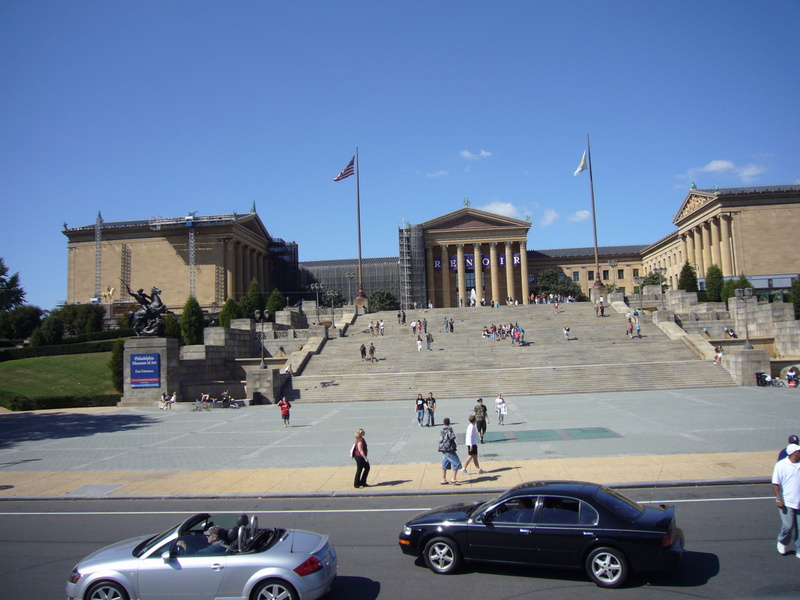 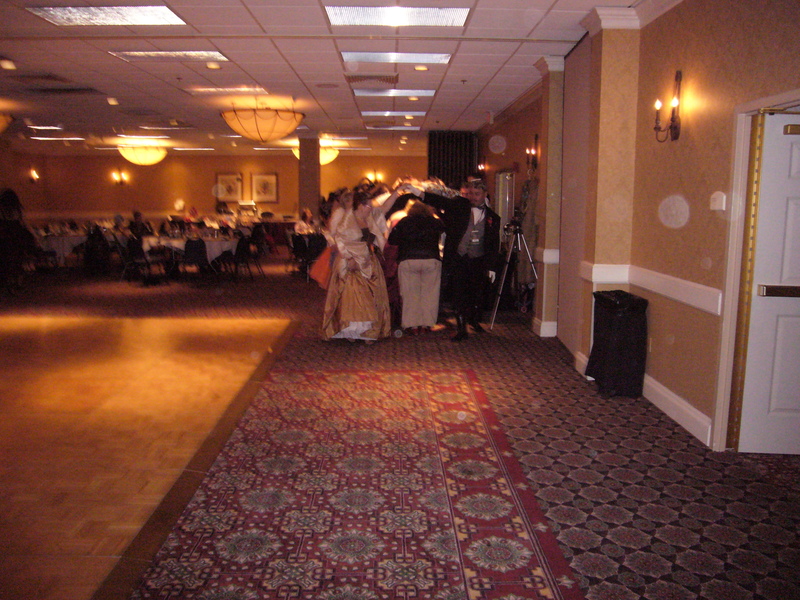 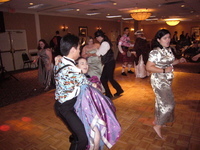 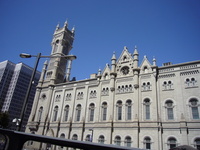 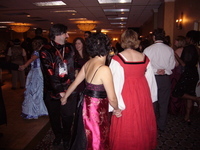 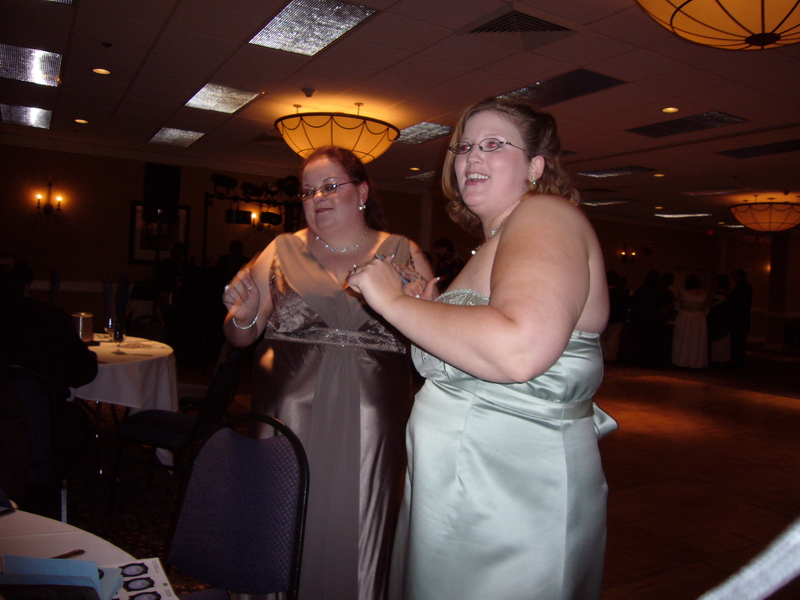 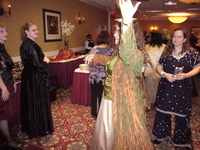 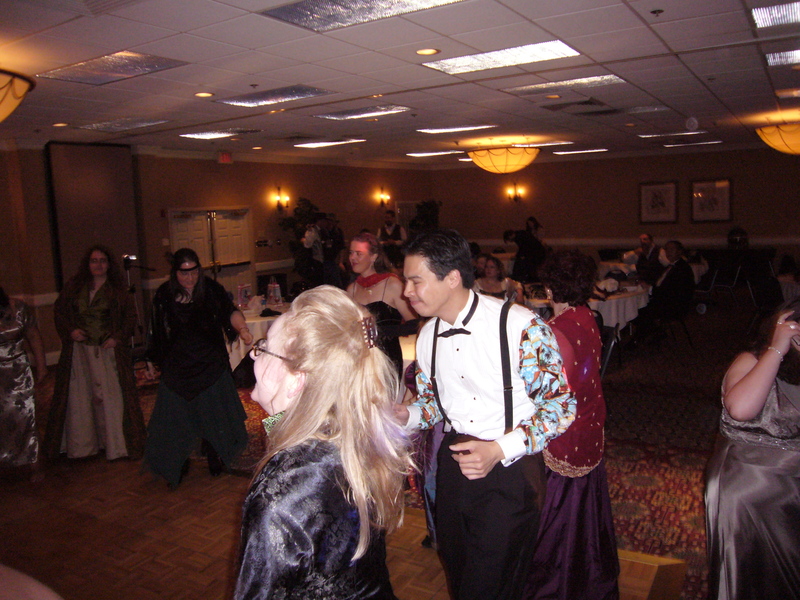 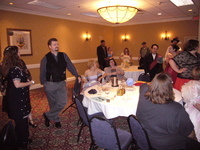 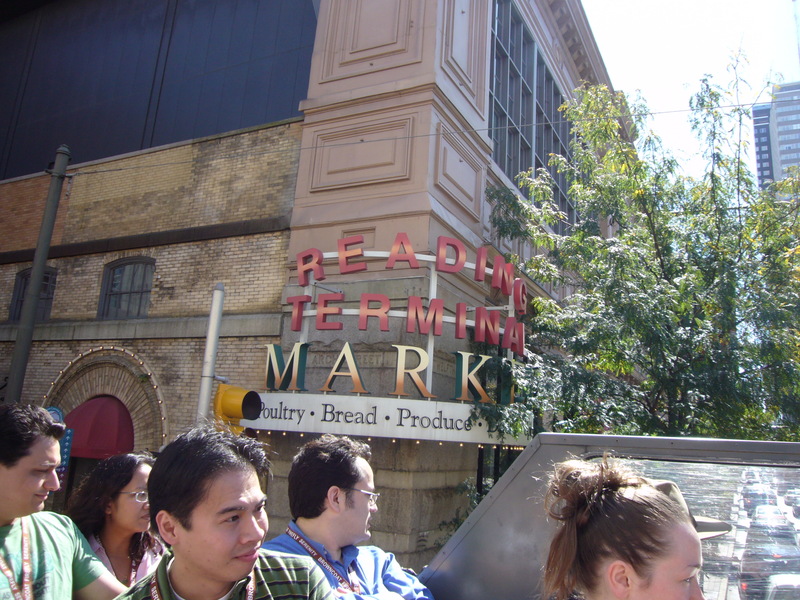 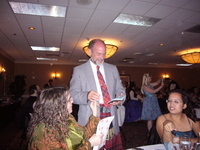 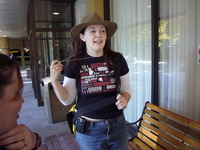 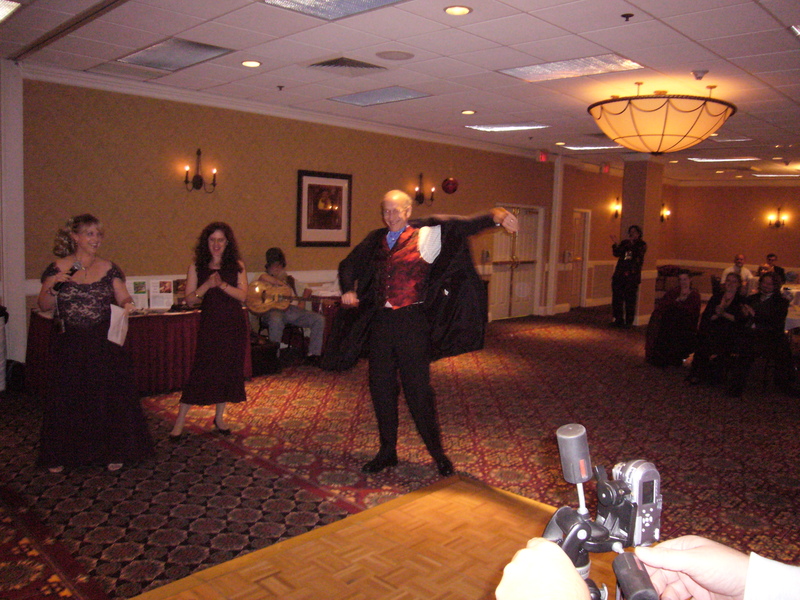 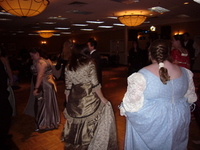 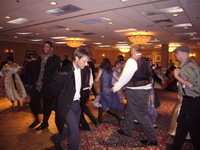 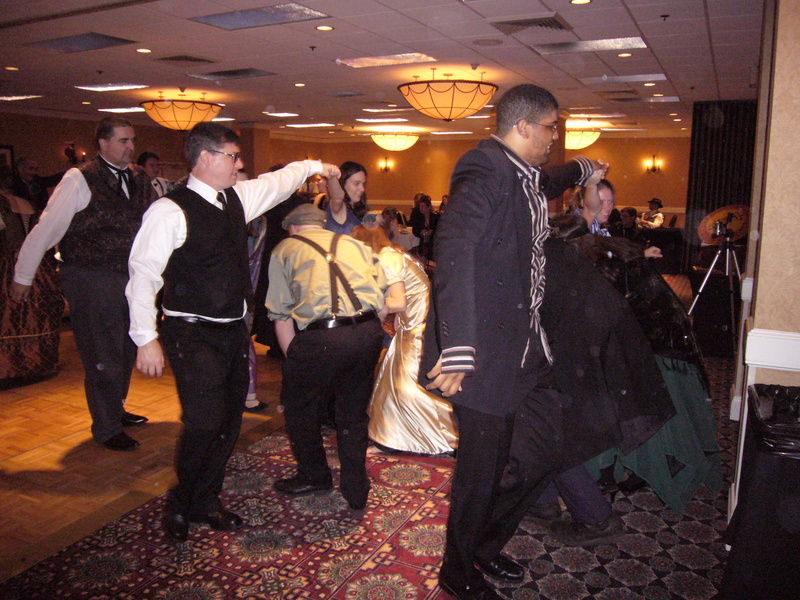 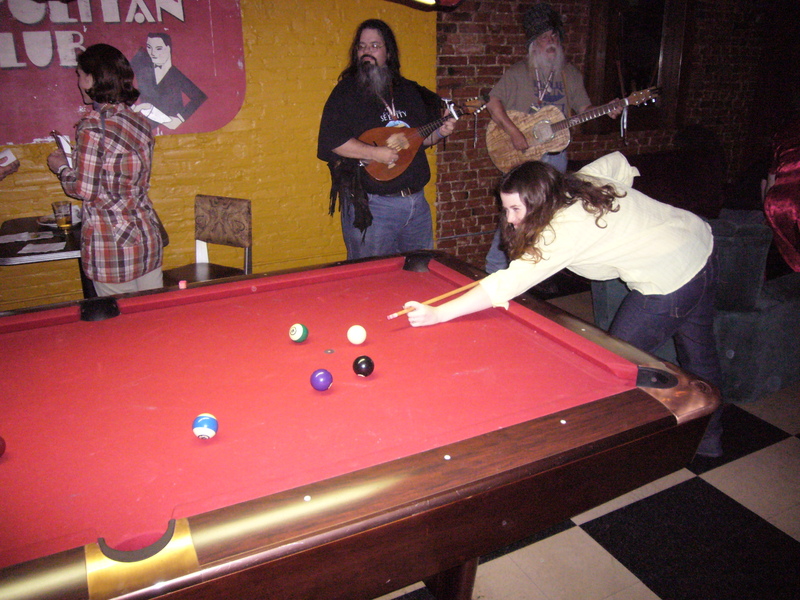 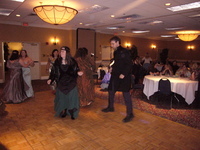 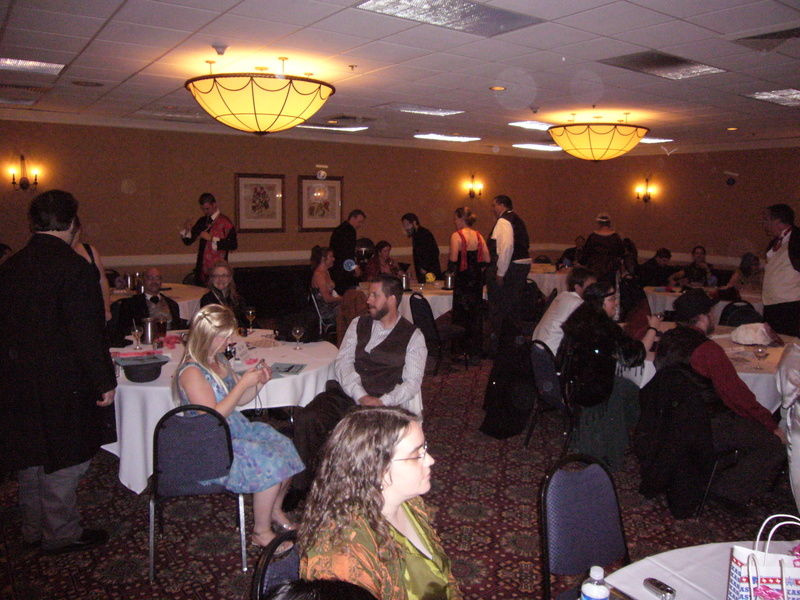 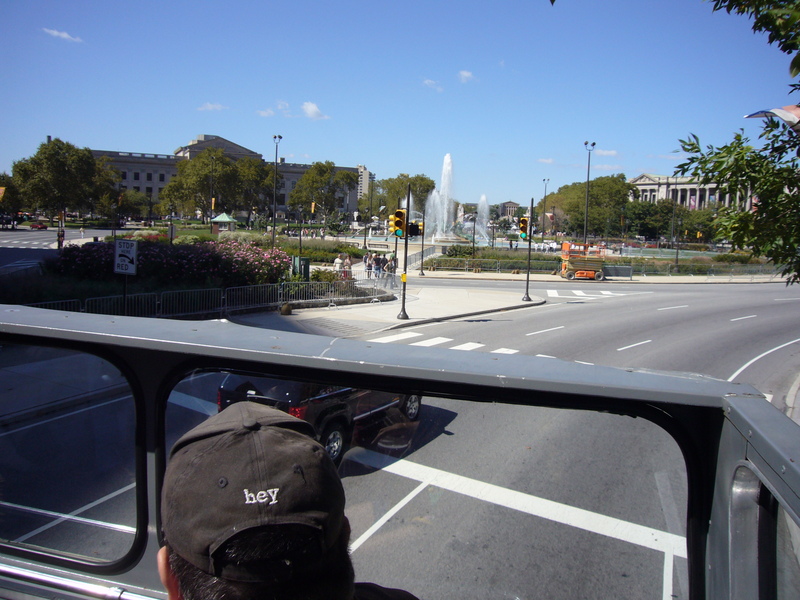 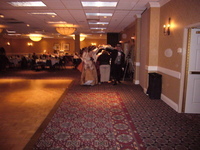 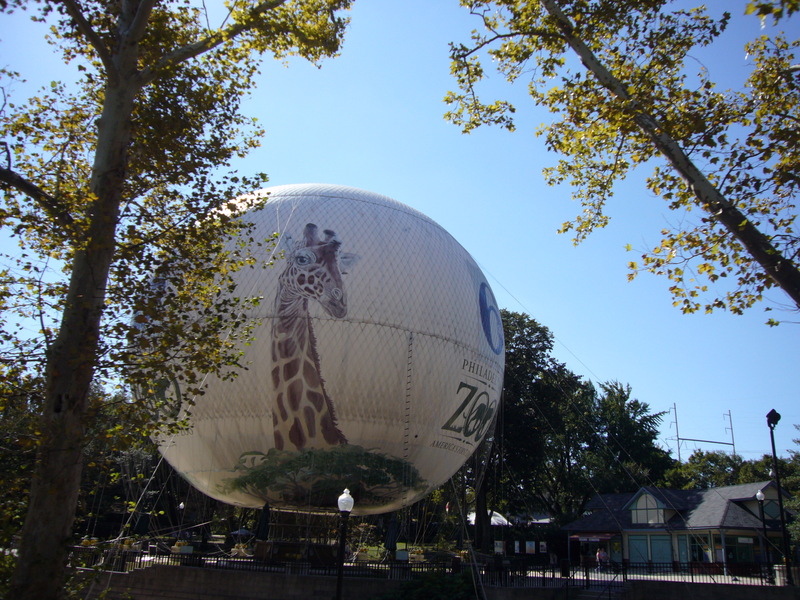 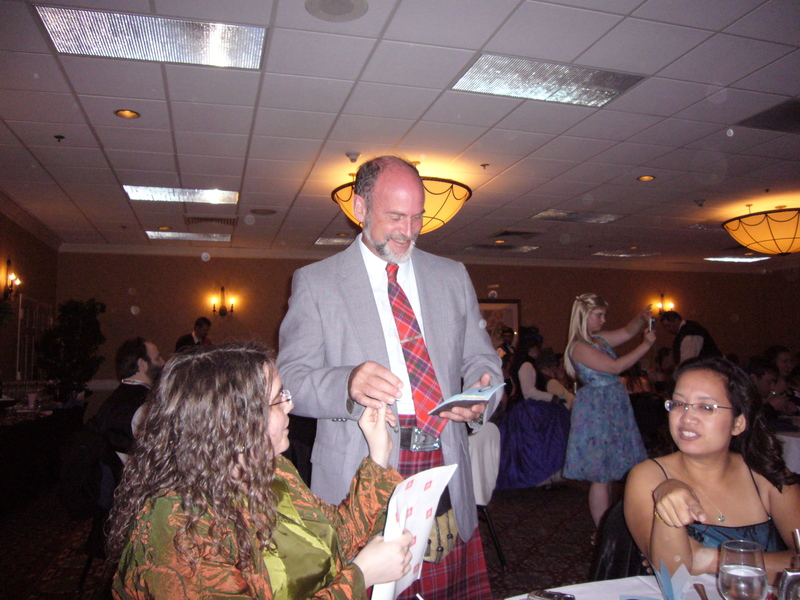 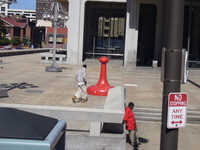 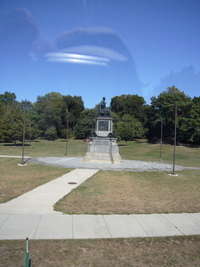 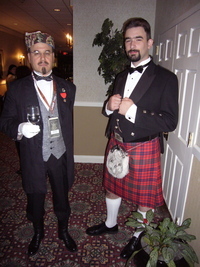 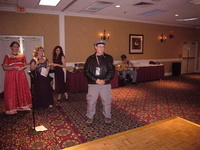 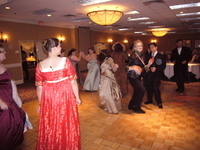 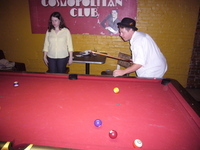 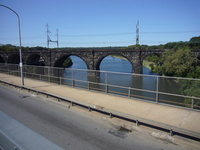 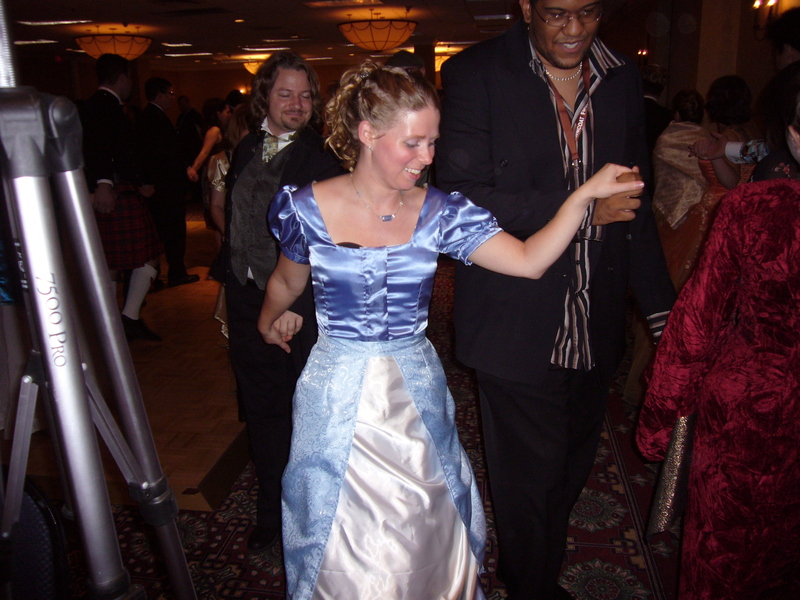 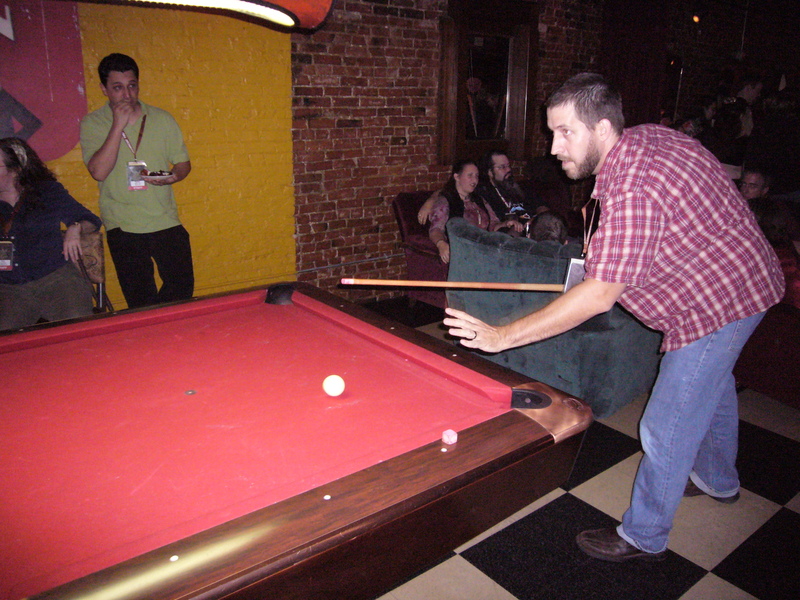 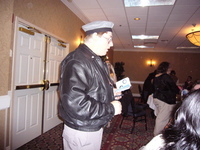 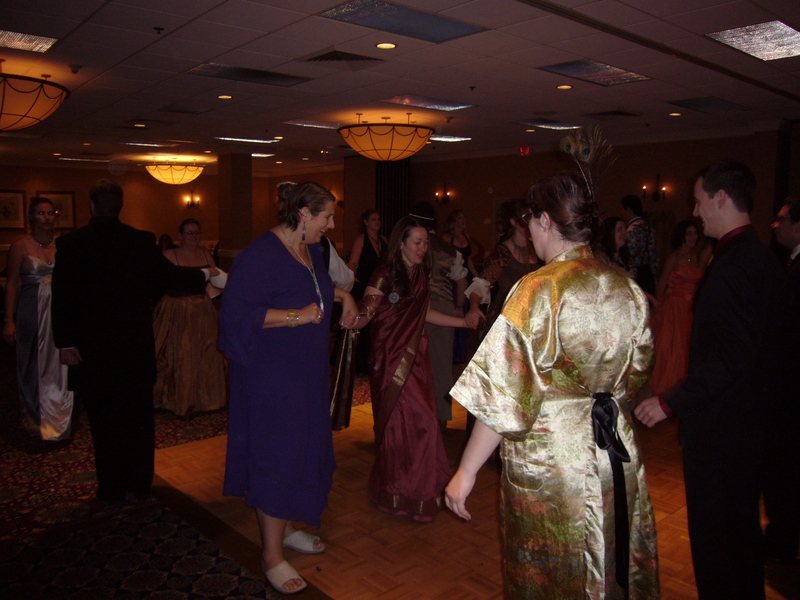 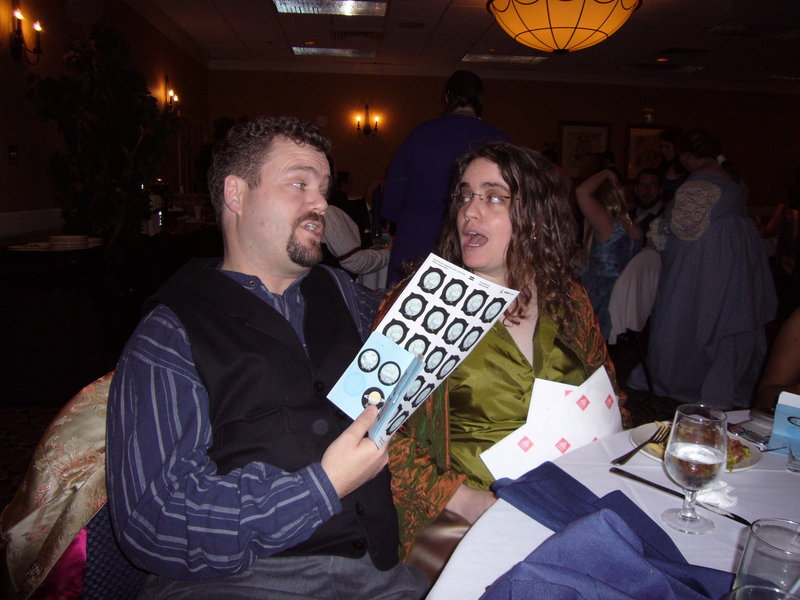 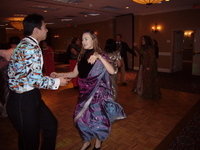 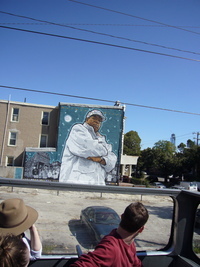 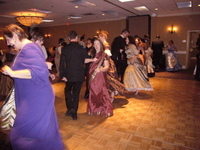 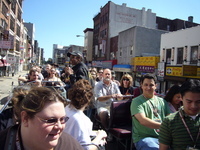 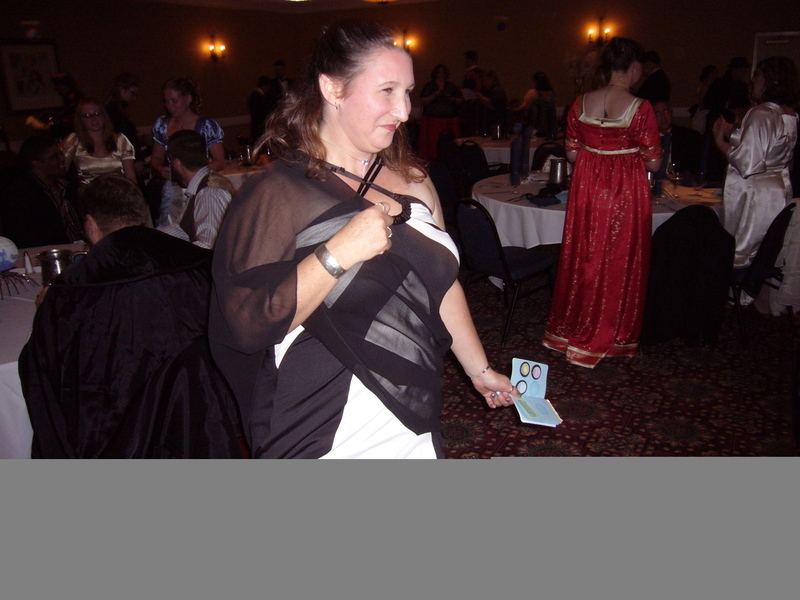 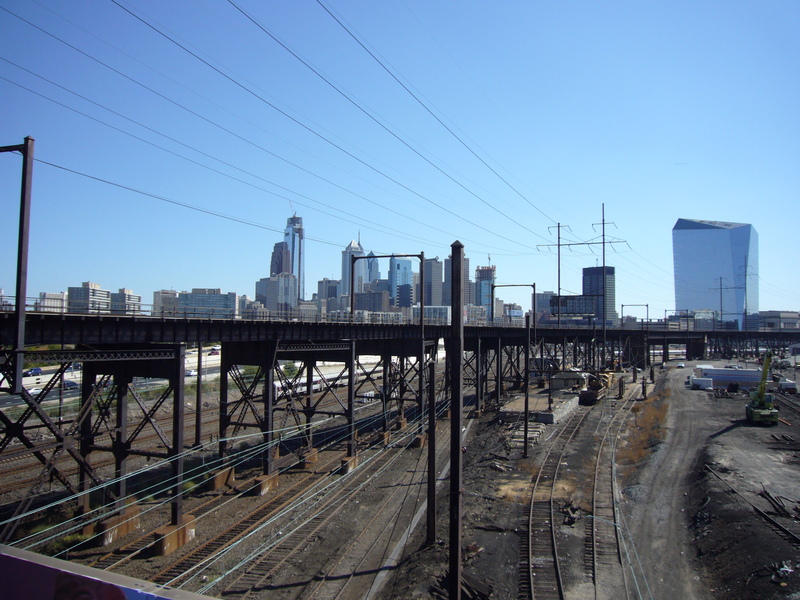 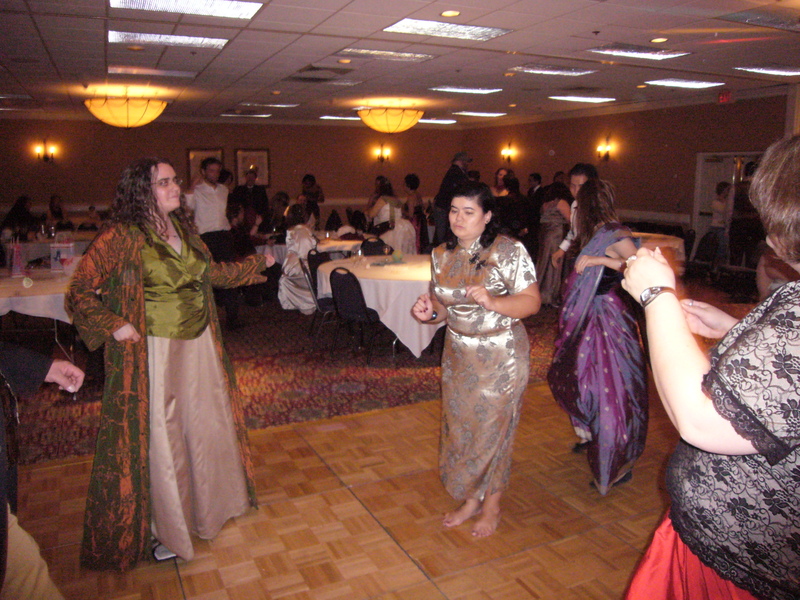 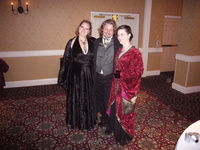 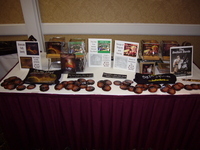 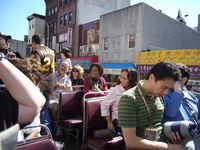 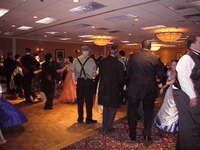 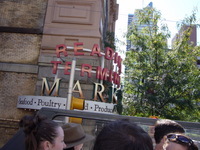 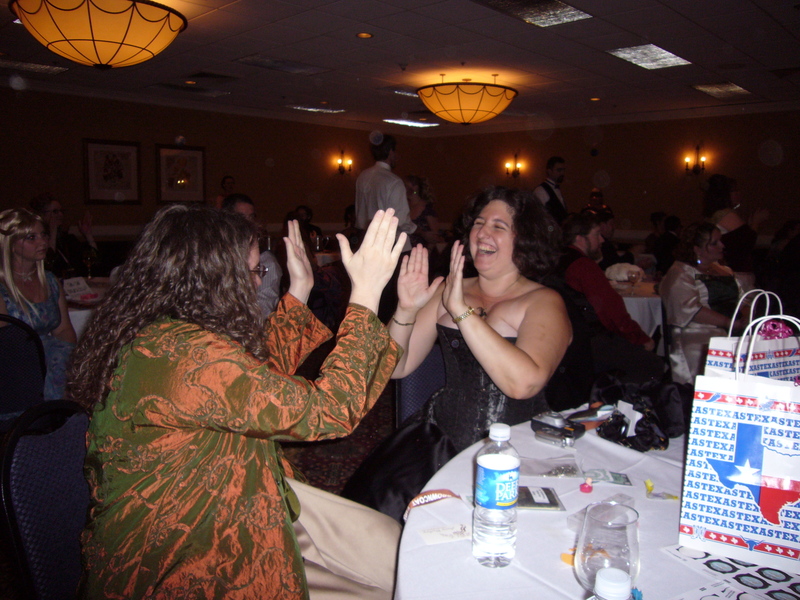 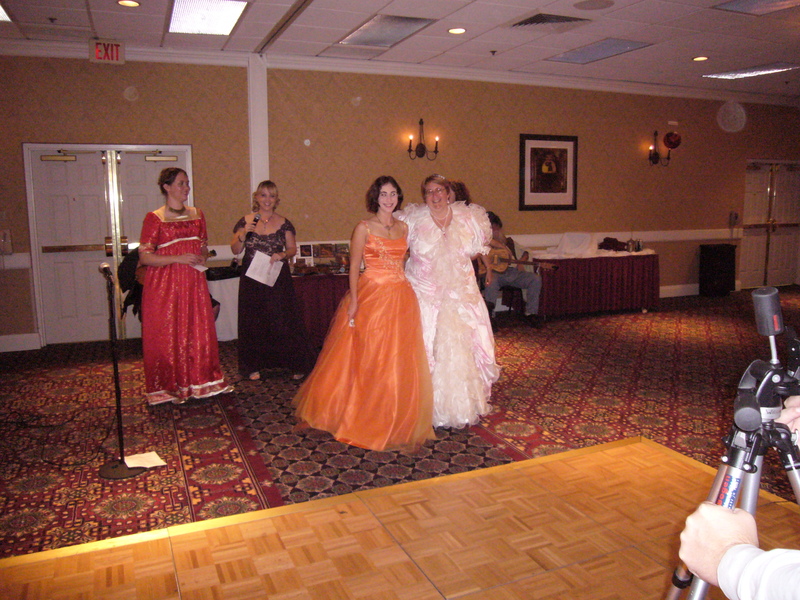 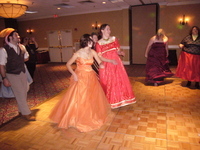 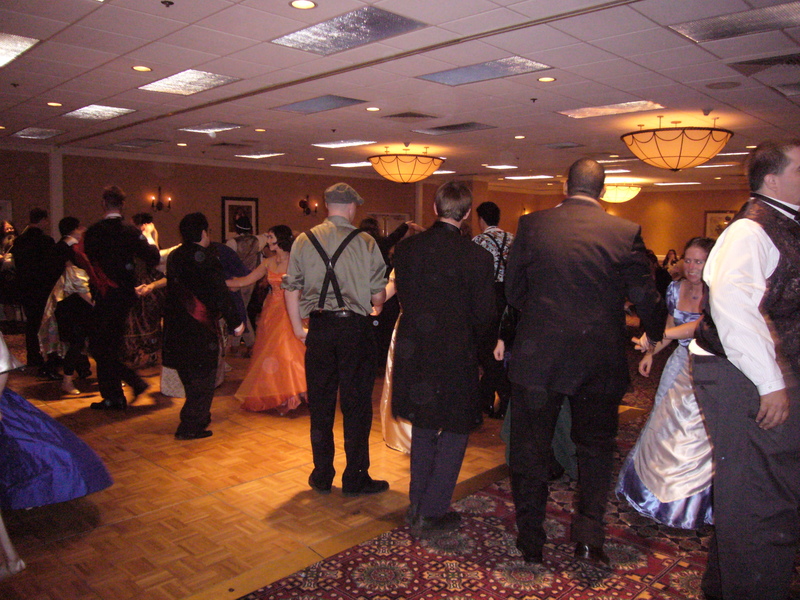 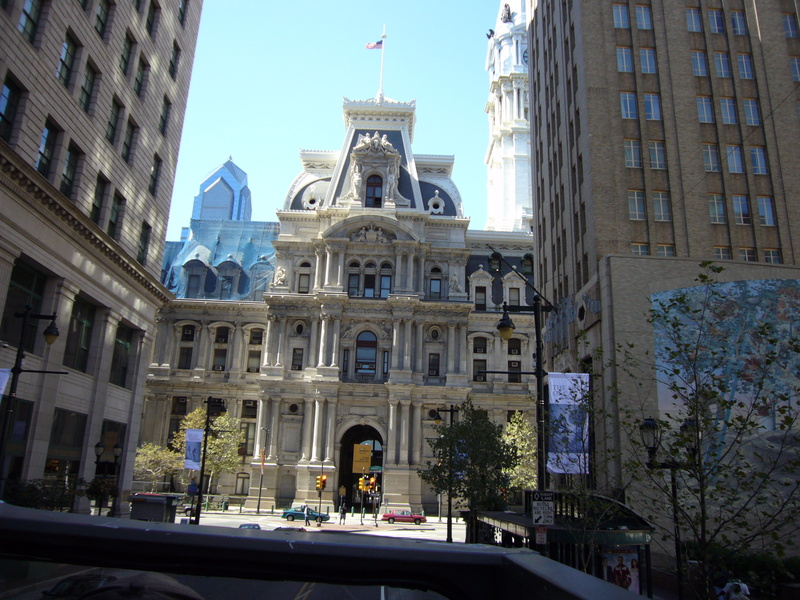 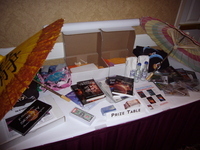 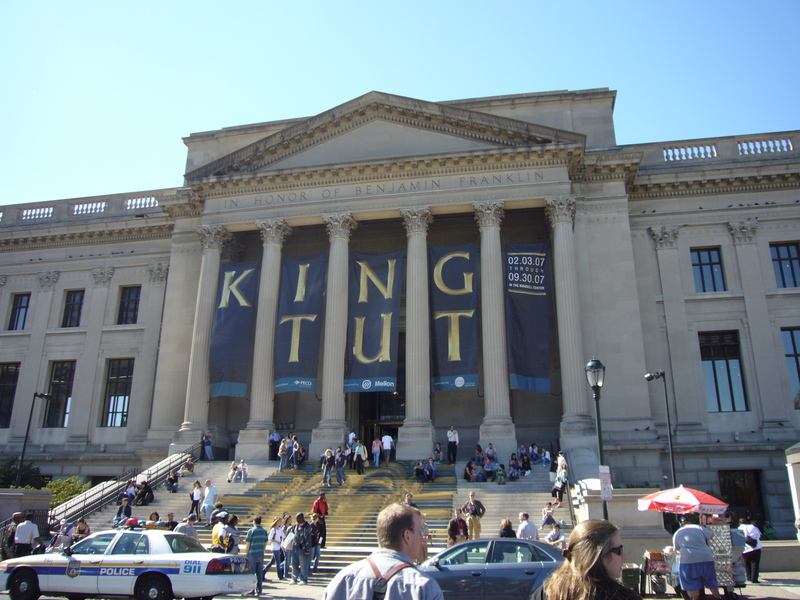 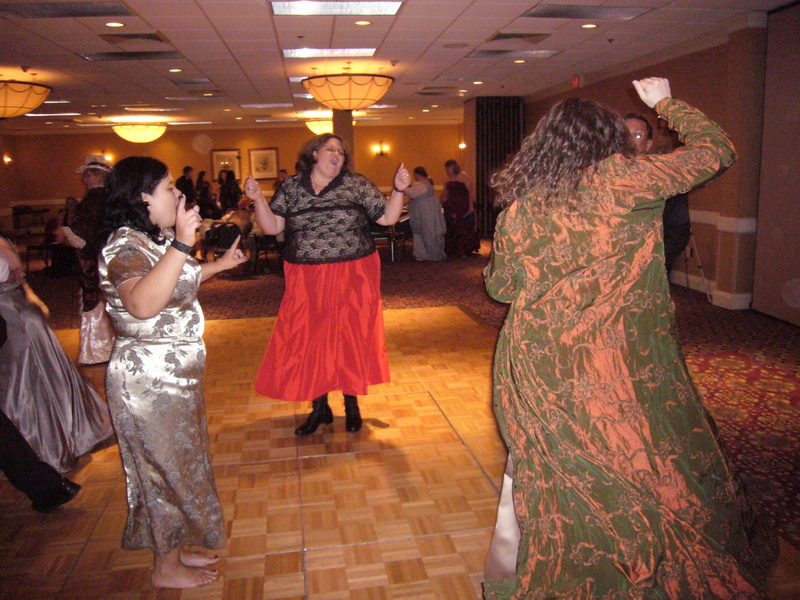 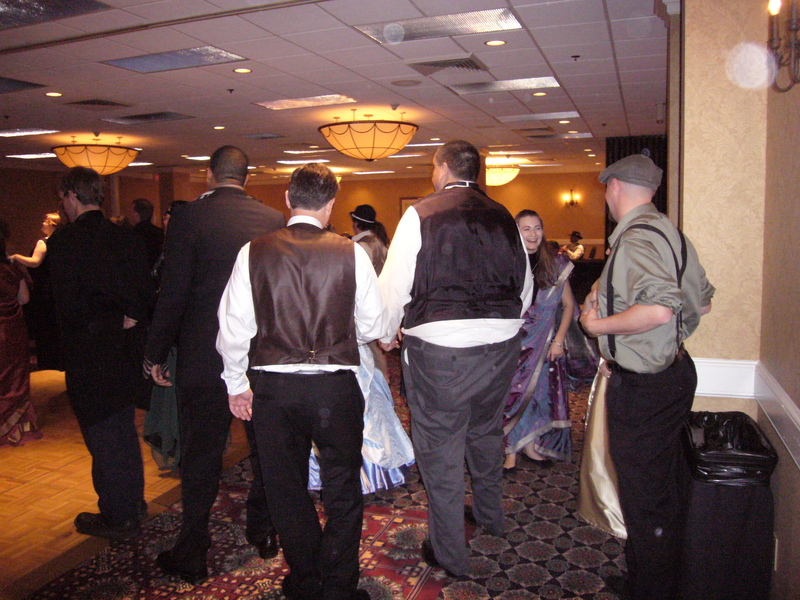 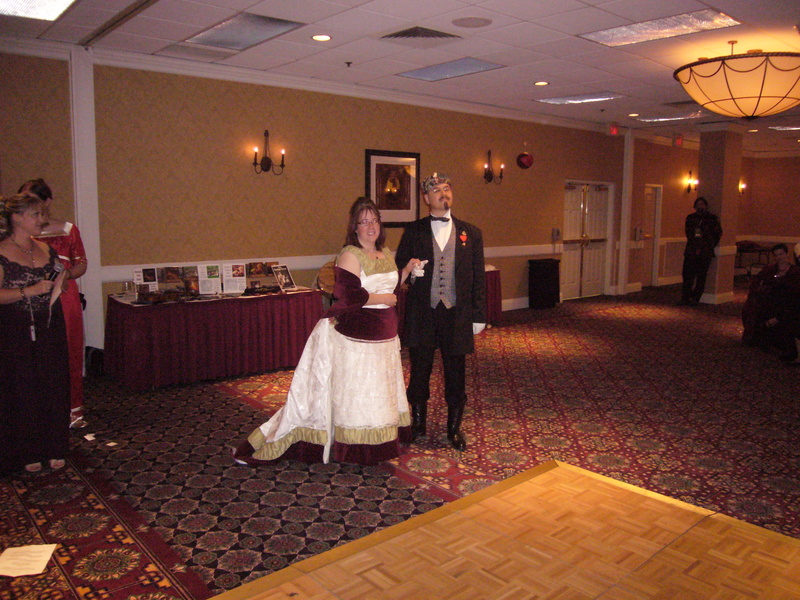 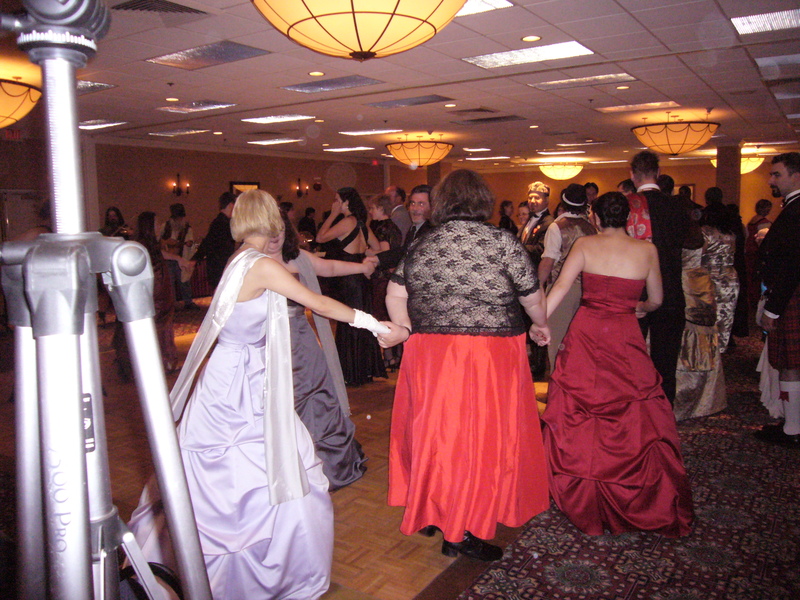 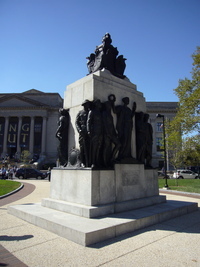 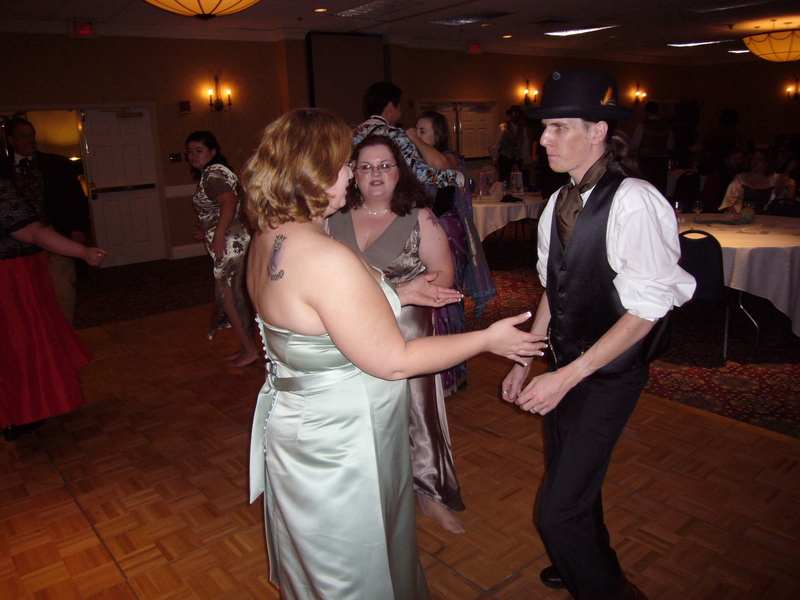 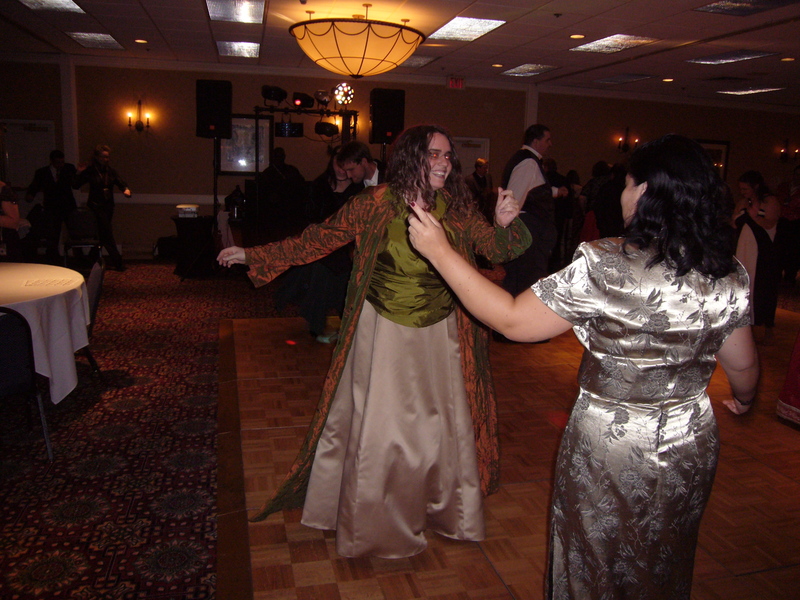 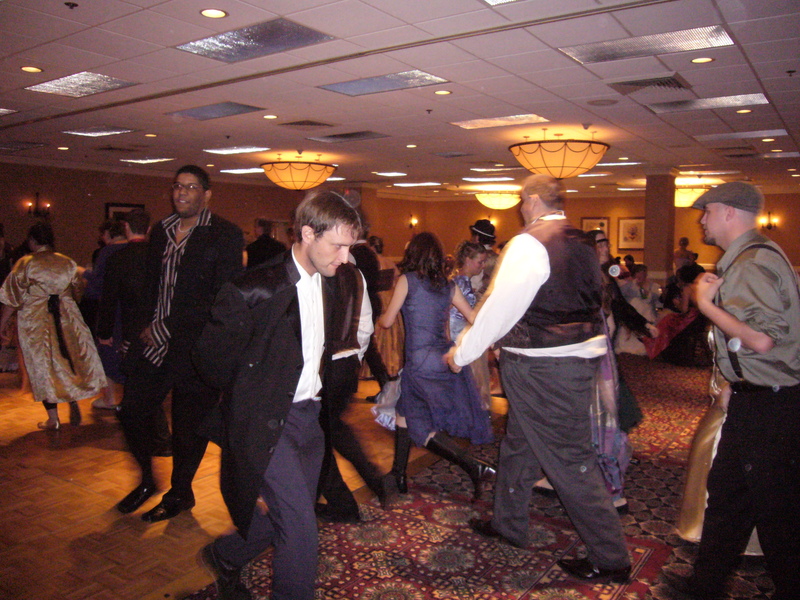 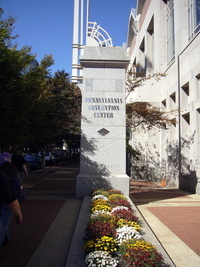 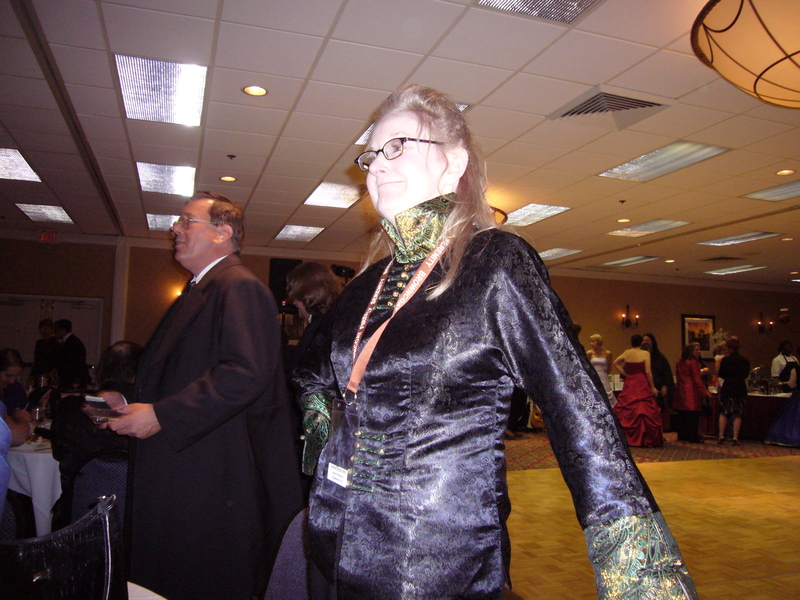 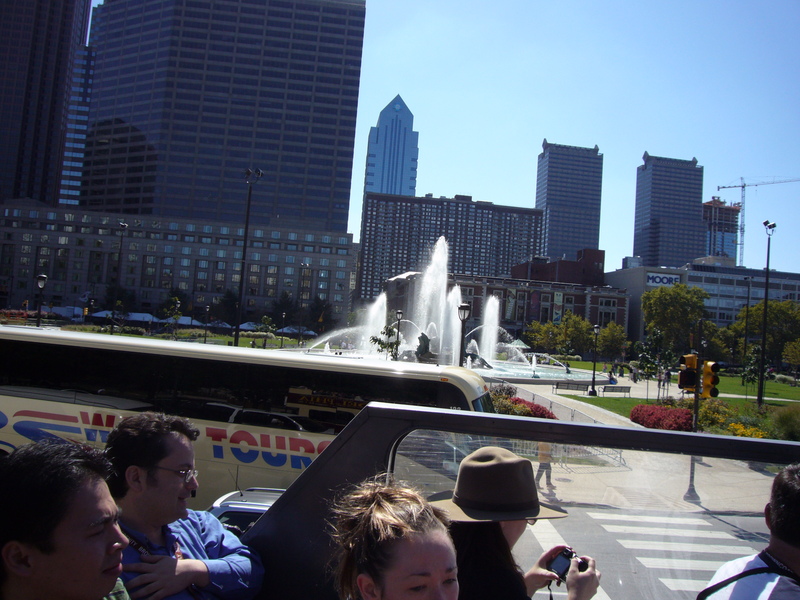 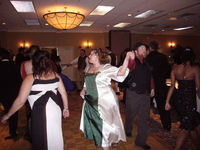 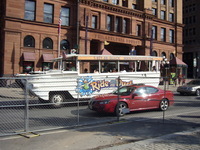 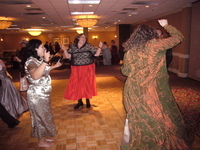 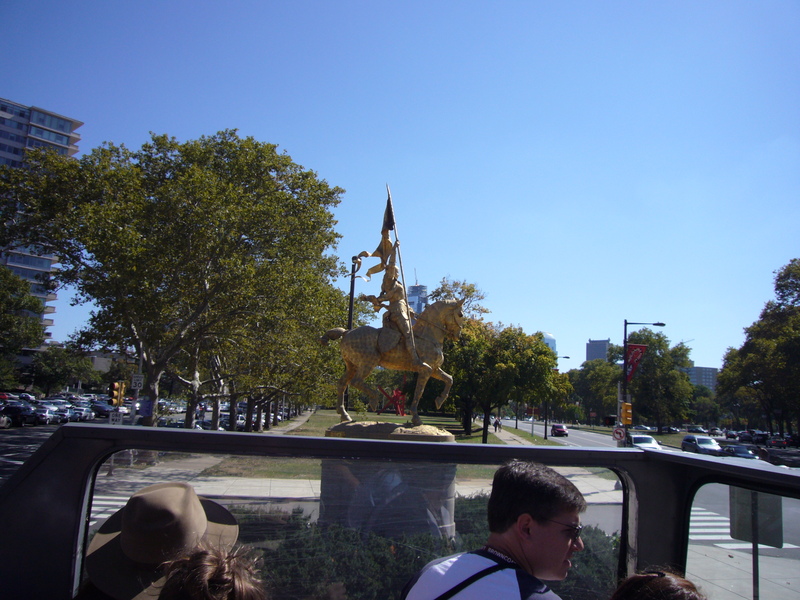 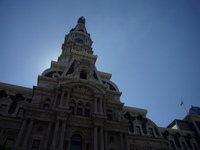 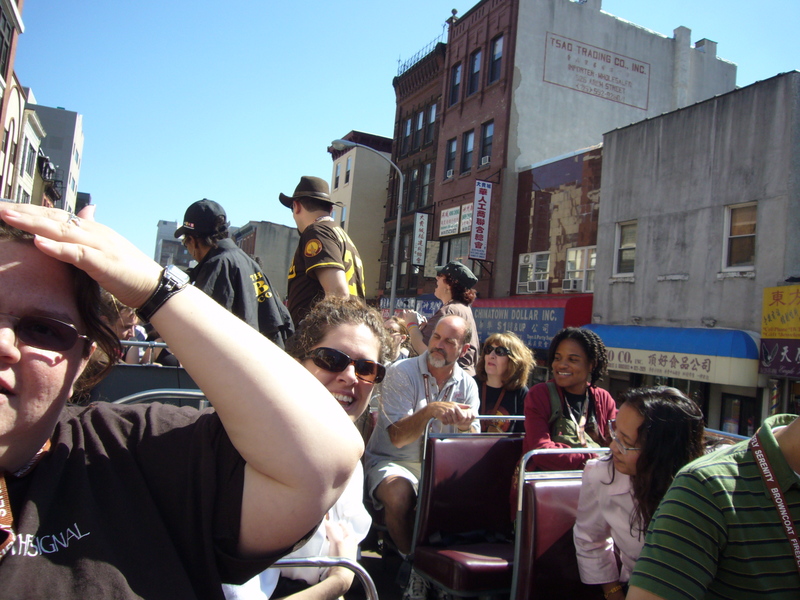 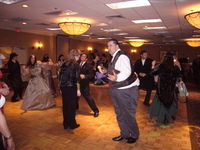 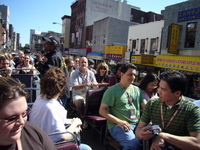 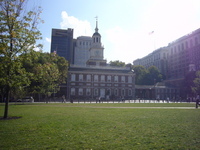 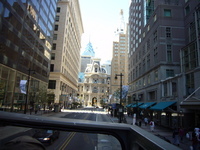 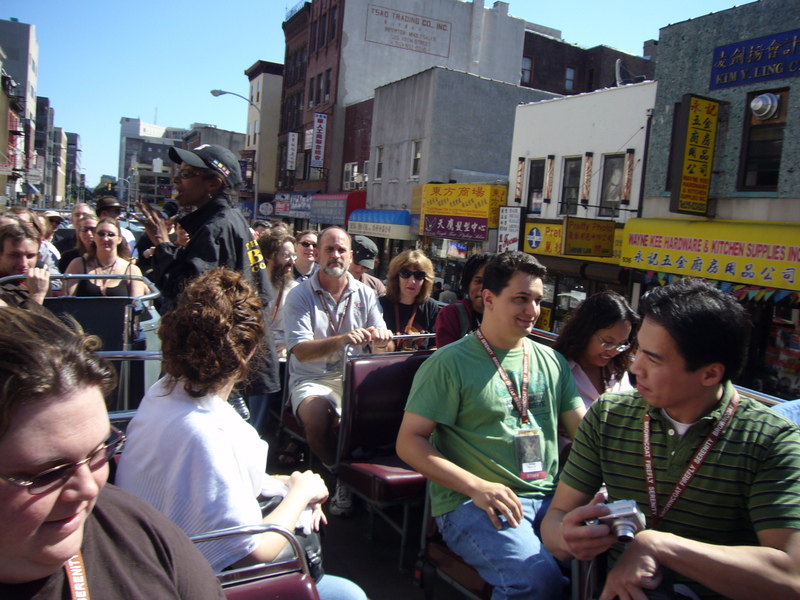 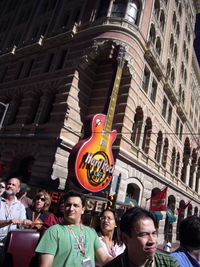 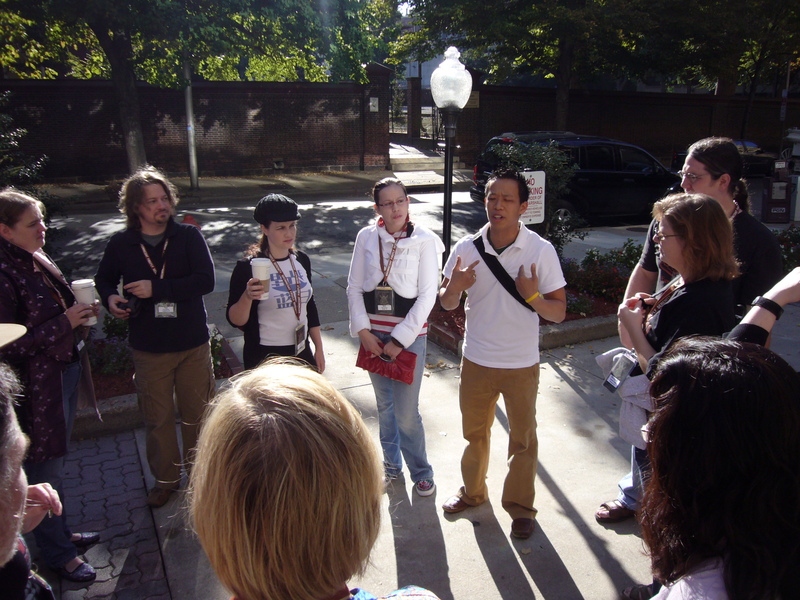 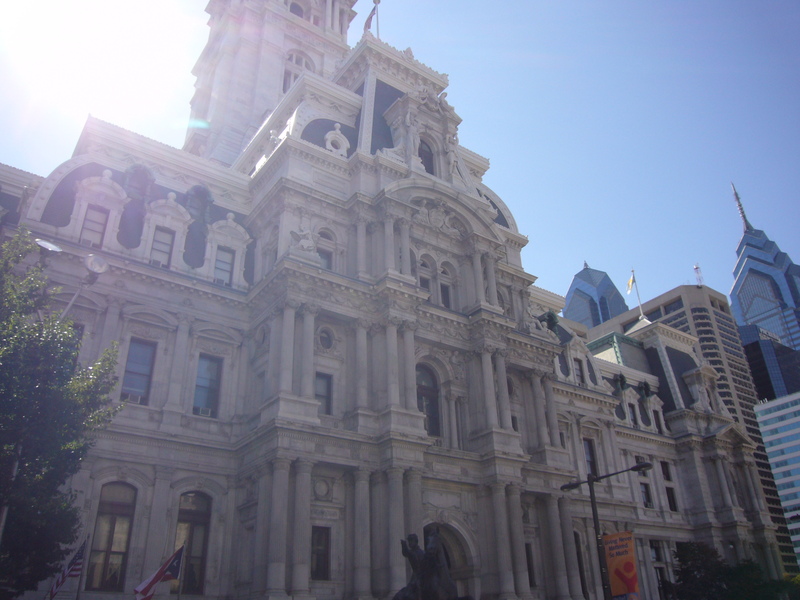 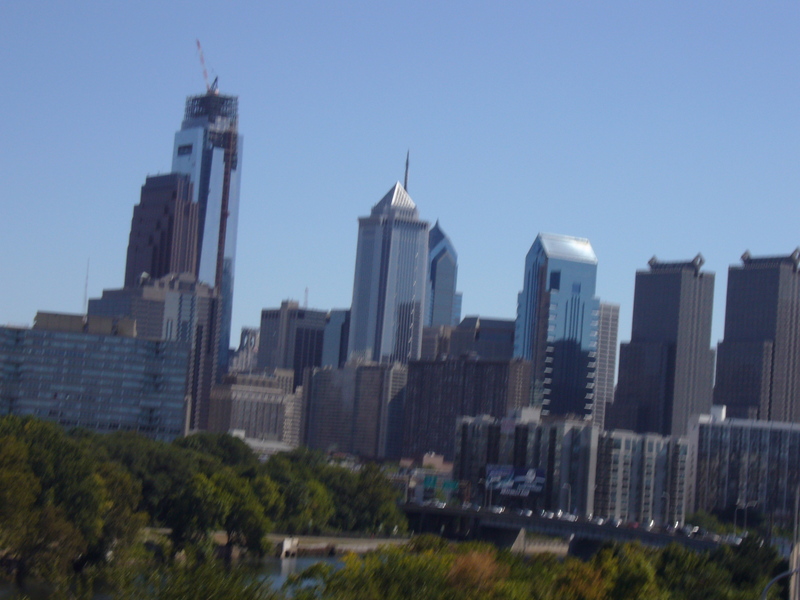 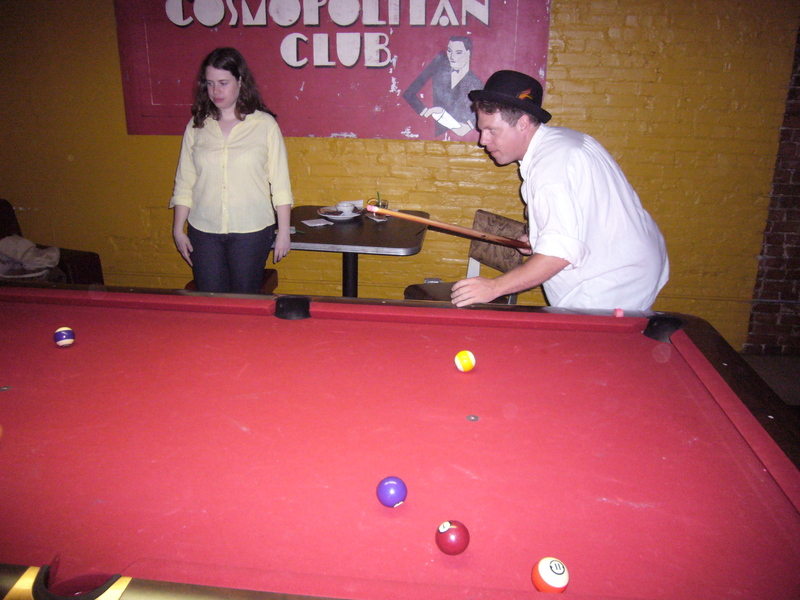 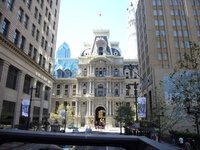 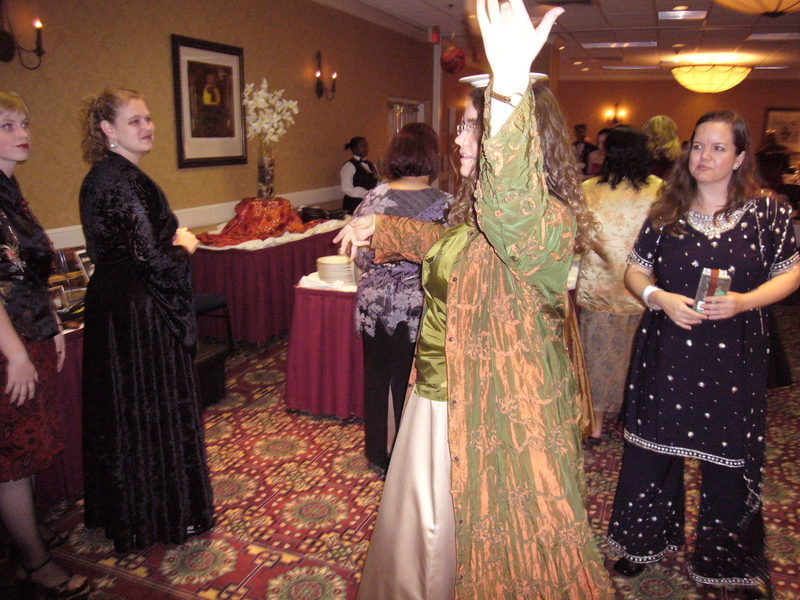 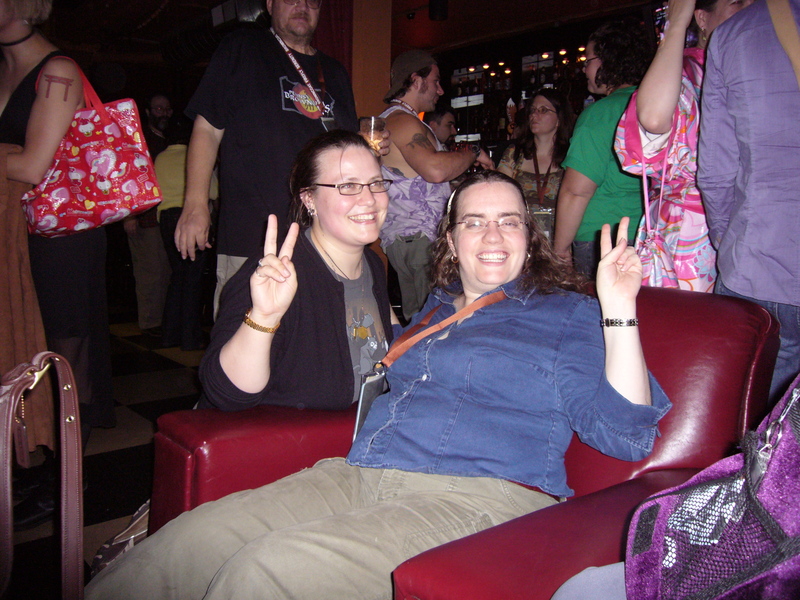 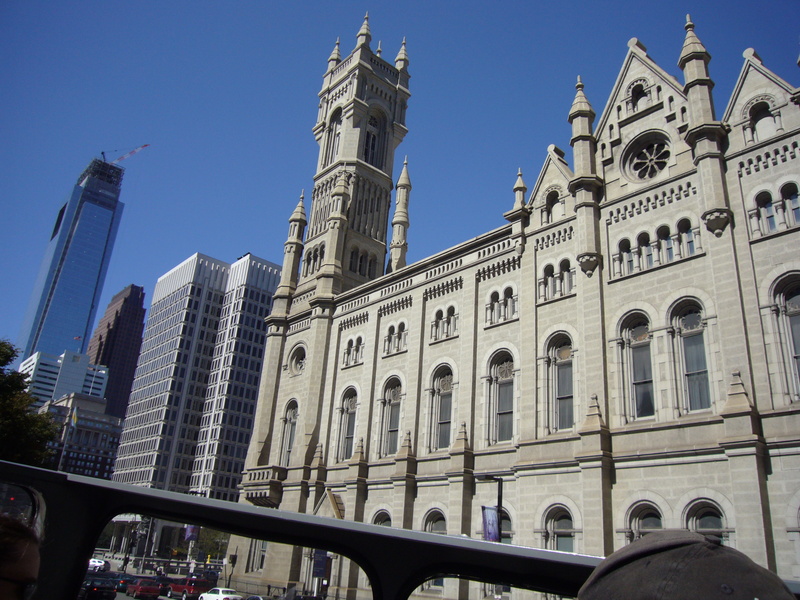 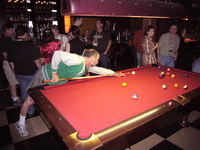 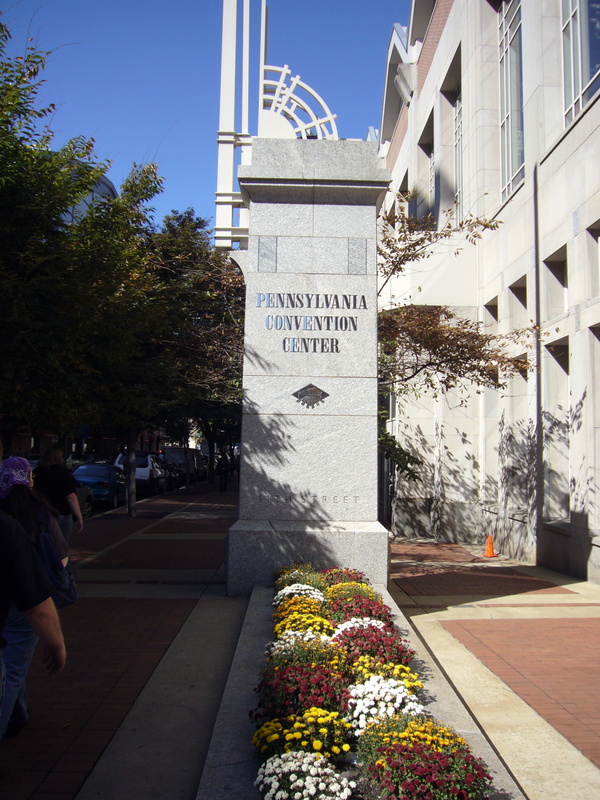 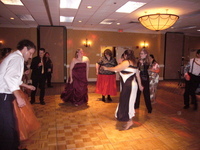 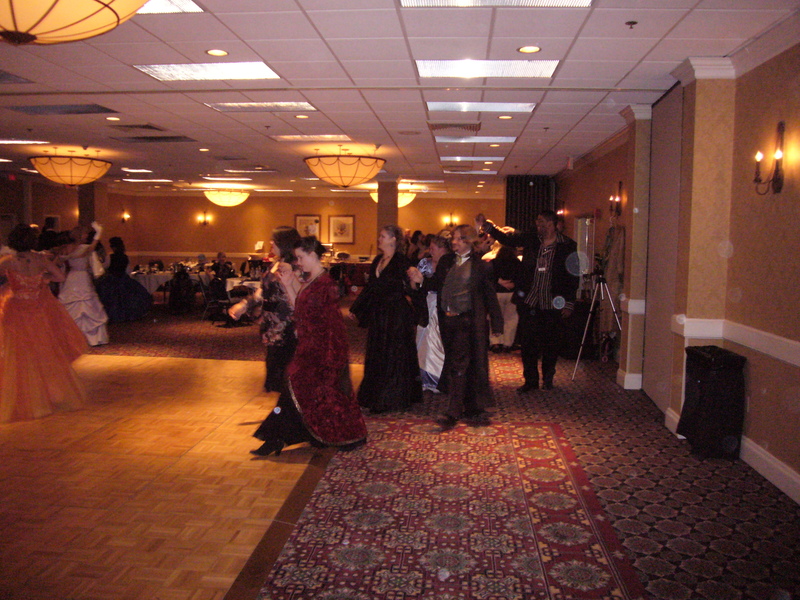 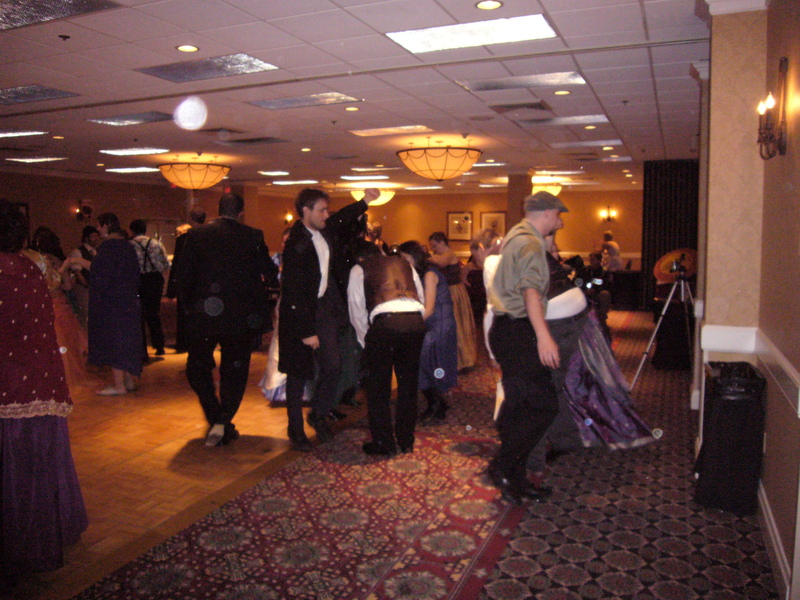 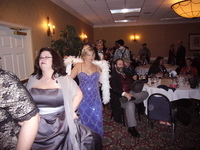 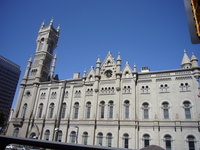 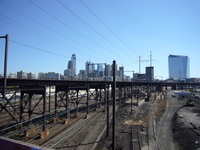 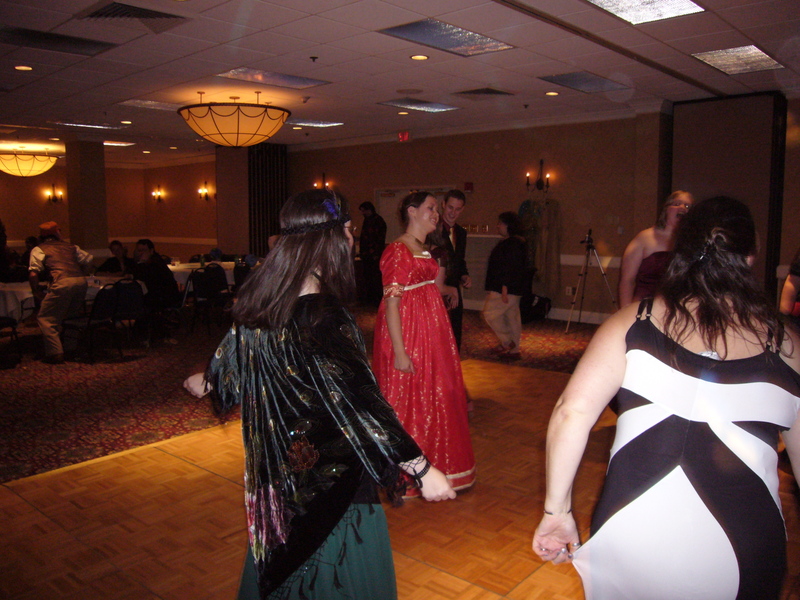 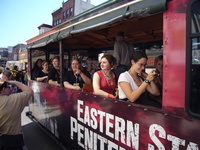 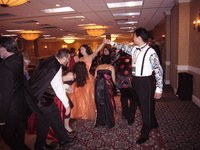 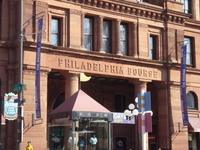 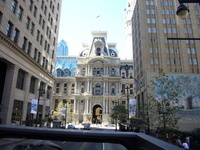 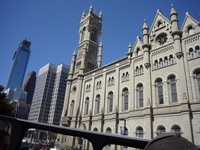 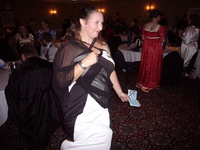 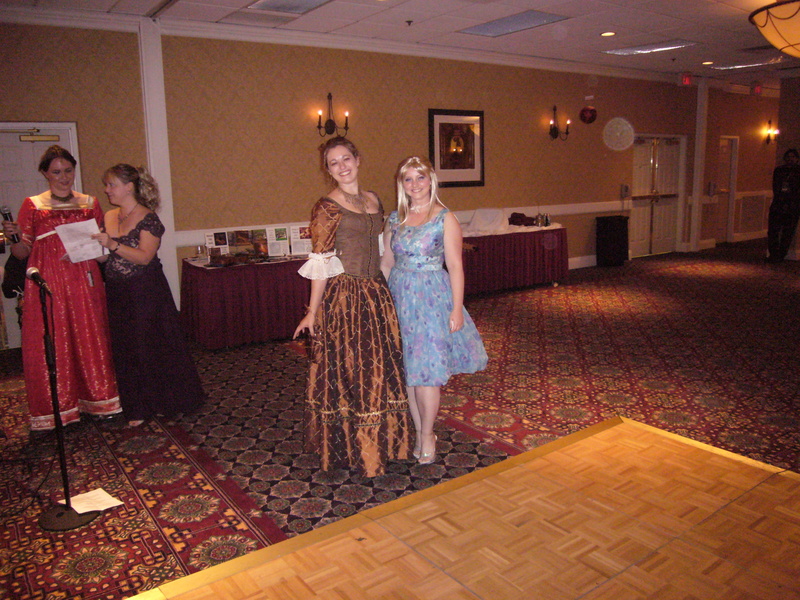 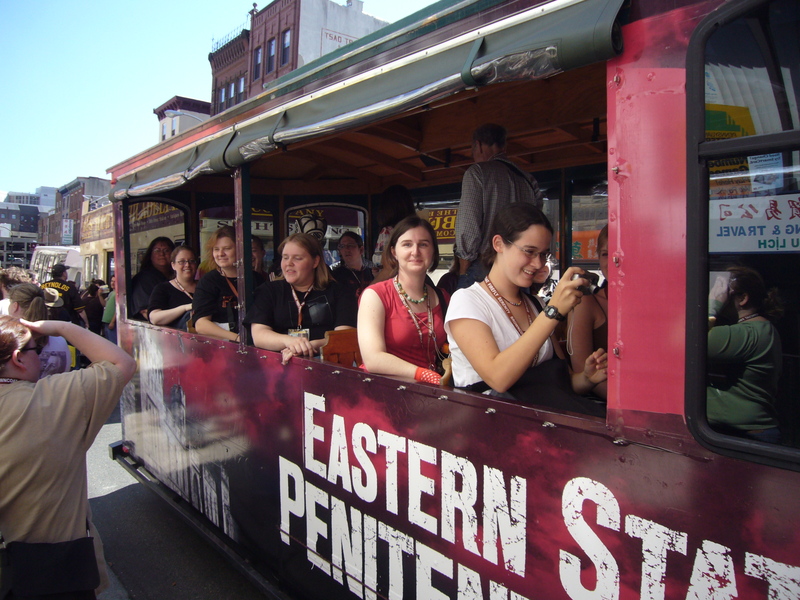 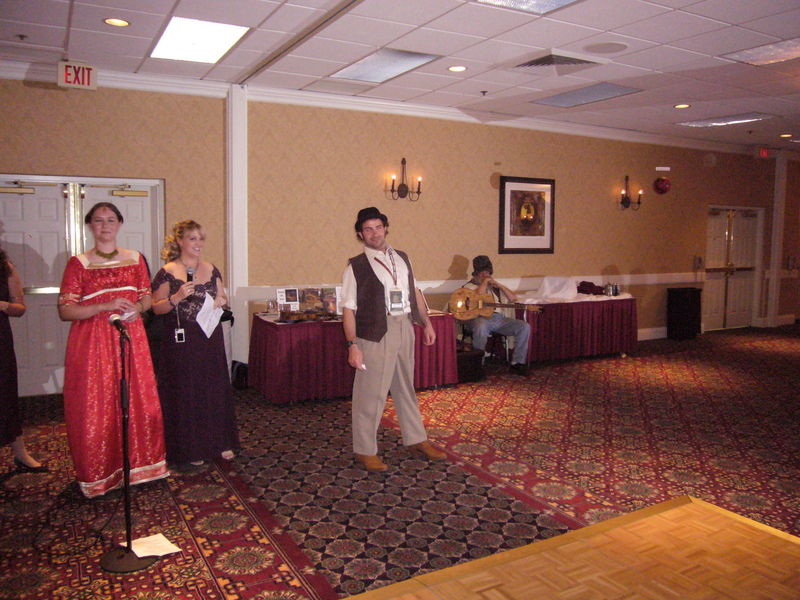 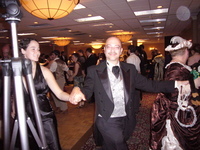 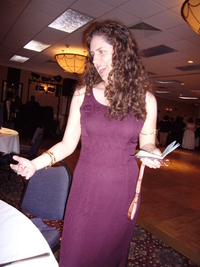 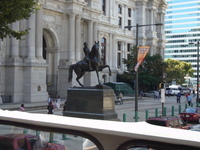 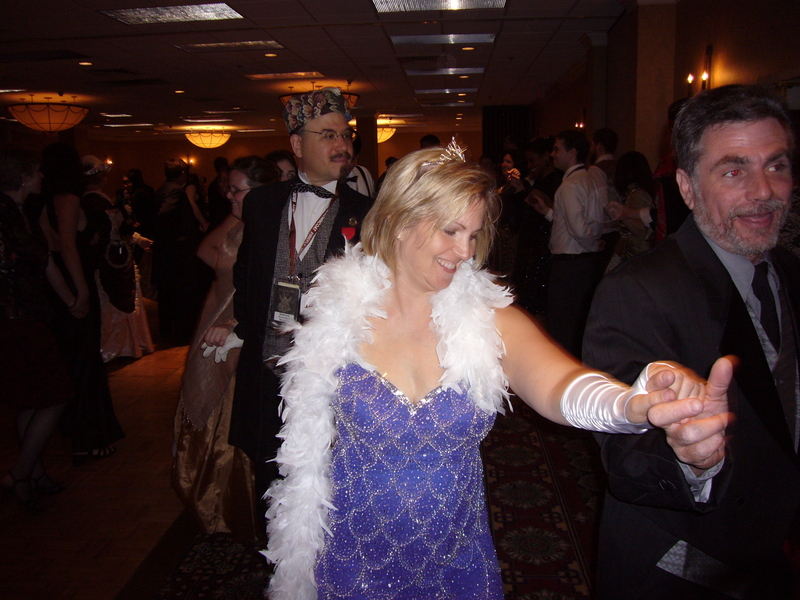 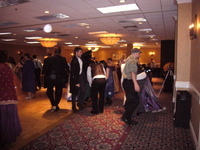 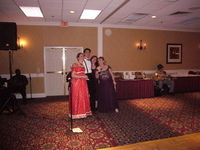 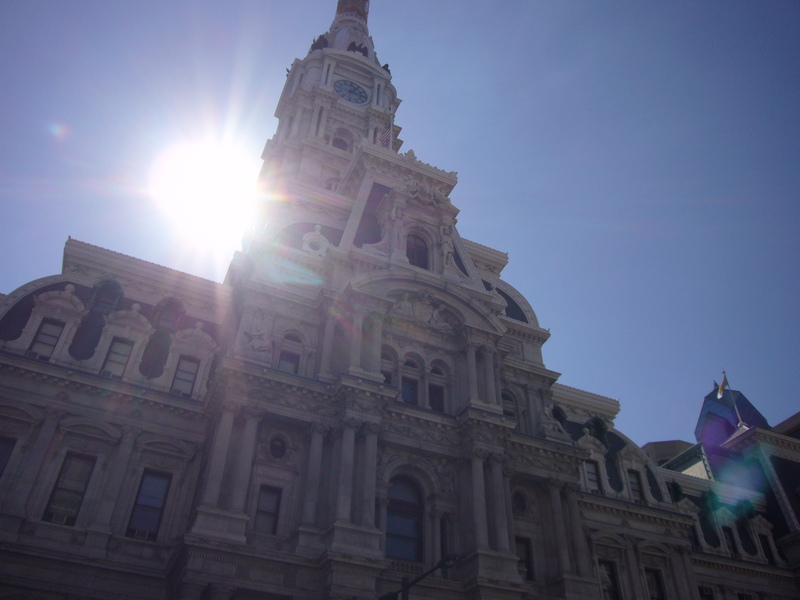 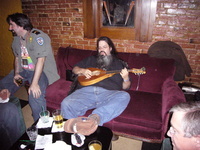 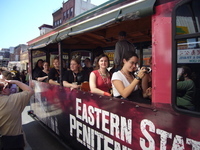 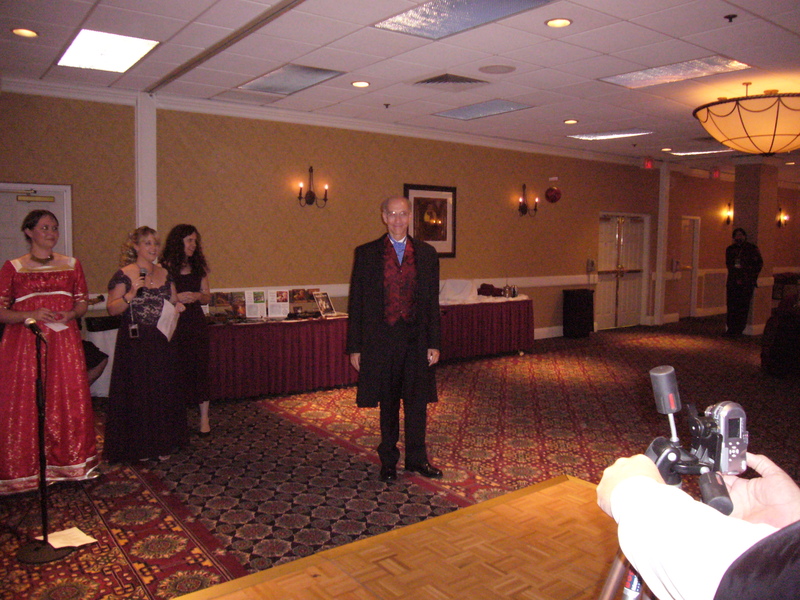 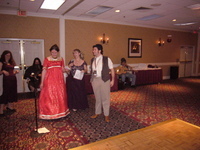 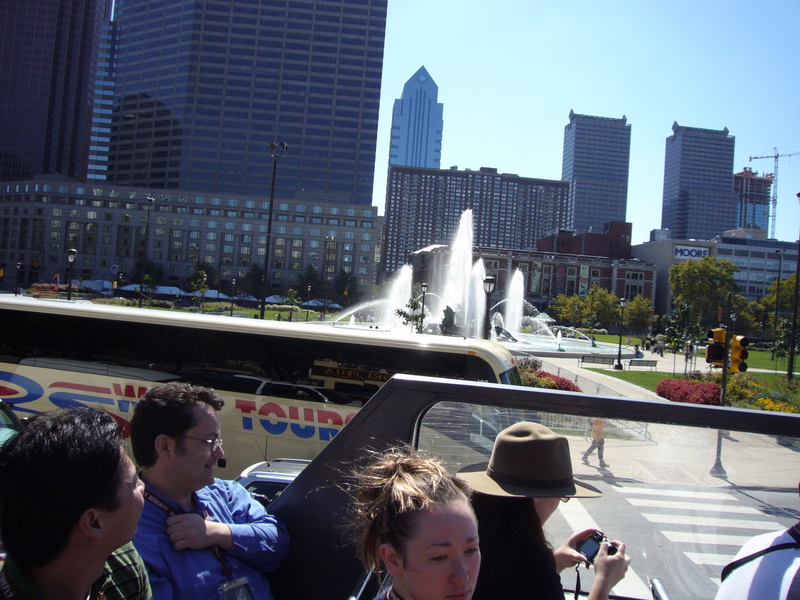 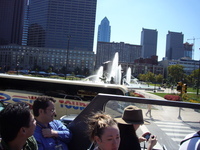 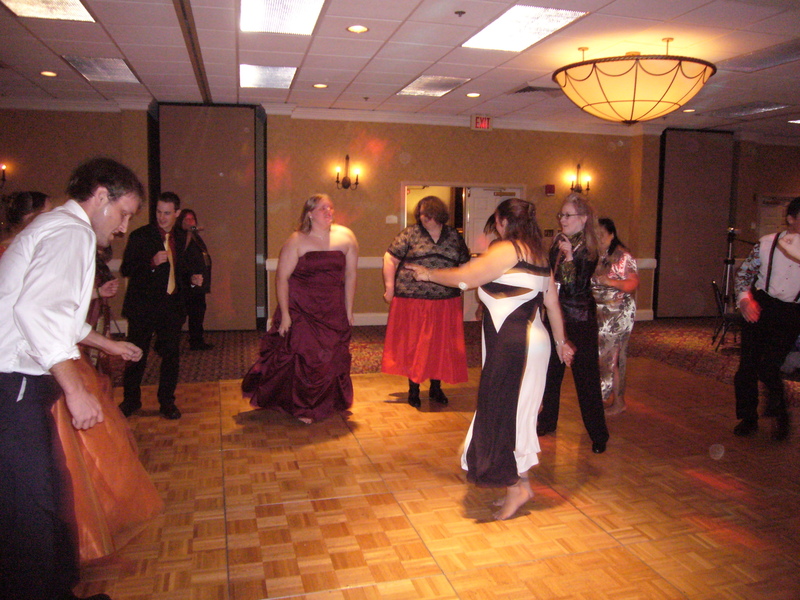 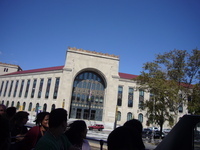 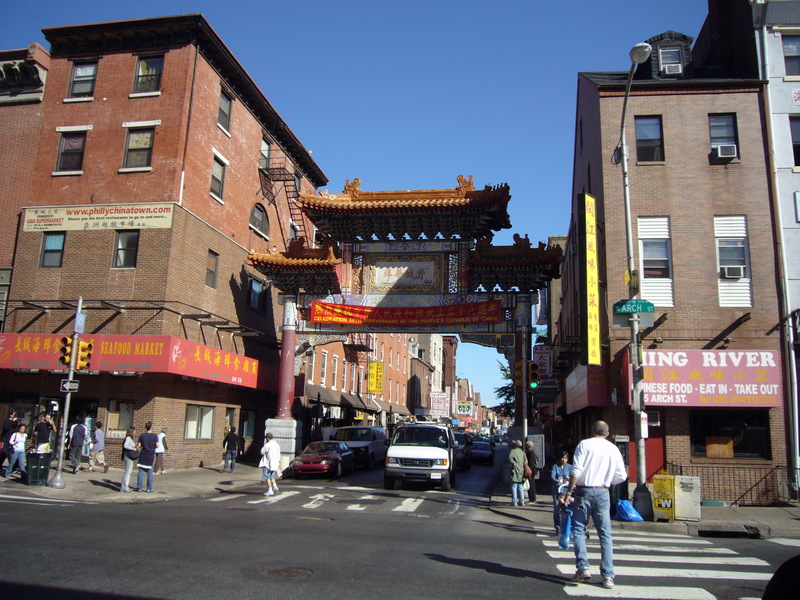 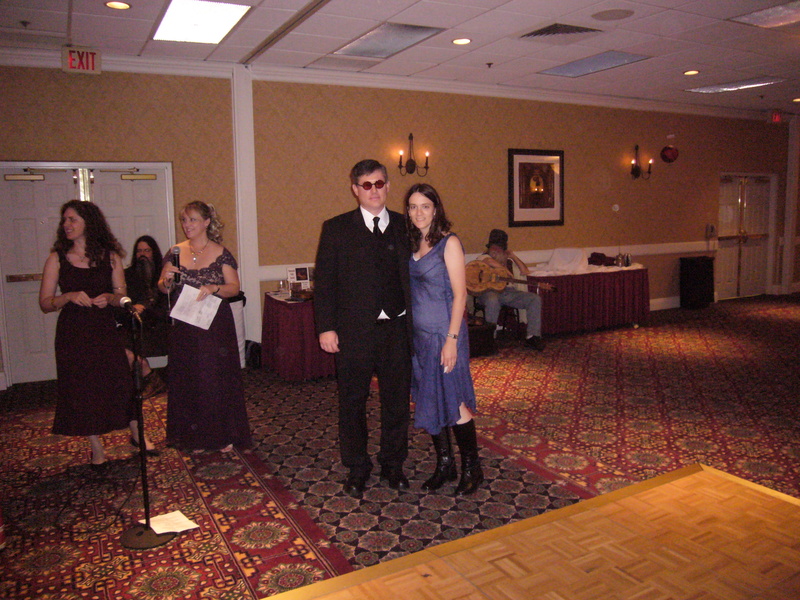 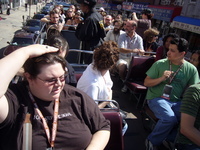 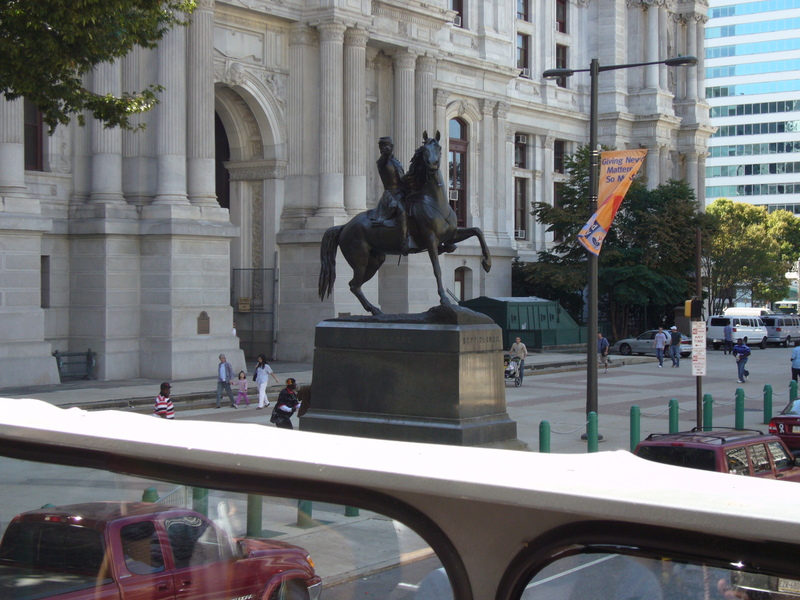 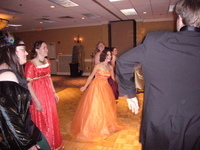 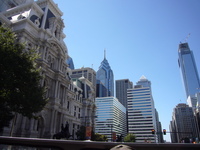 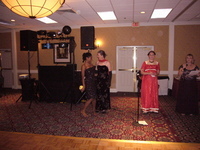 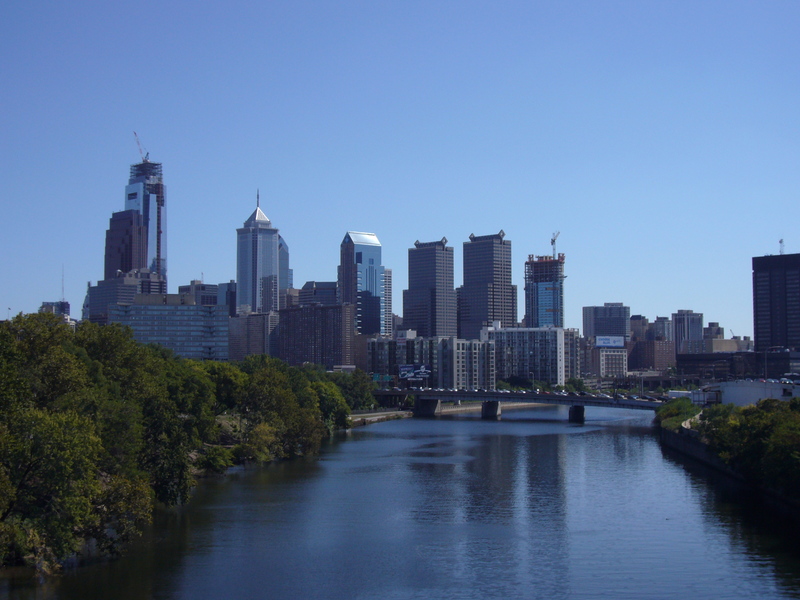 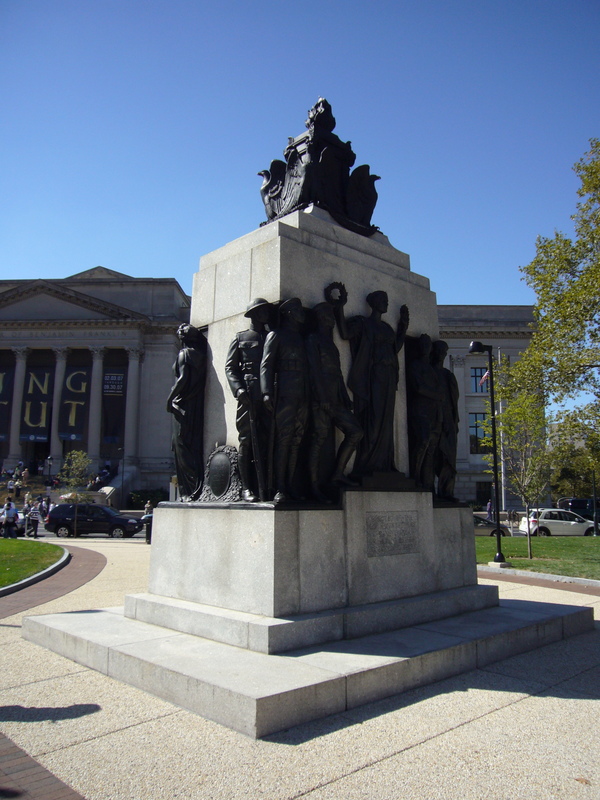 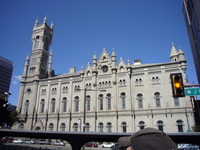 The 2007 Browncoat Ball was held in my hometown of Philadelphia, PA on Sept 28-30. 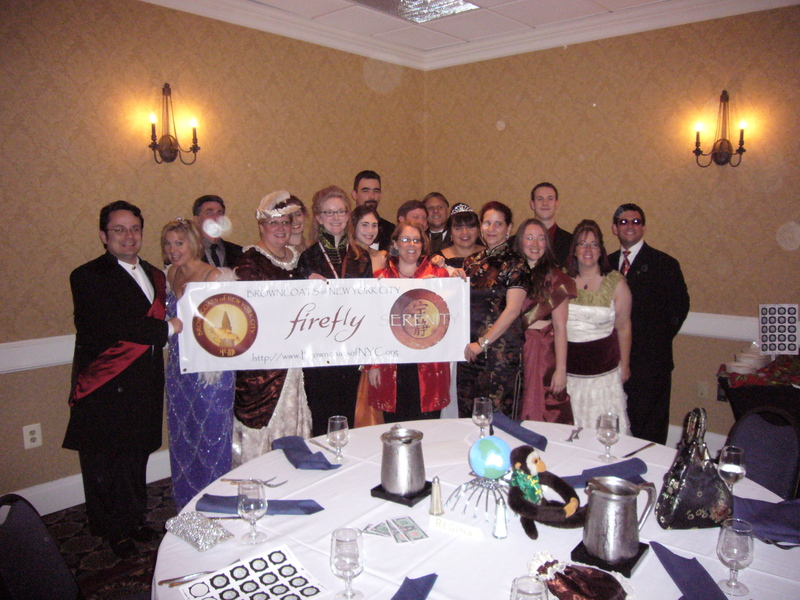 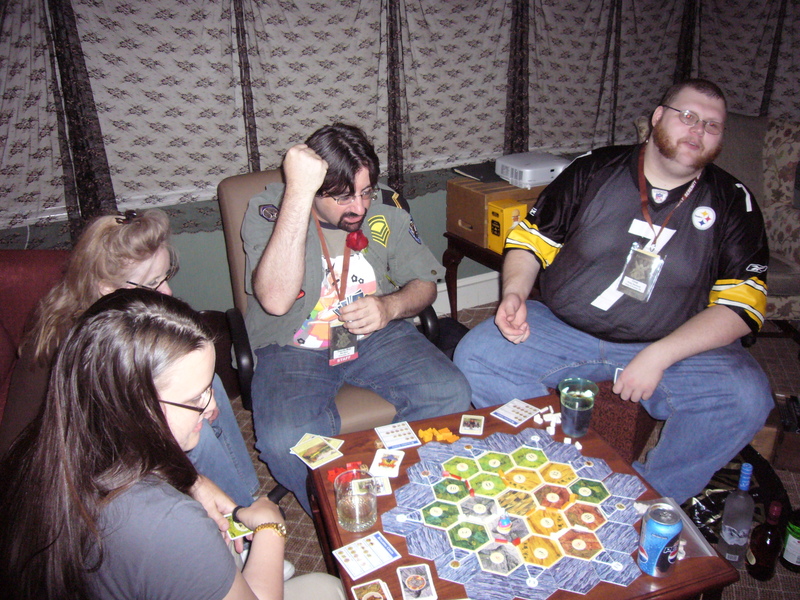 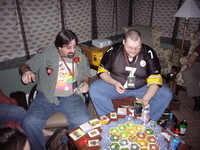 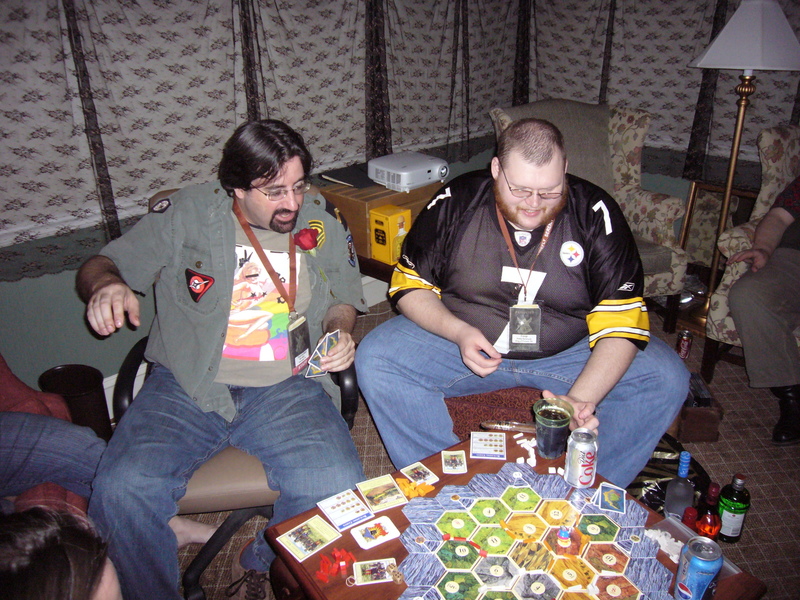 Browncoats from throughout the 'verse gathered together to celebrate our common (healthy) obsession in friendship and fun. 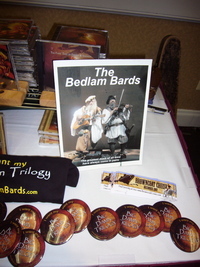 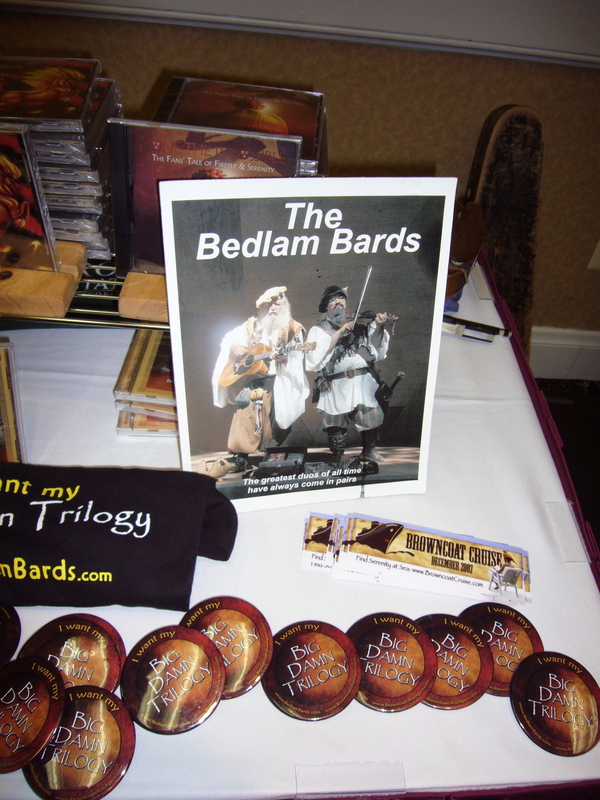 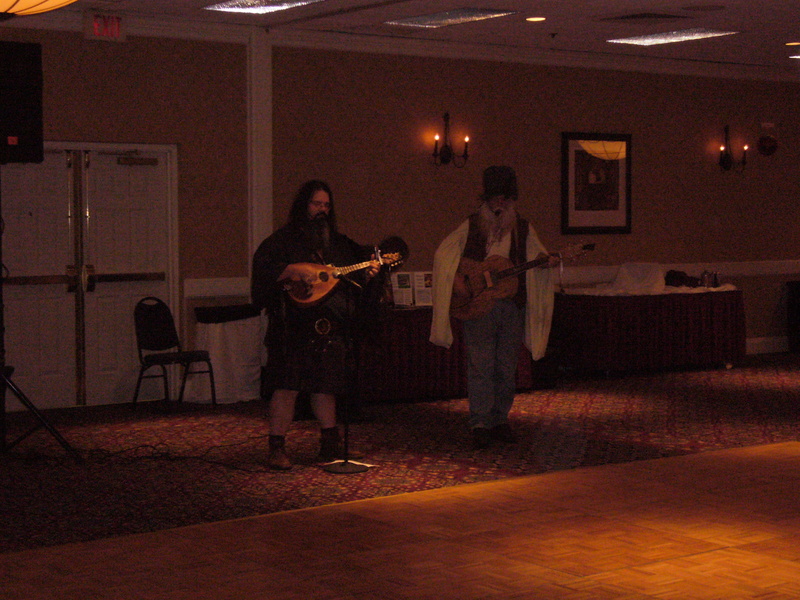 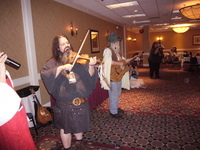 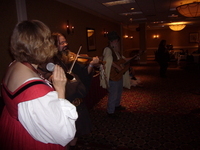 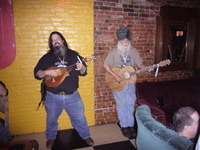 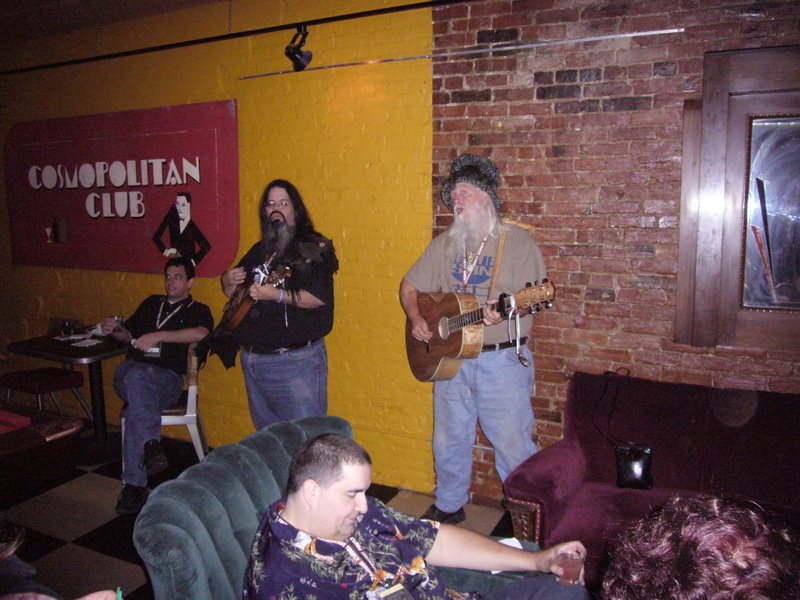 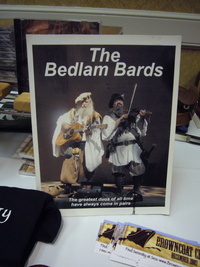 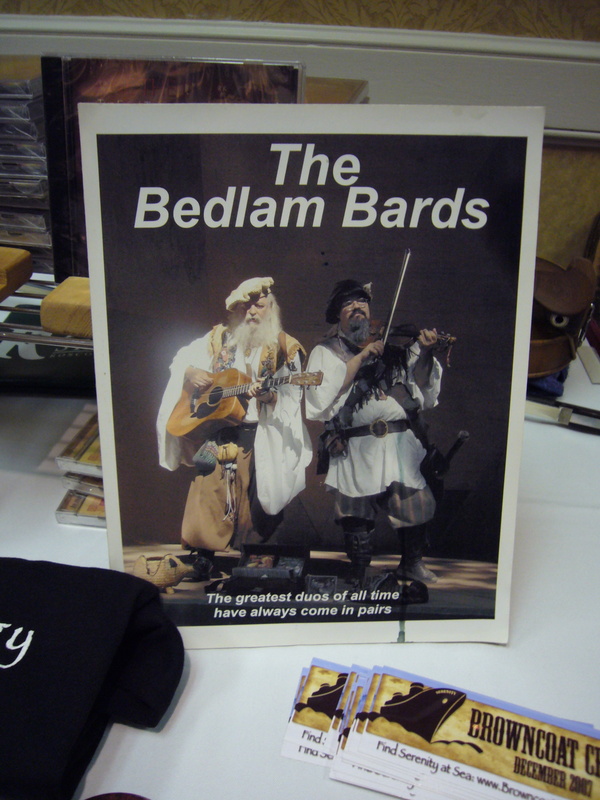 The Bedlam Bards provided music throughout the weekend, and have graciously allowed me to post recordings of some of the songs that they played at Saturday night's Ball. 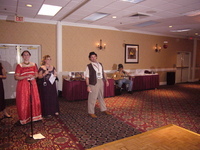 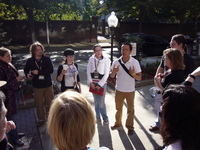 Thanks to the Bards for bringing their passion and excitement to the Browncoat community. You can click on the thumbnails below to display the full-size images (approx 2.5MB each) or get a zip file with all images (680MB). 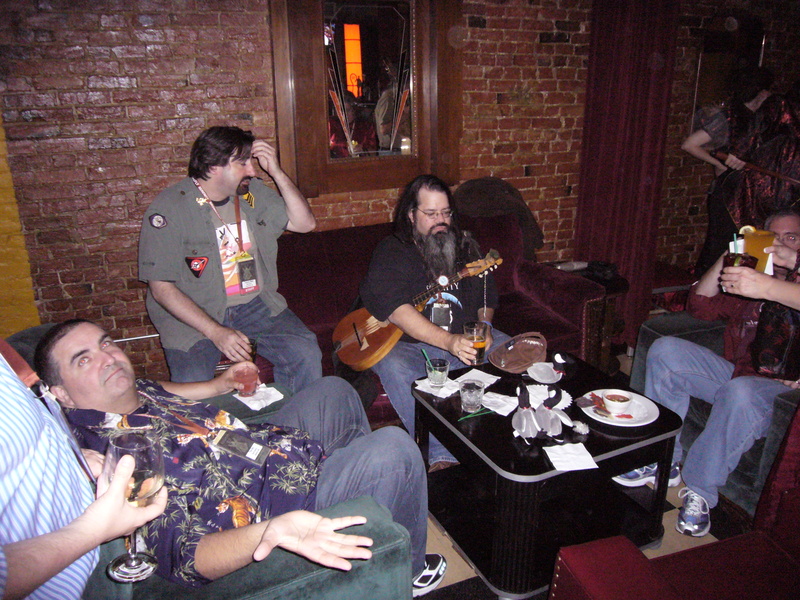 If you have comments about this page, or have some photos from the Browncoat Ball that you would like added here, send a wave to firefly "at" scifigeek.info .